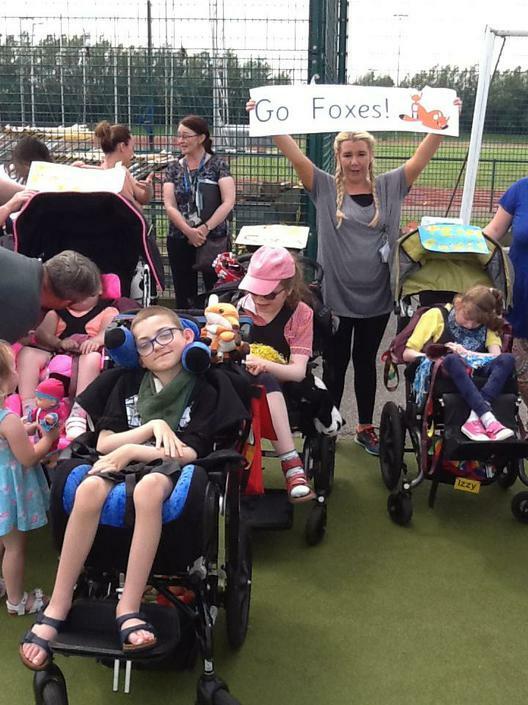 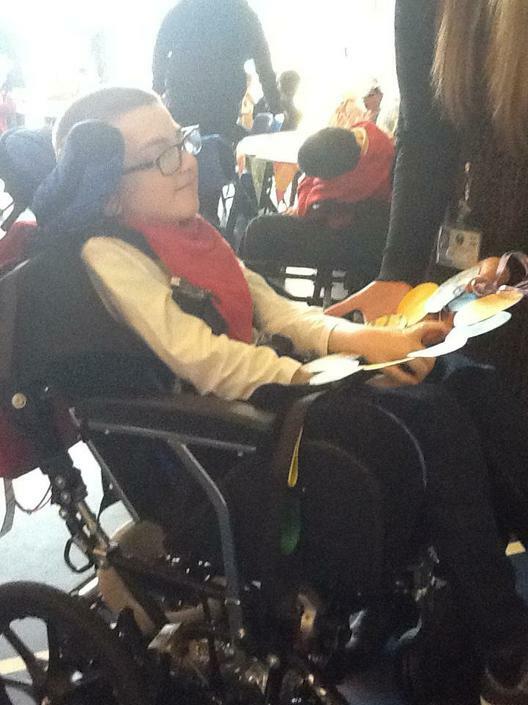 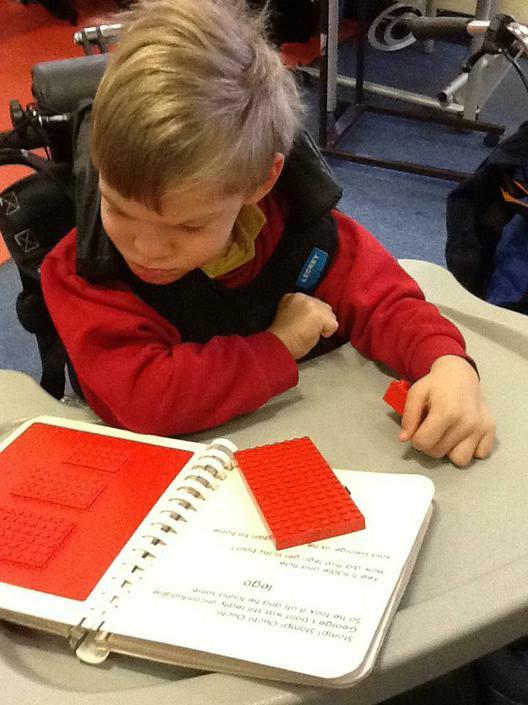 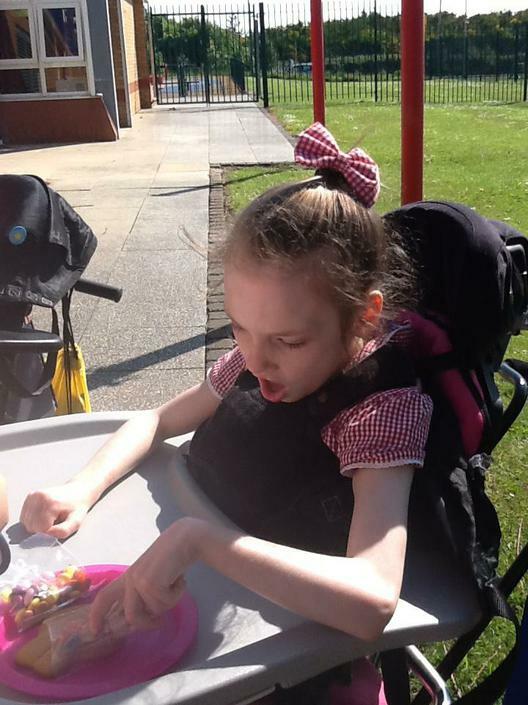 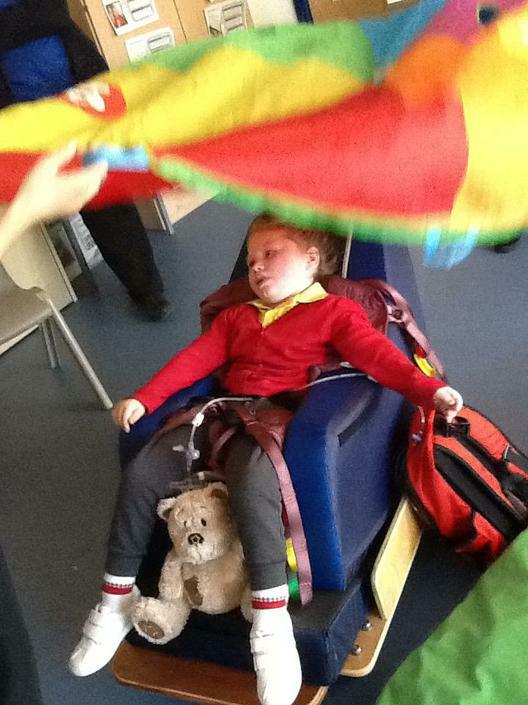 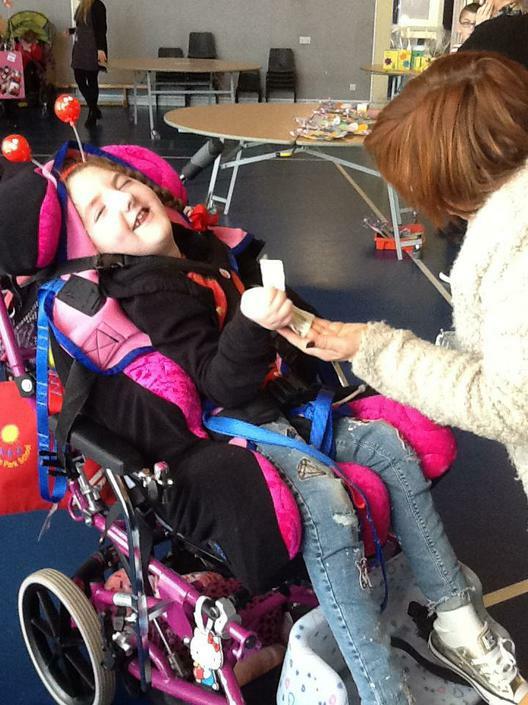 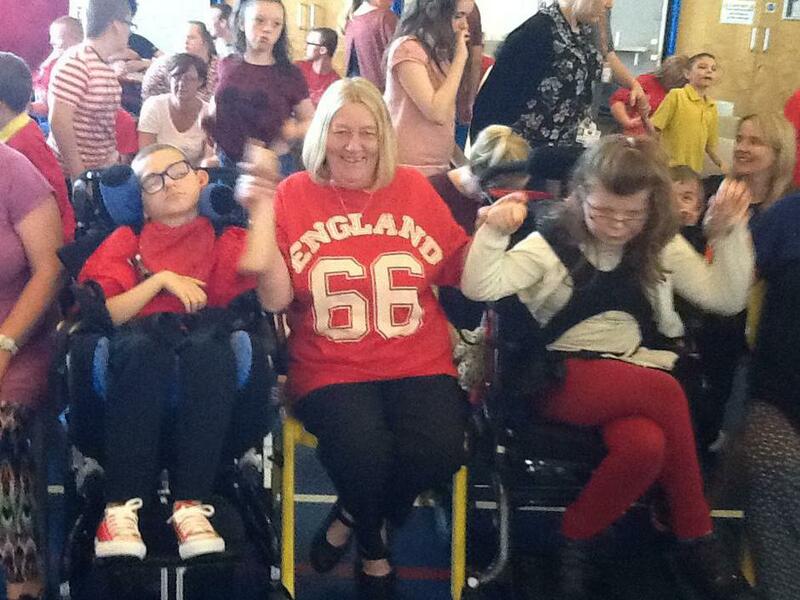 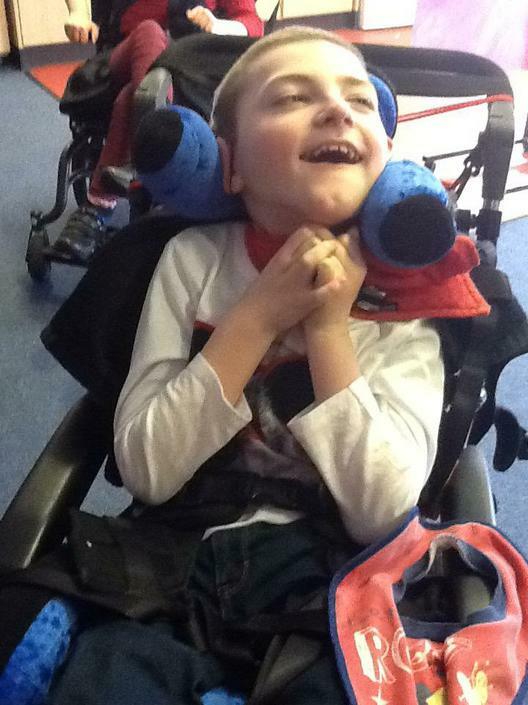 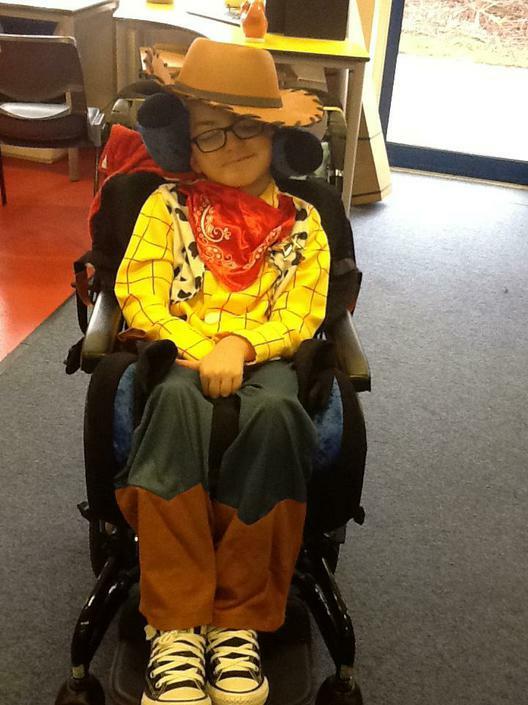 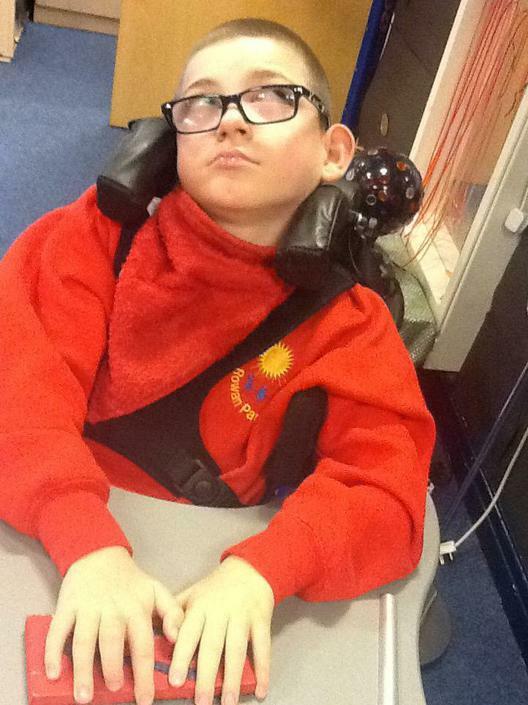 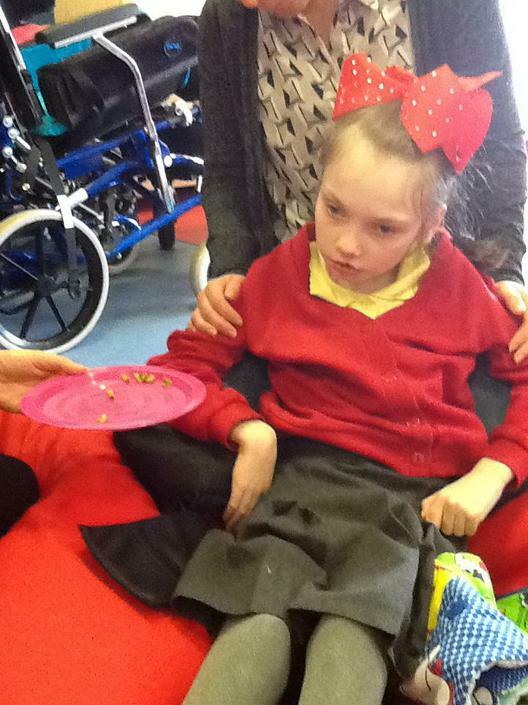 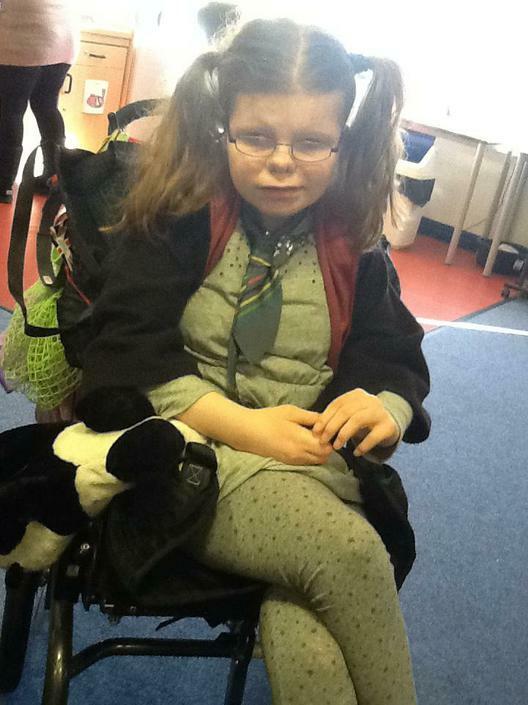 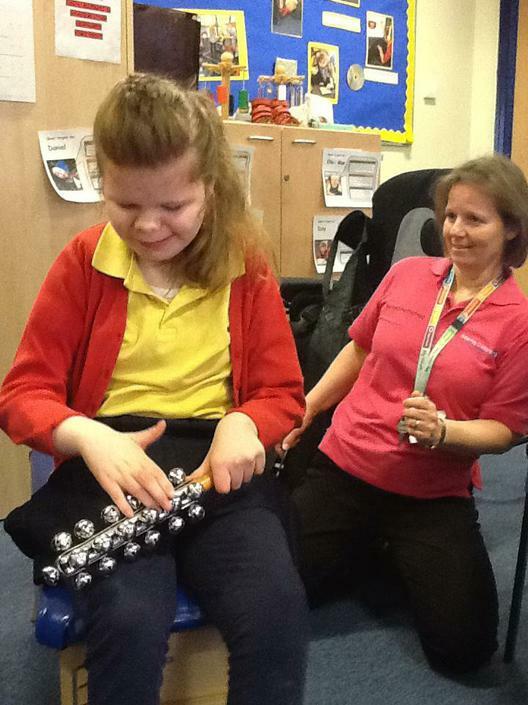 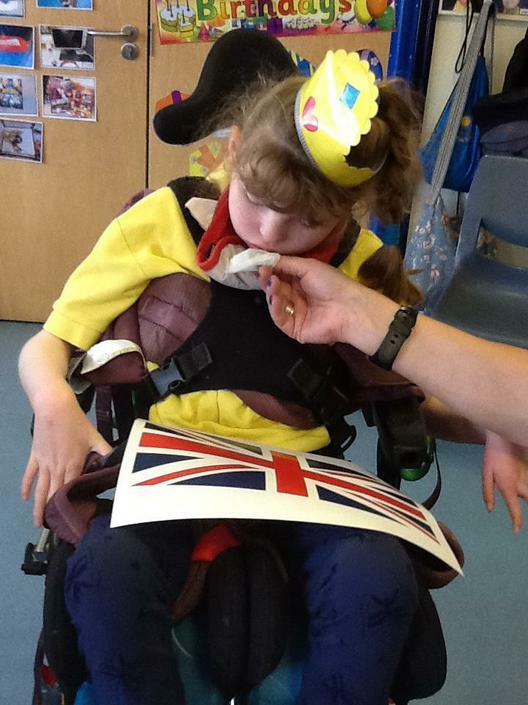 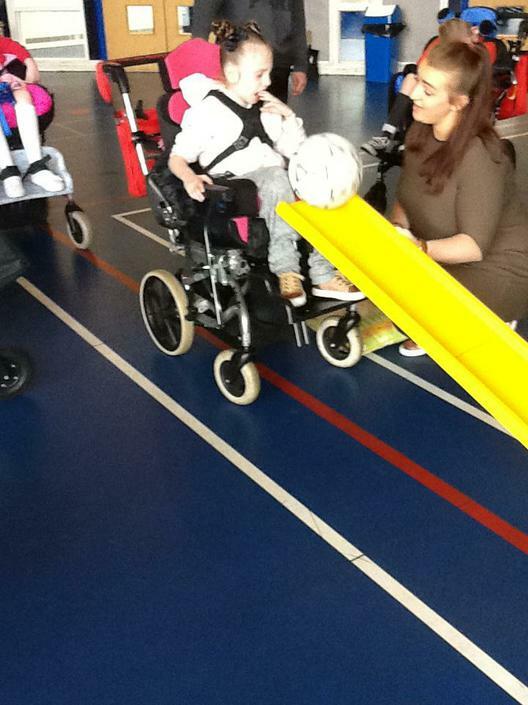 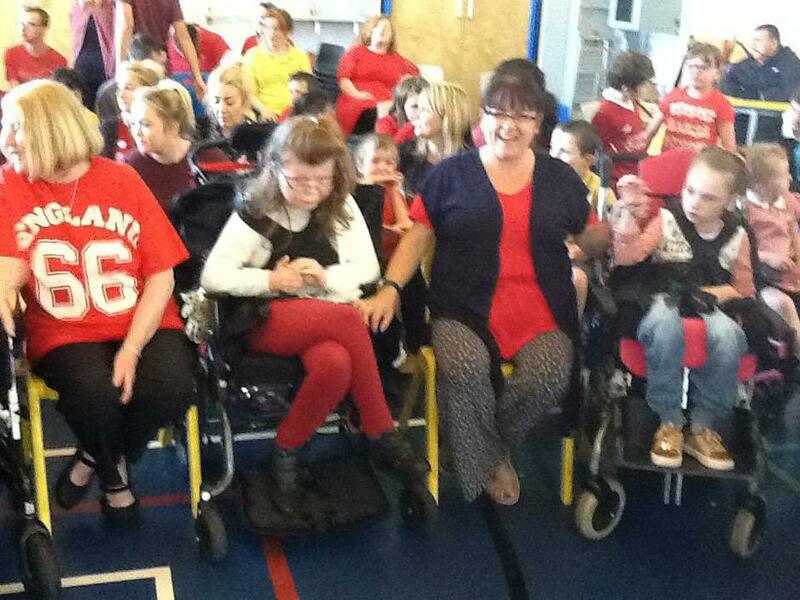 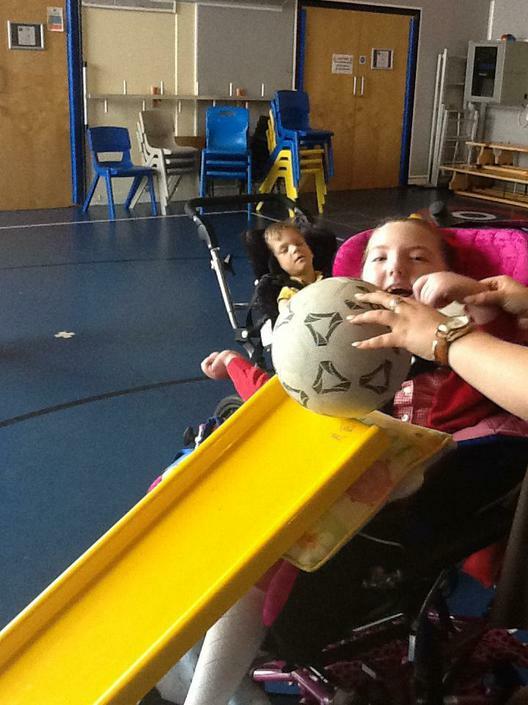 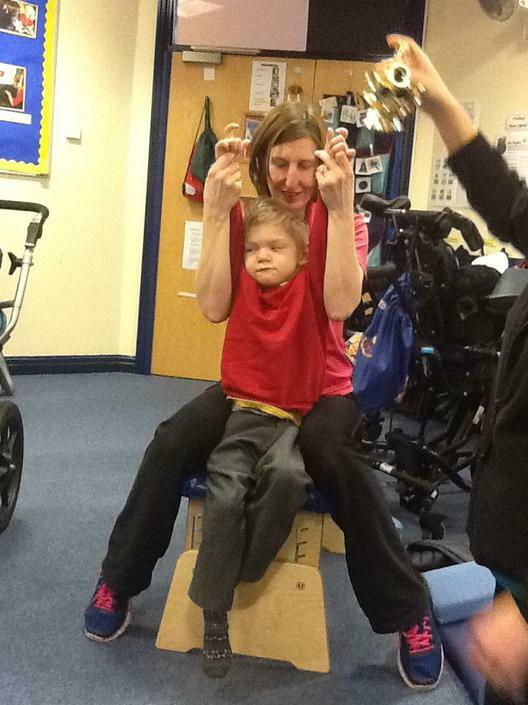 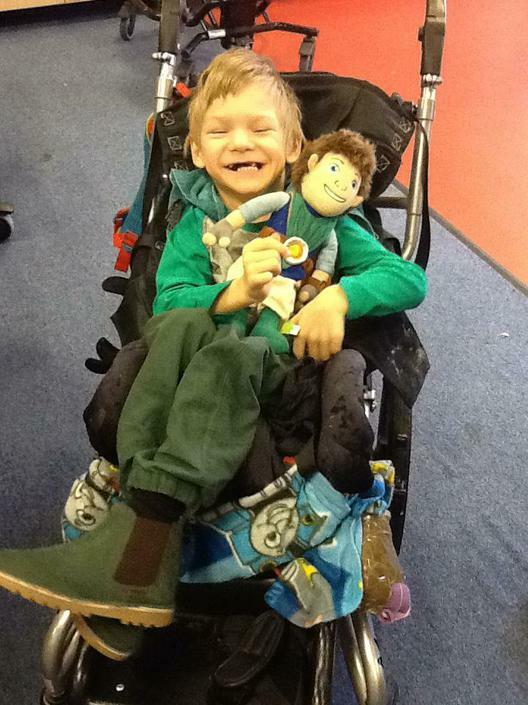 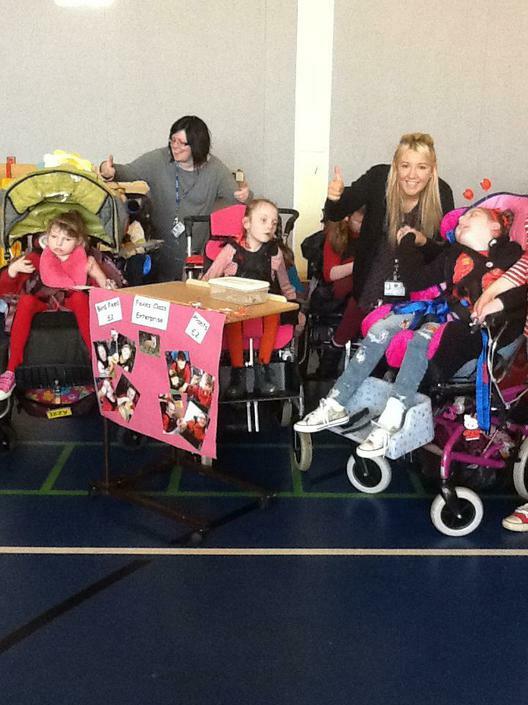 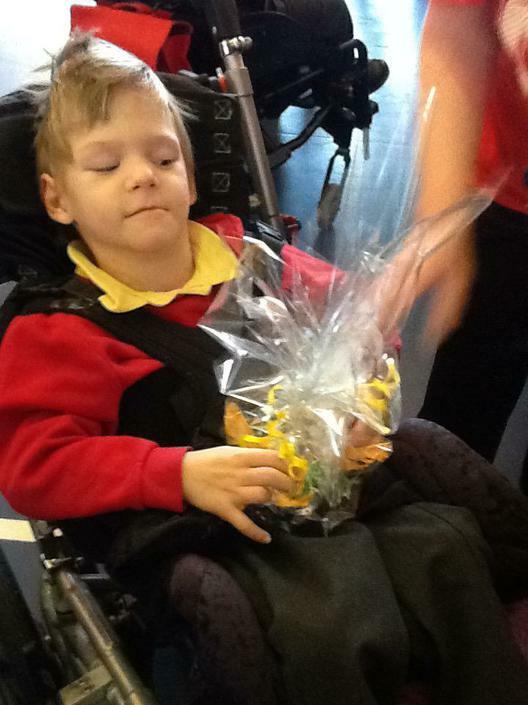 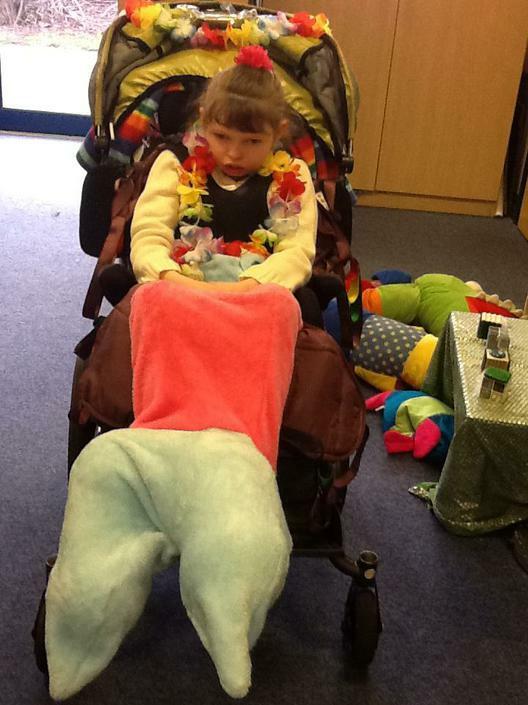 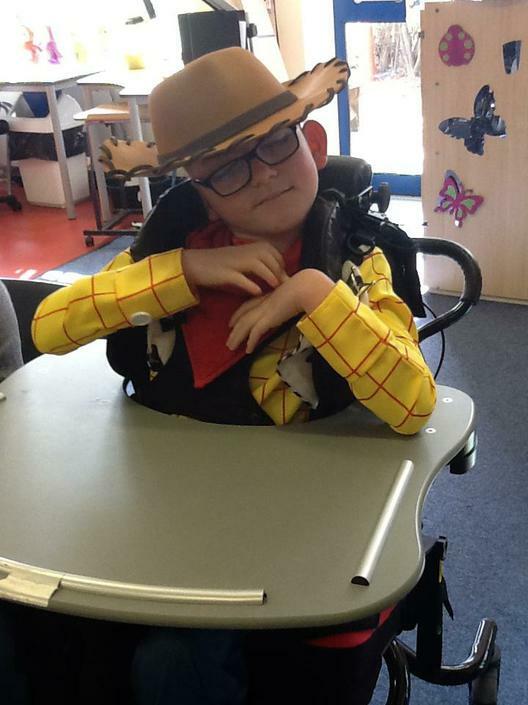 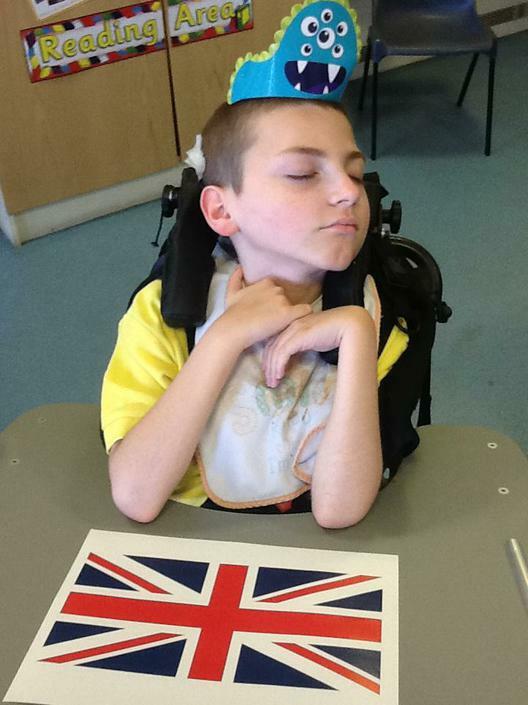 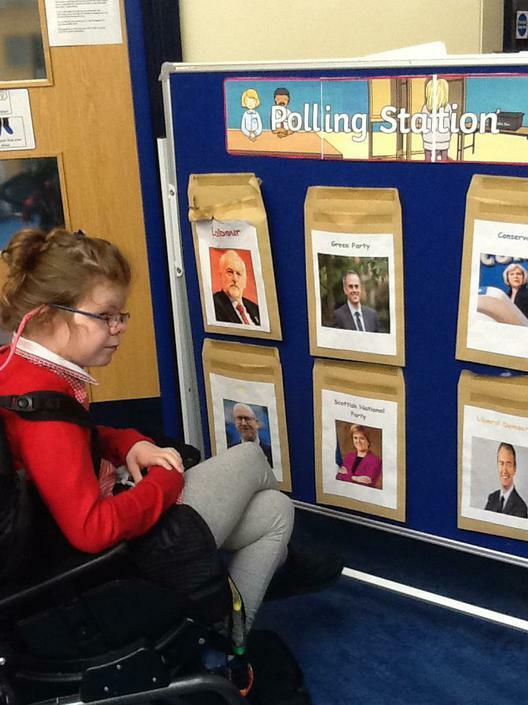 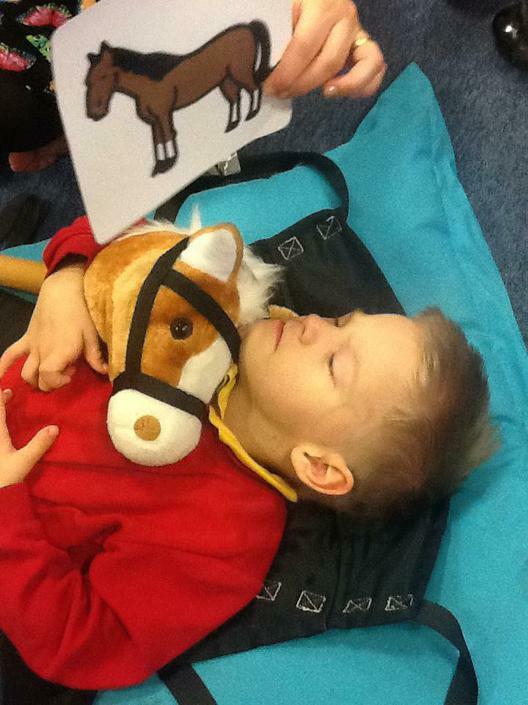 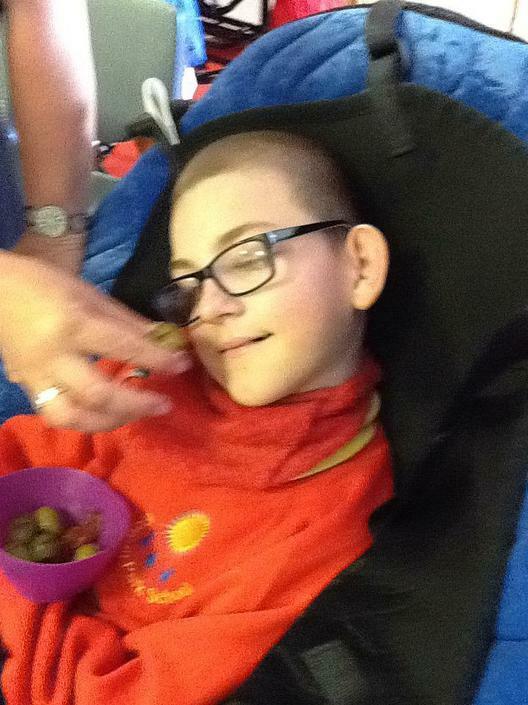 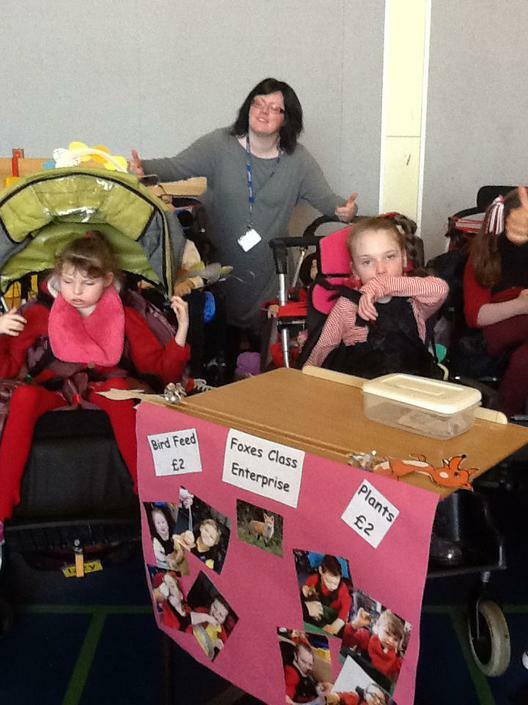 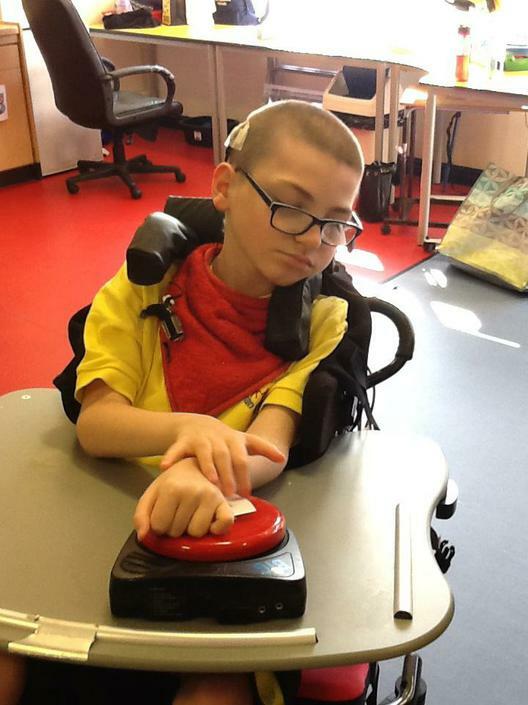 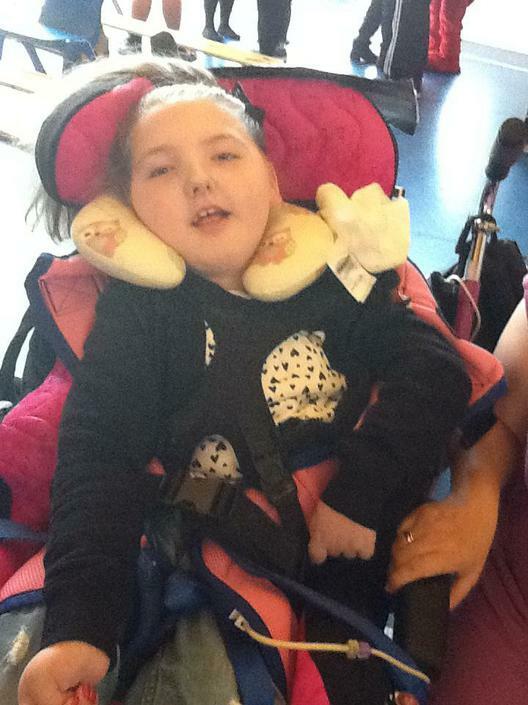 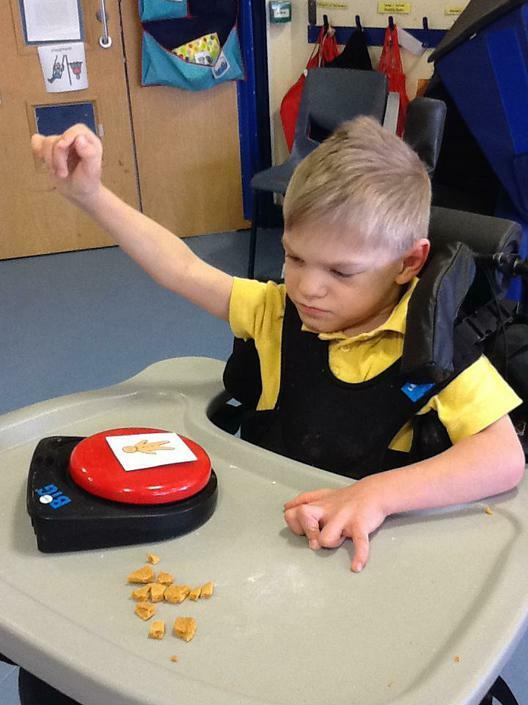 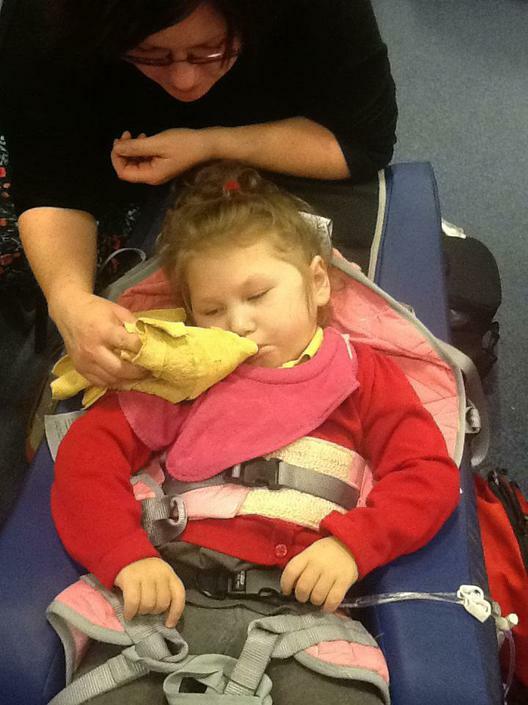 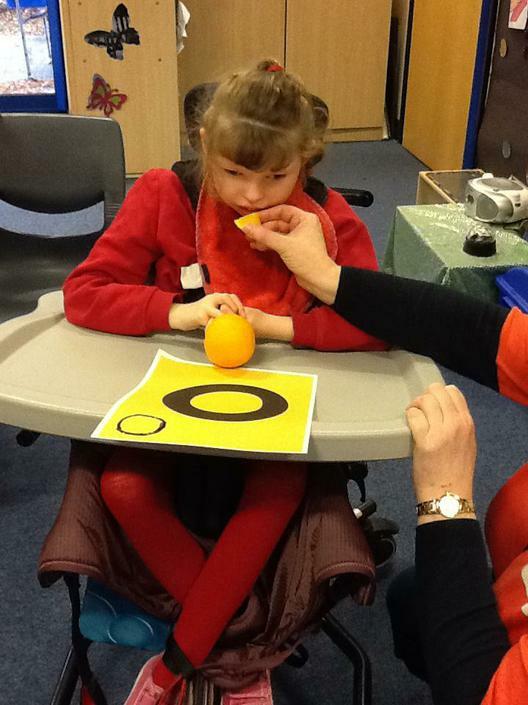 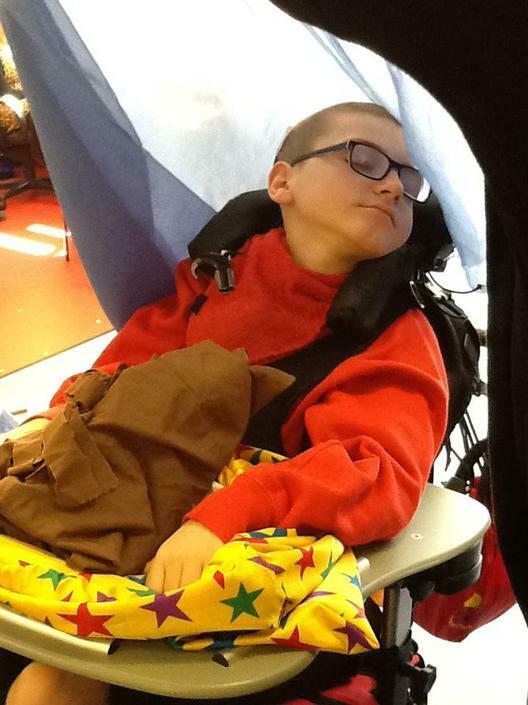 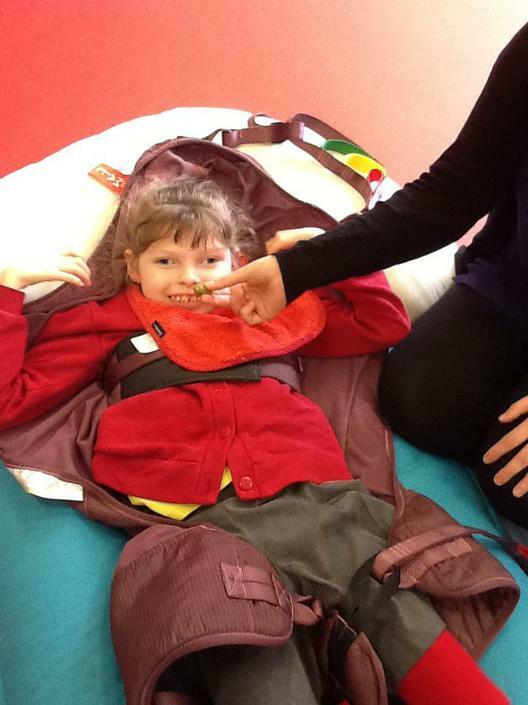 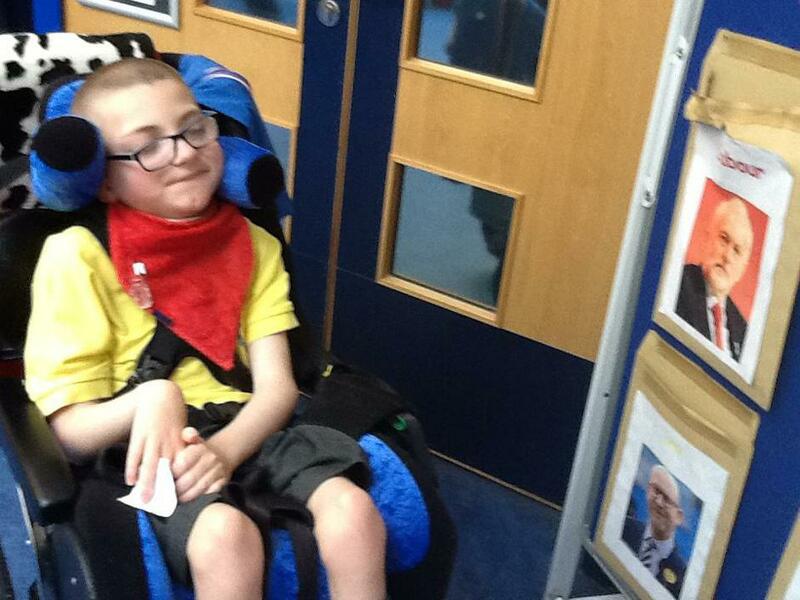 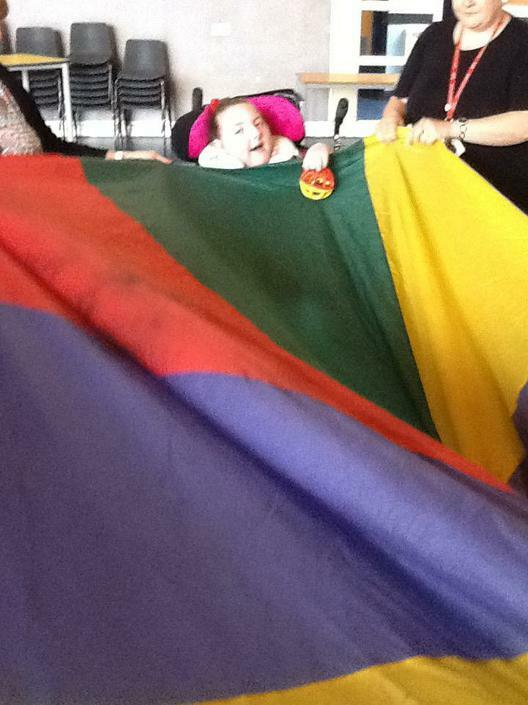 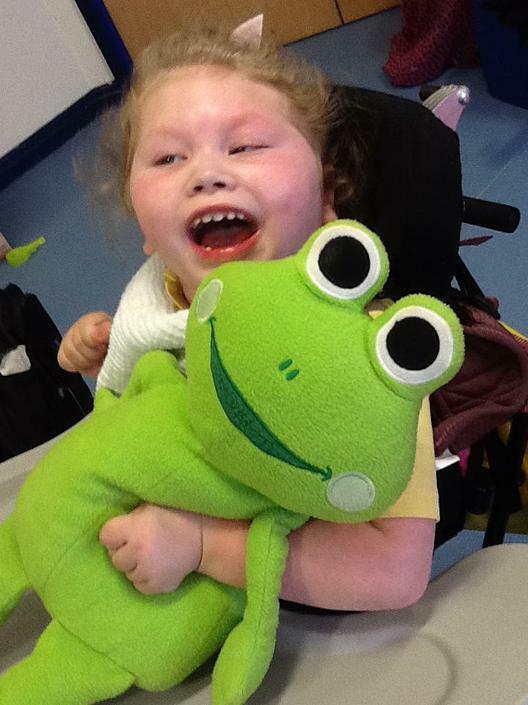 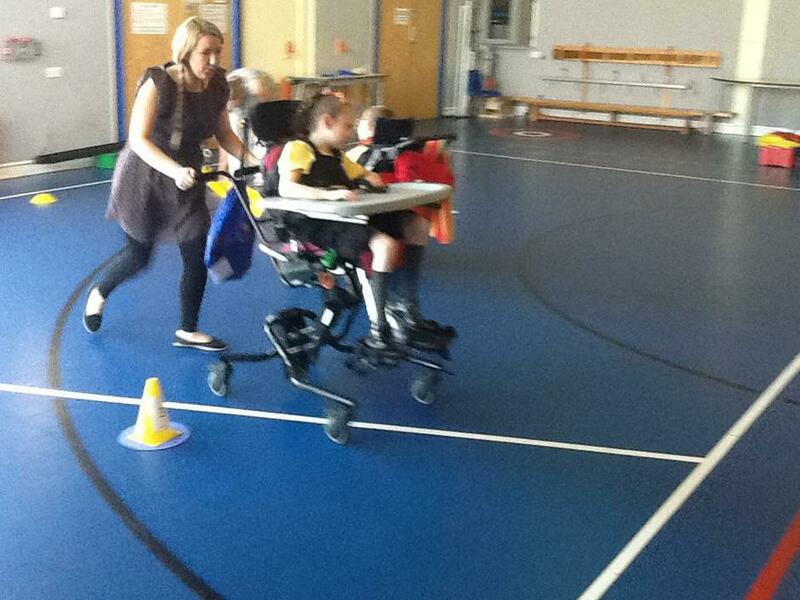 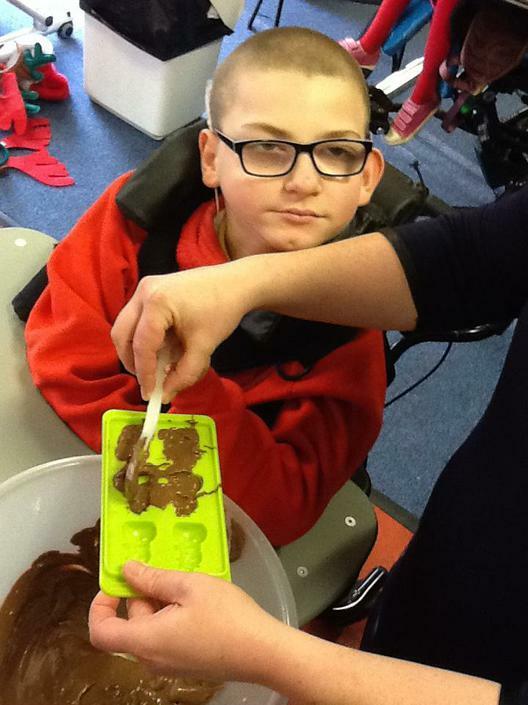 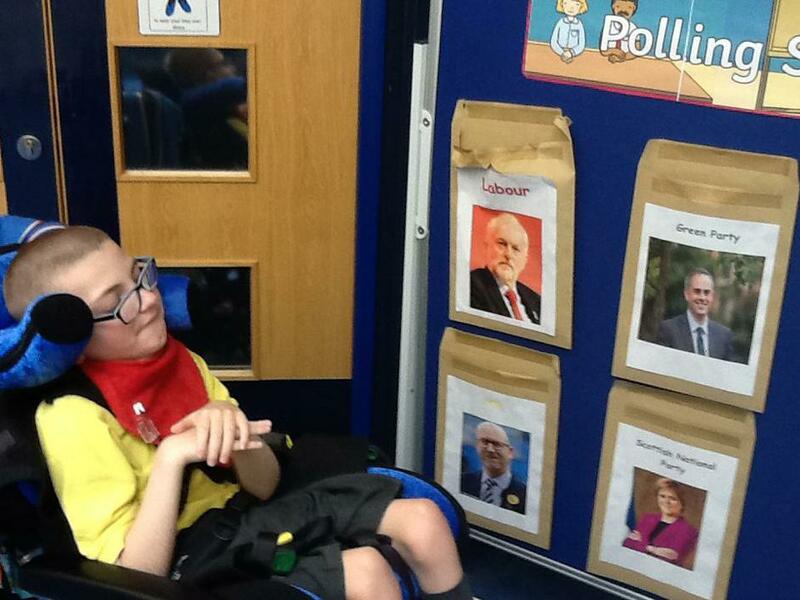 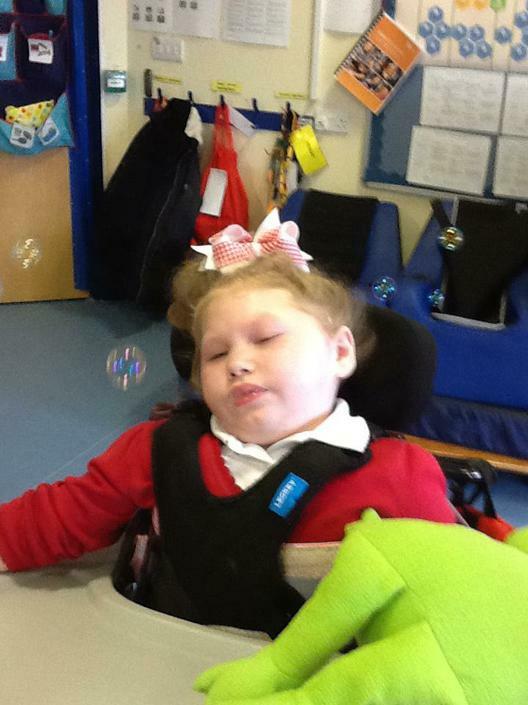 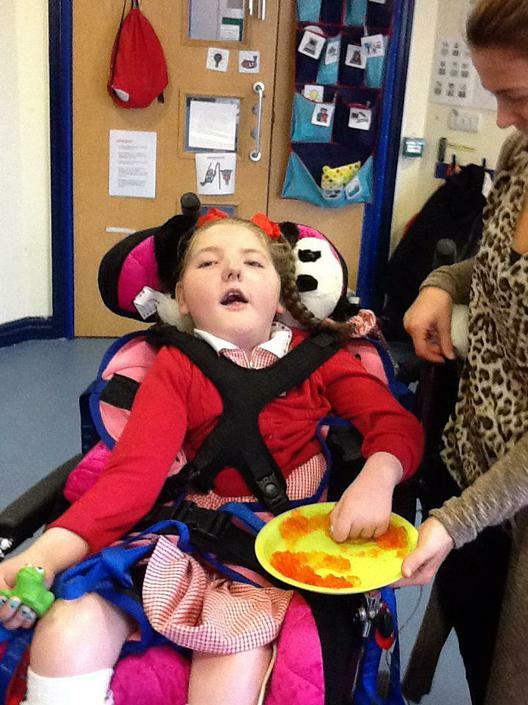 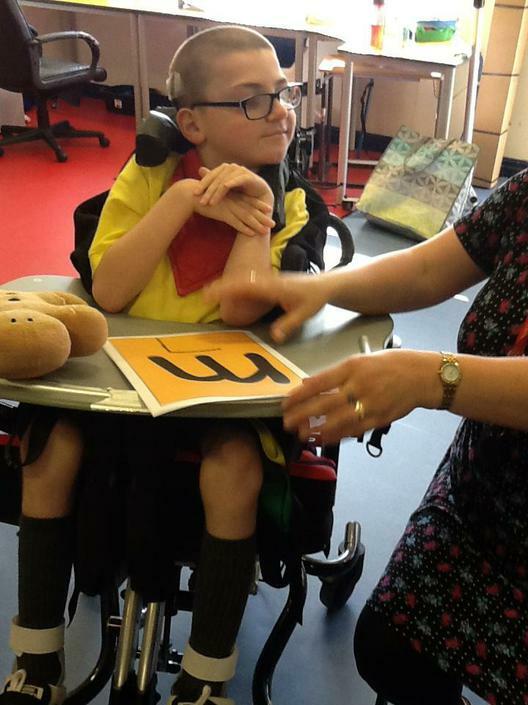 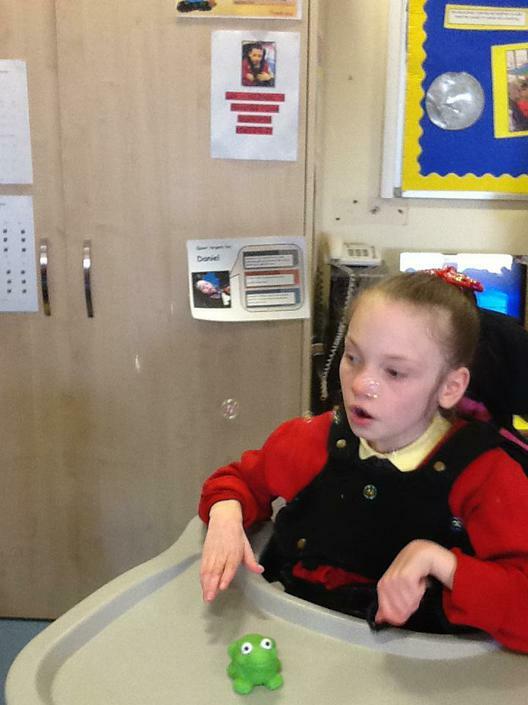 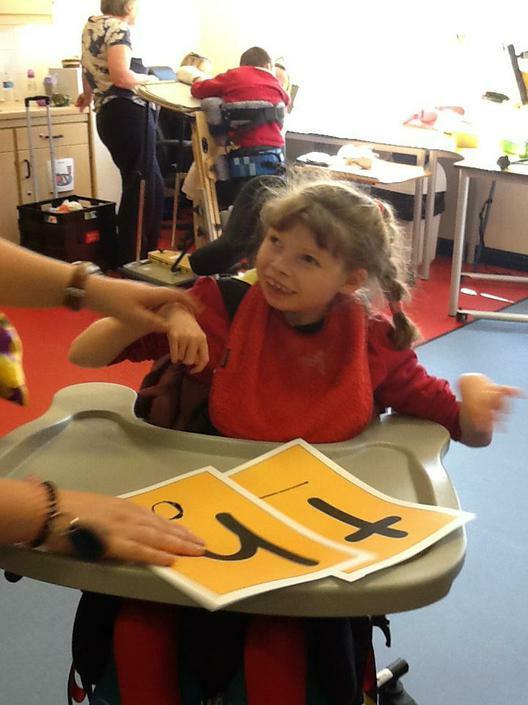 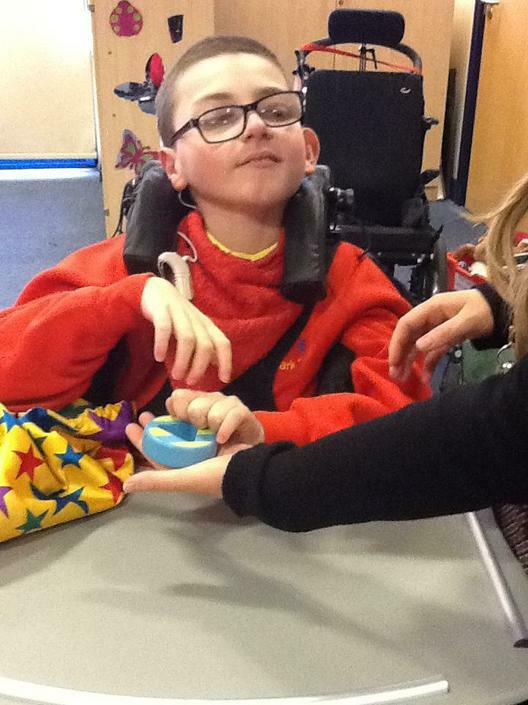 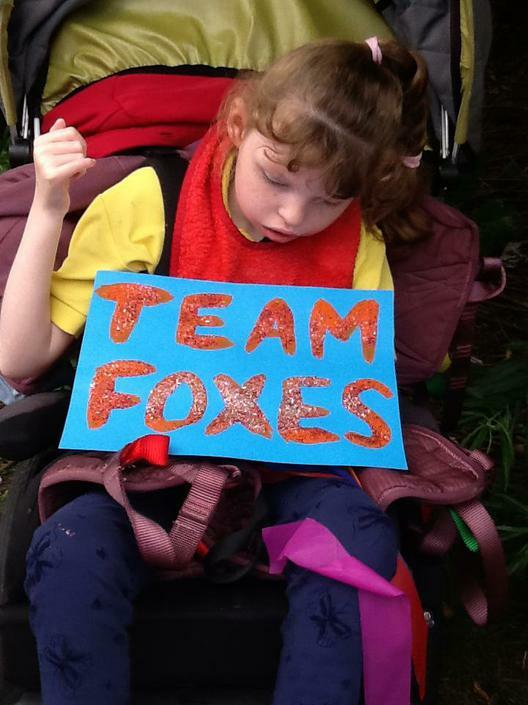 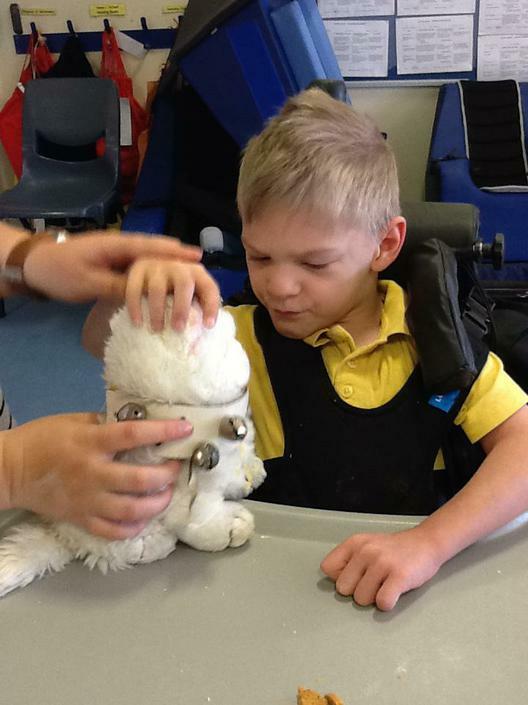 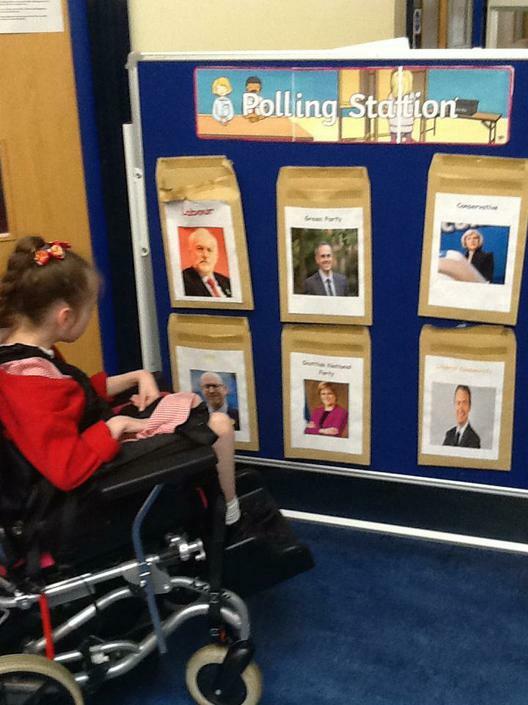 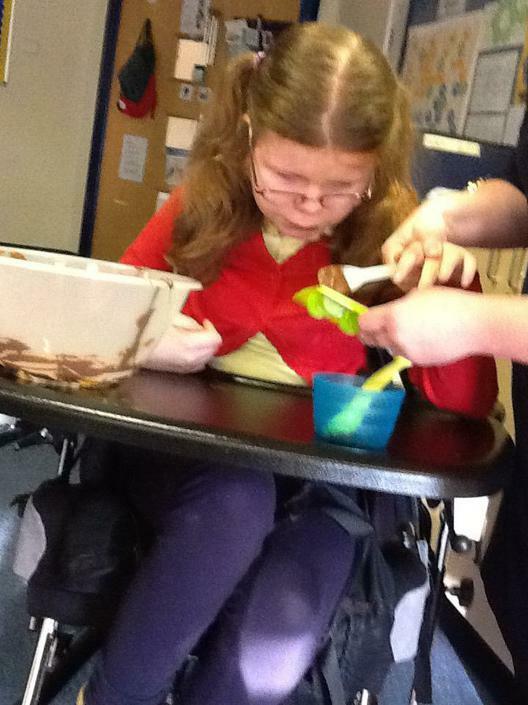 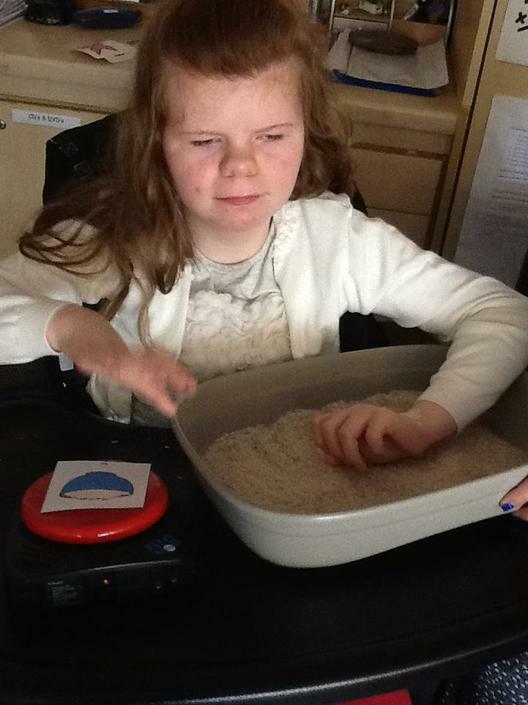 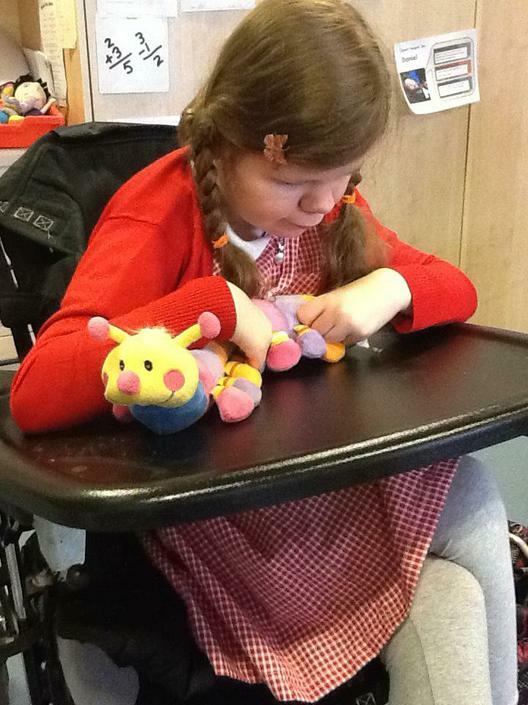 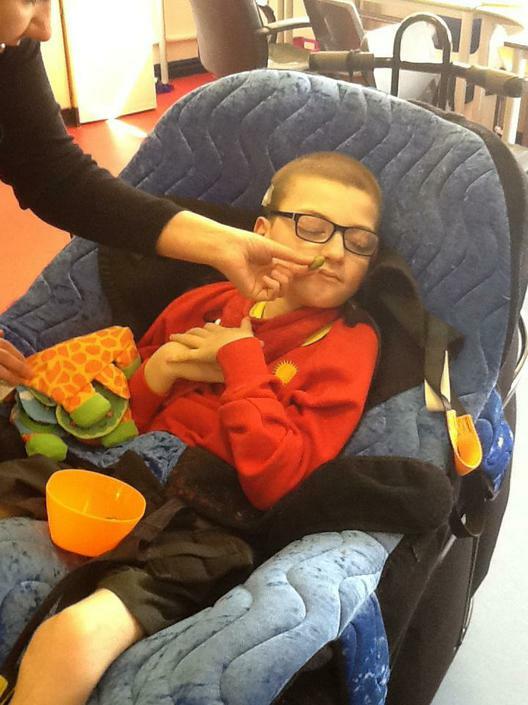 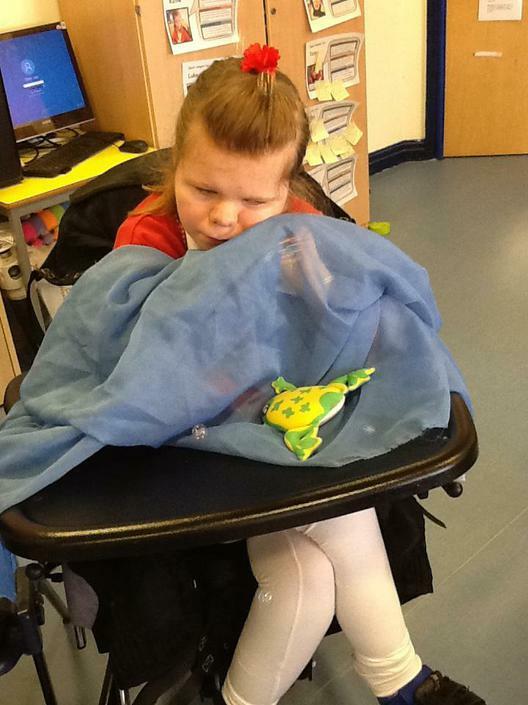 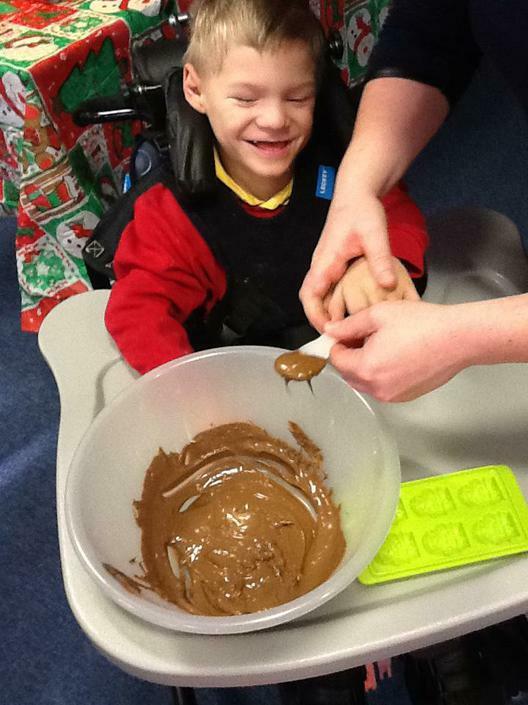 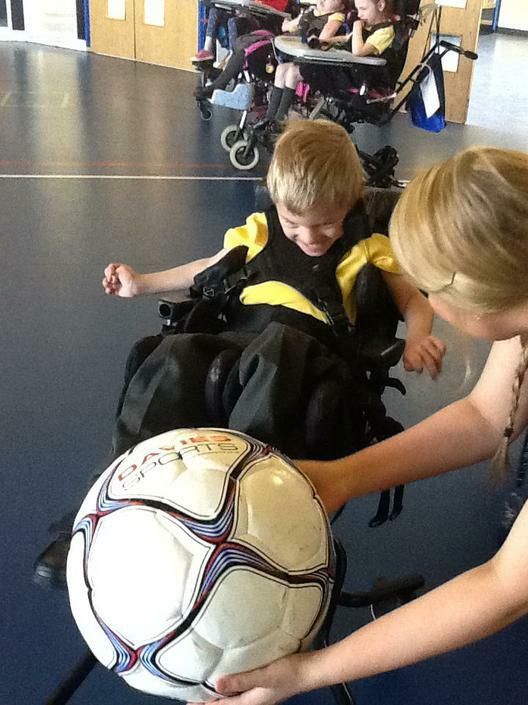 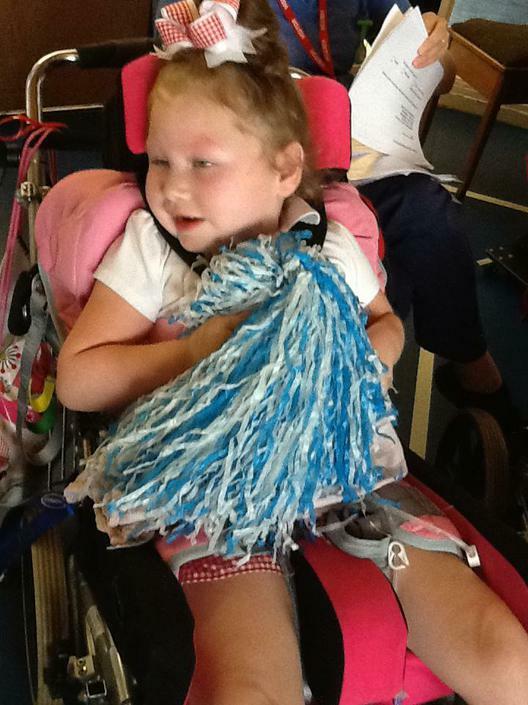 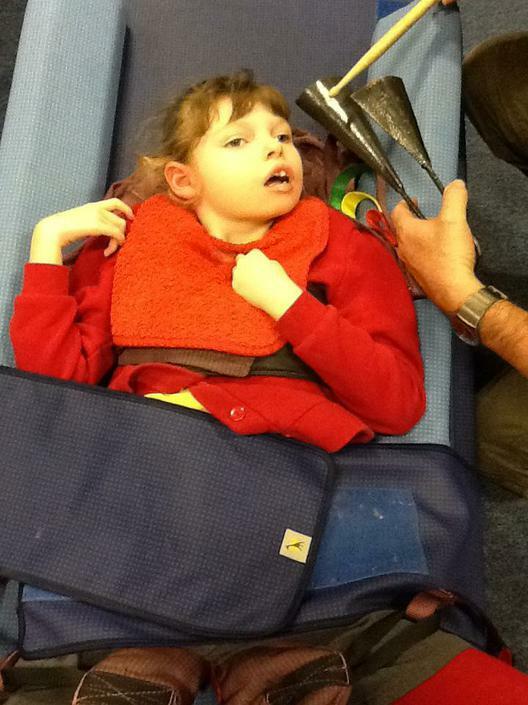 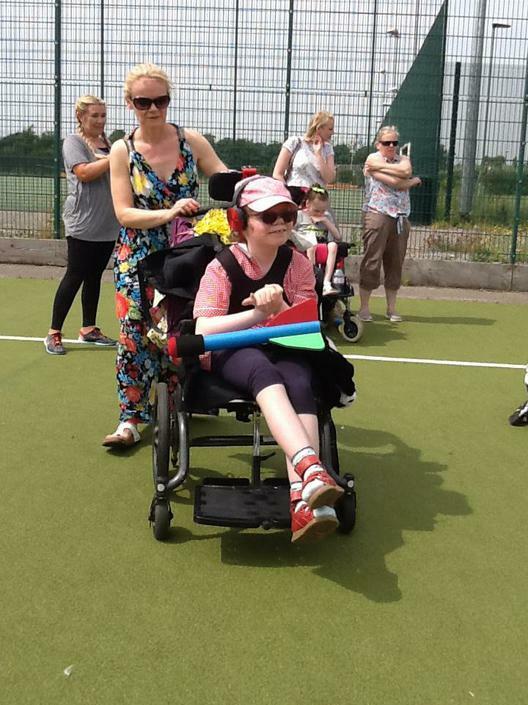 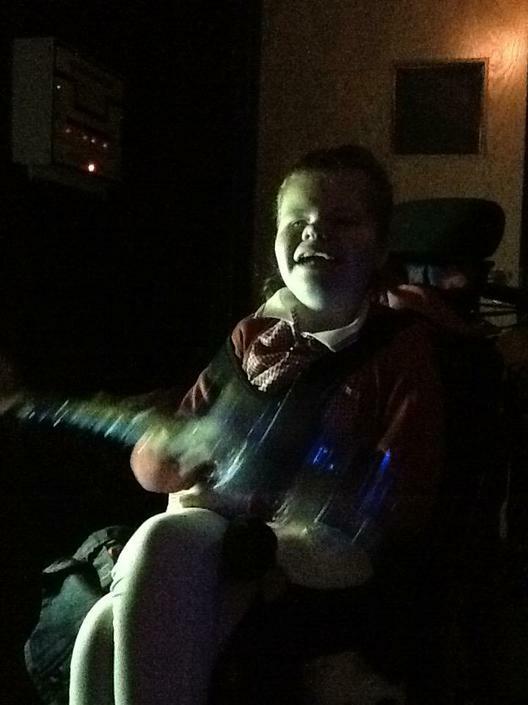 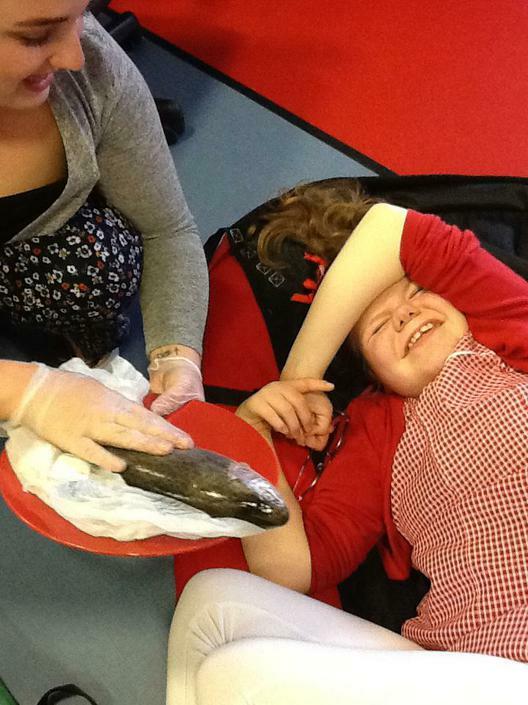 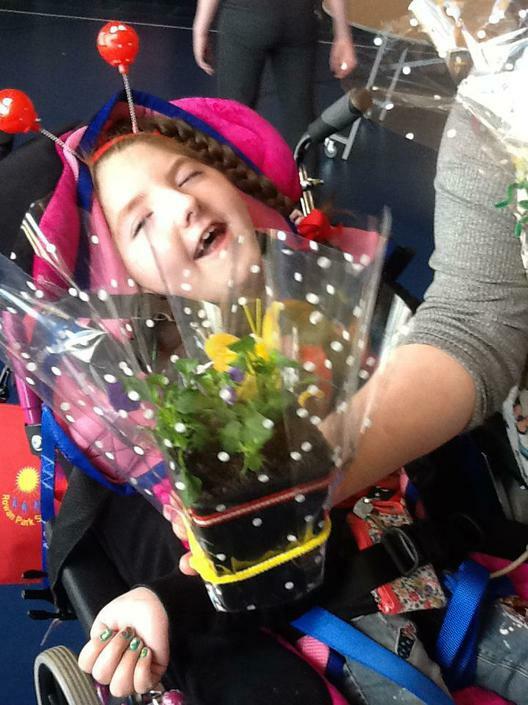 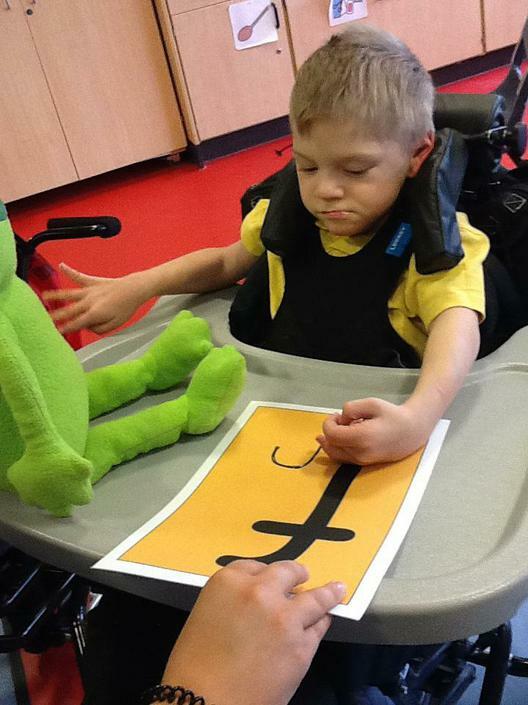 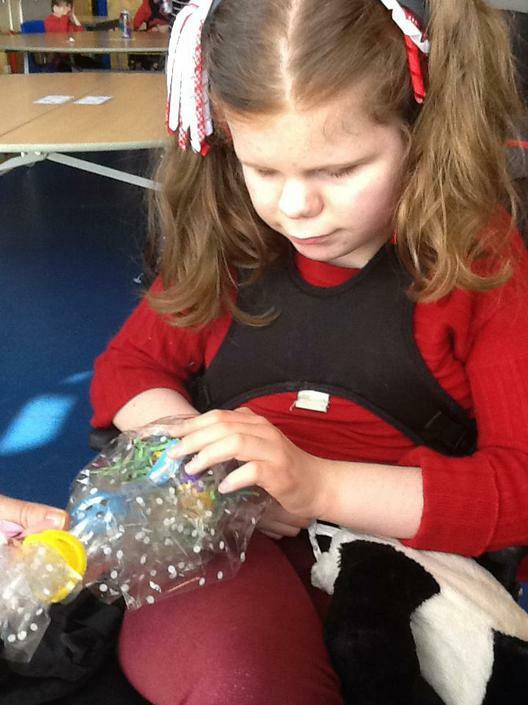 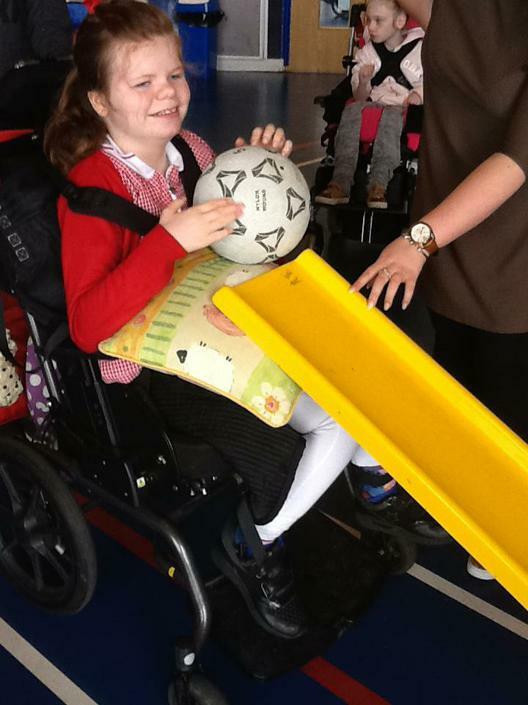 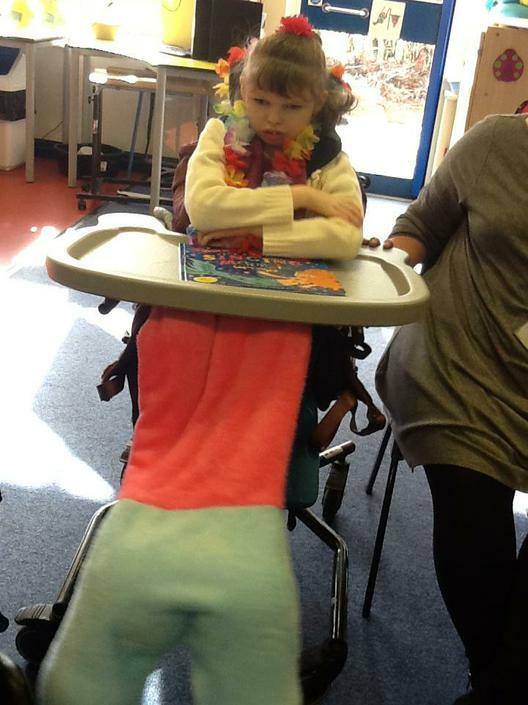 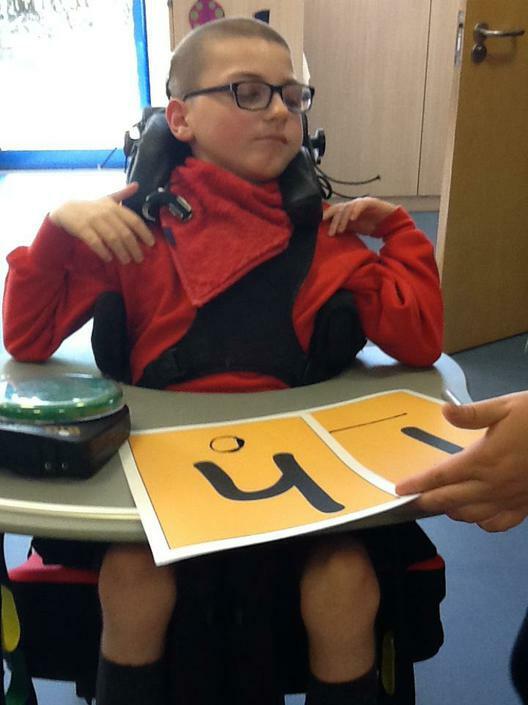 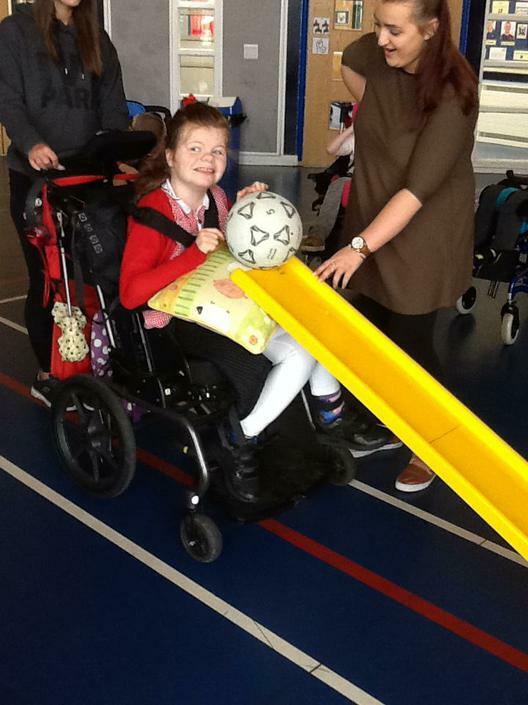 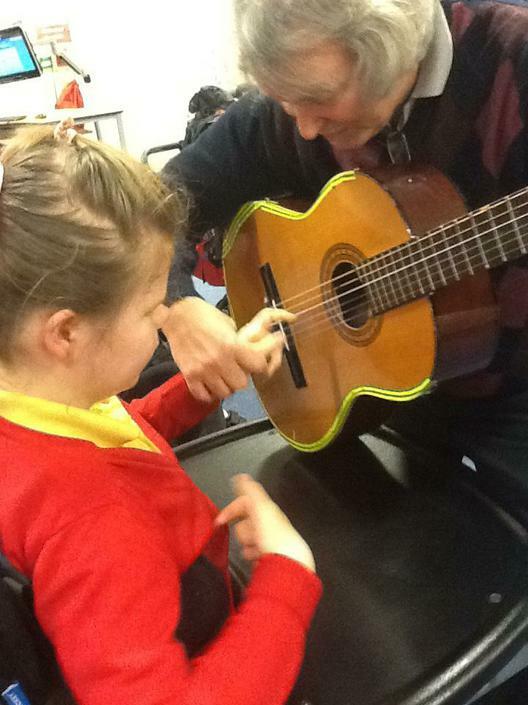 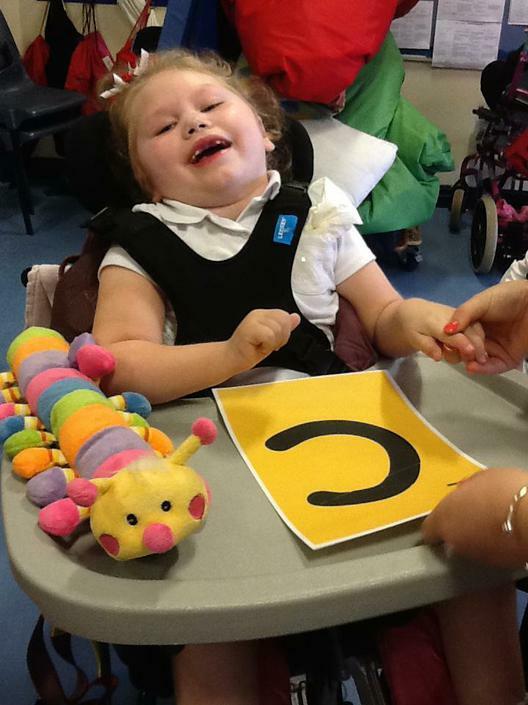 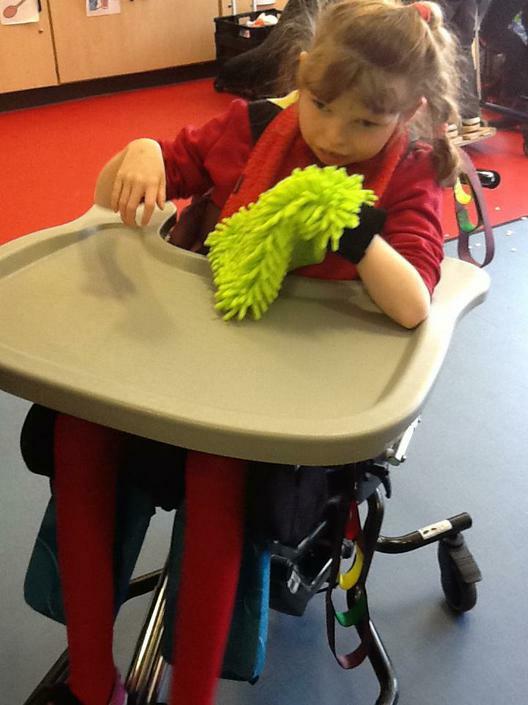 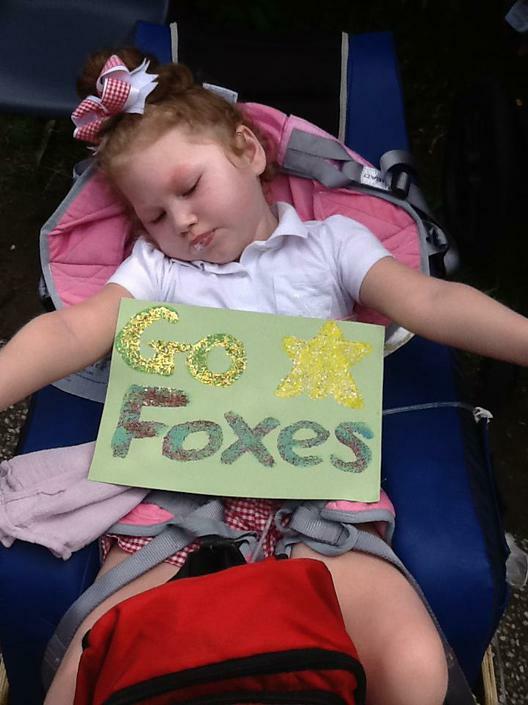 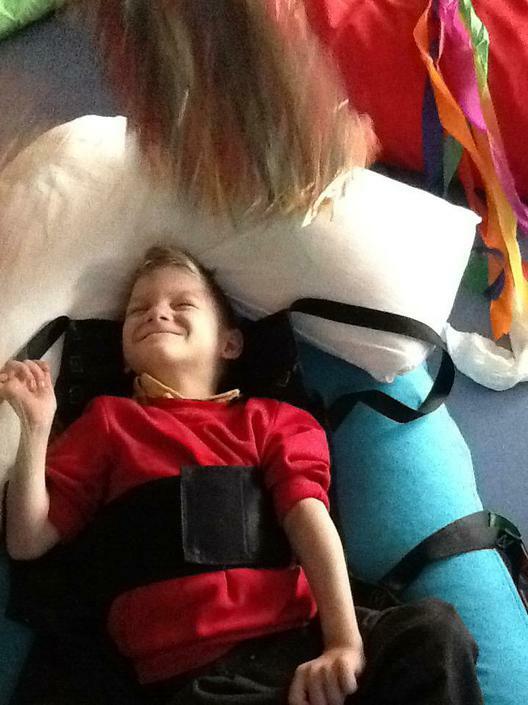 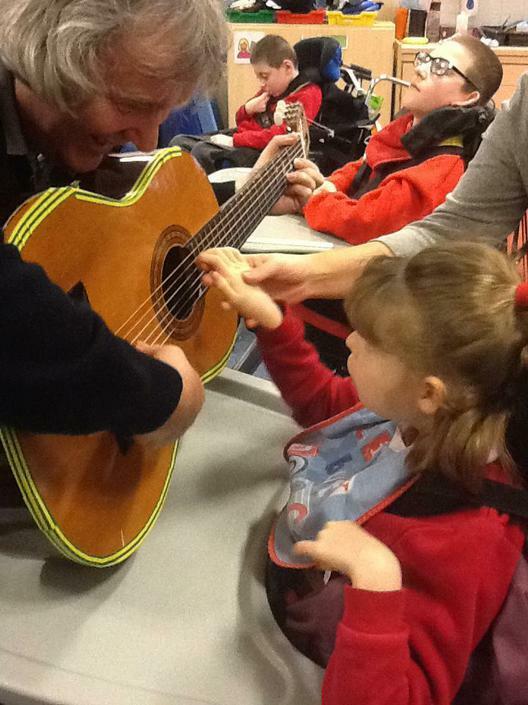 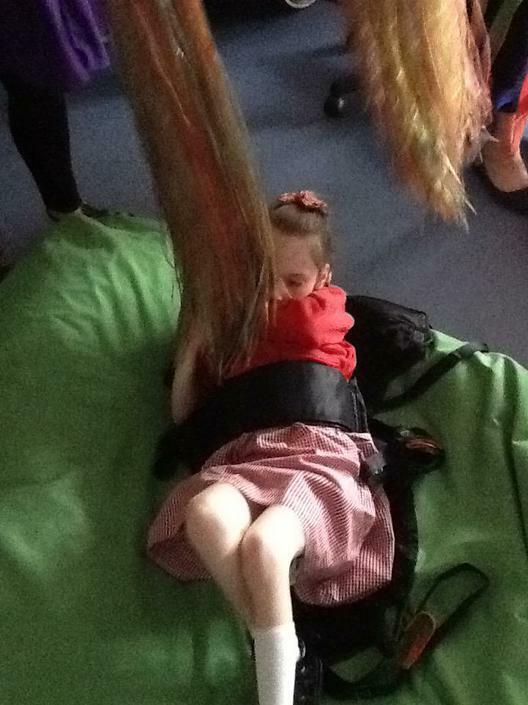 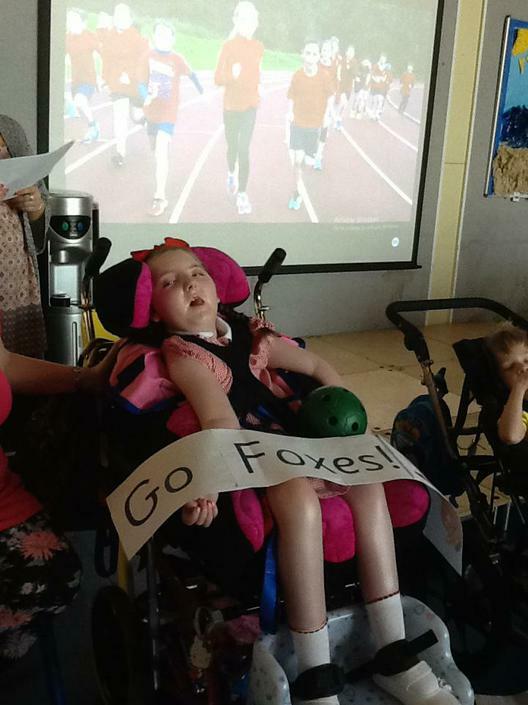 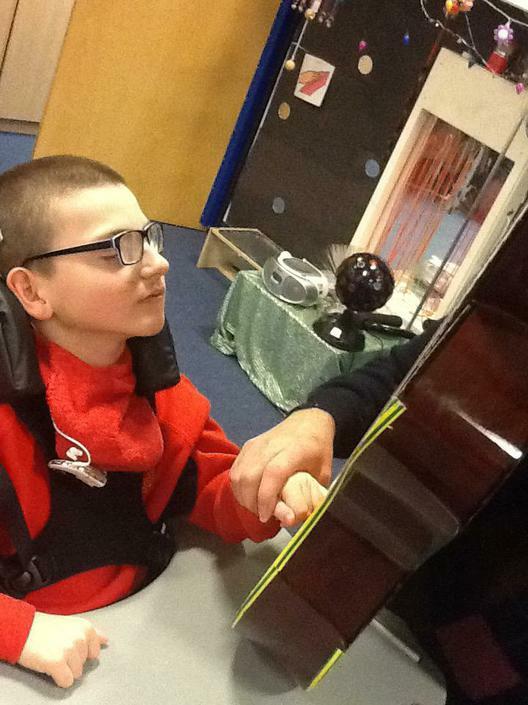 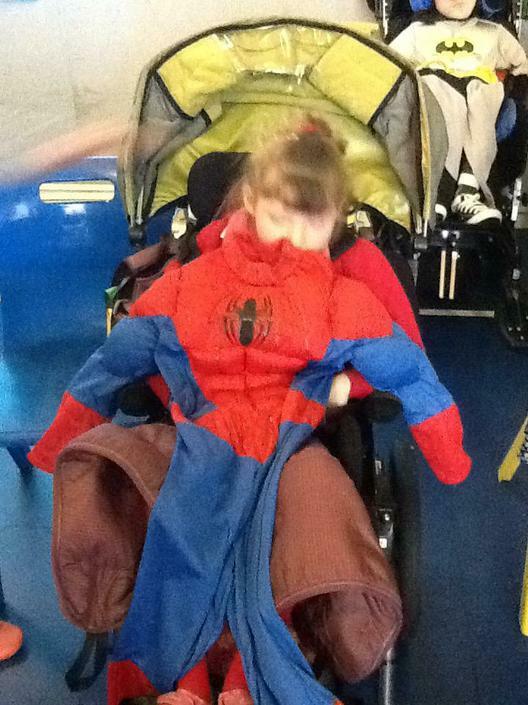 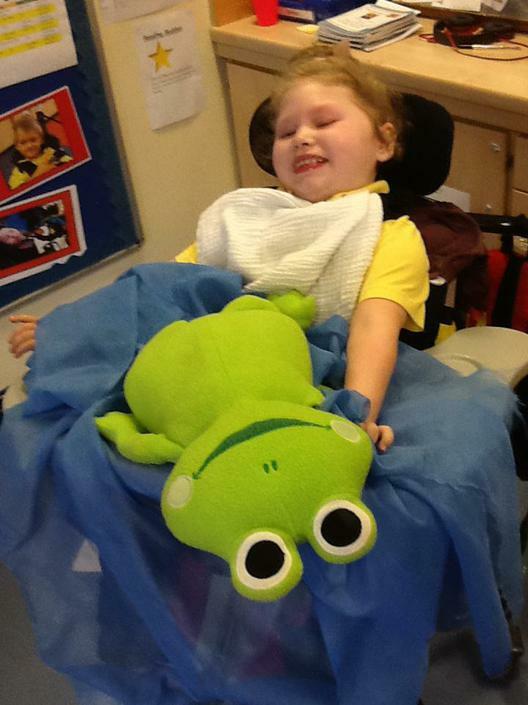 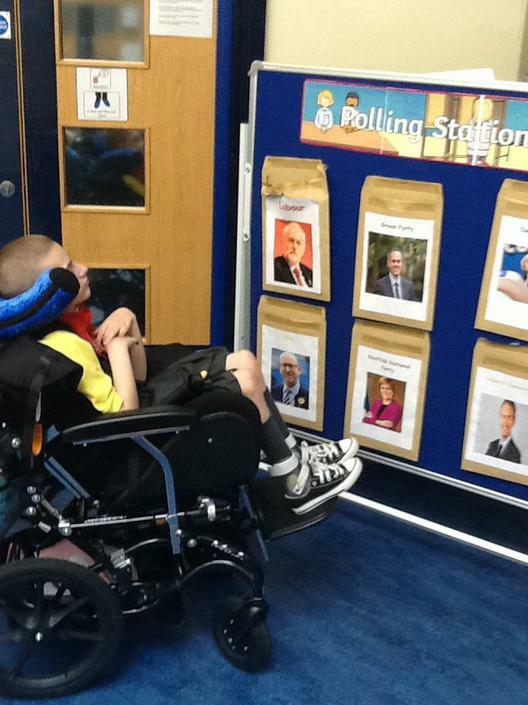 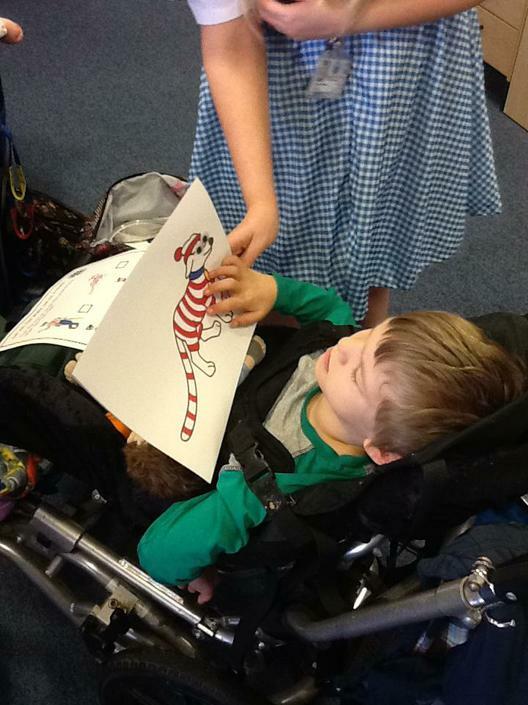 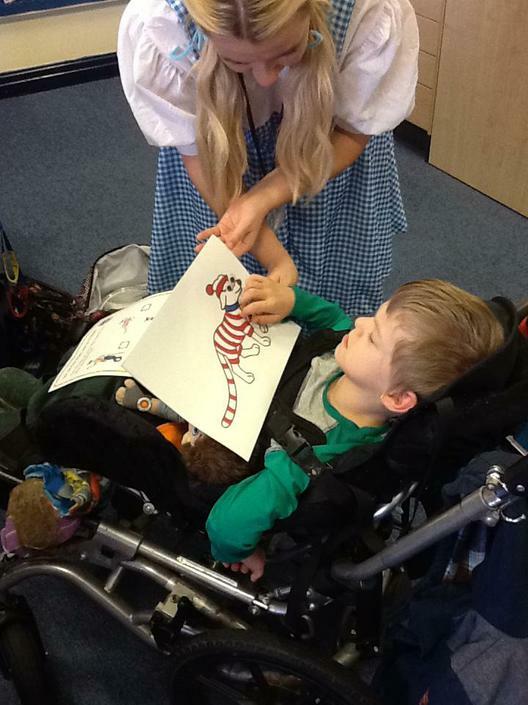 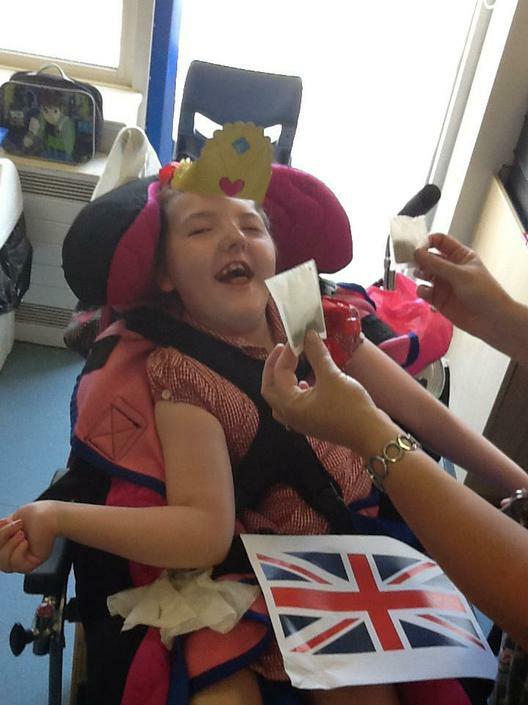 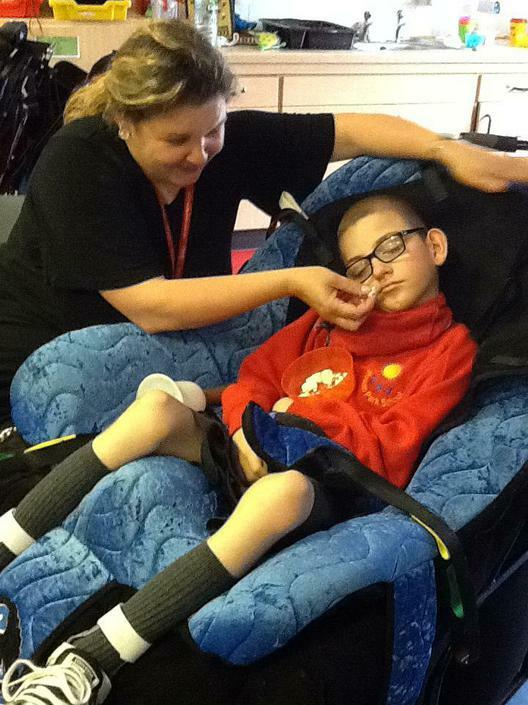 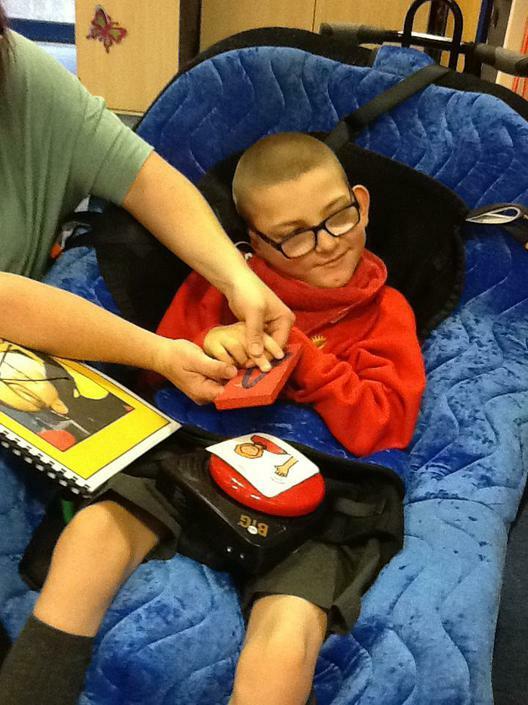 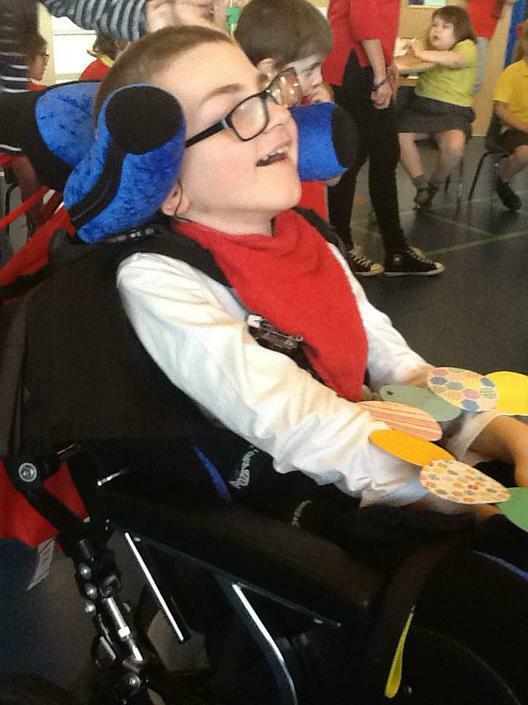 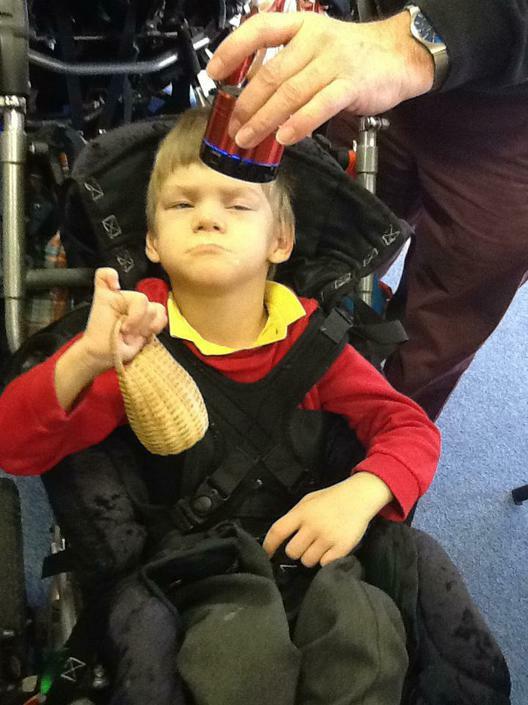 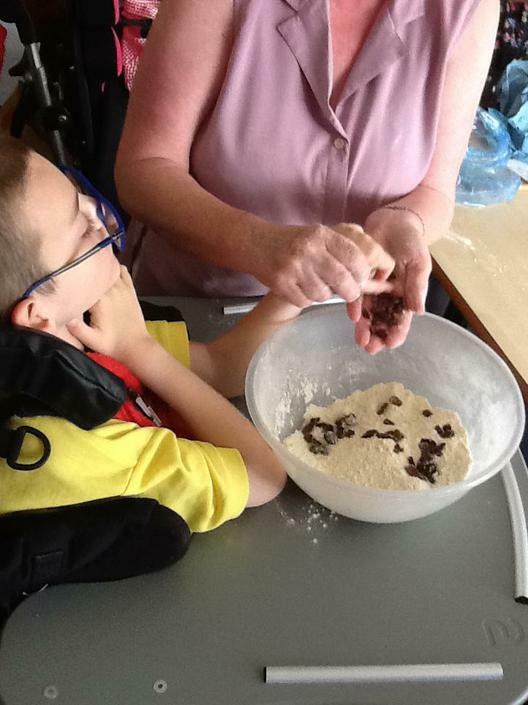 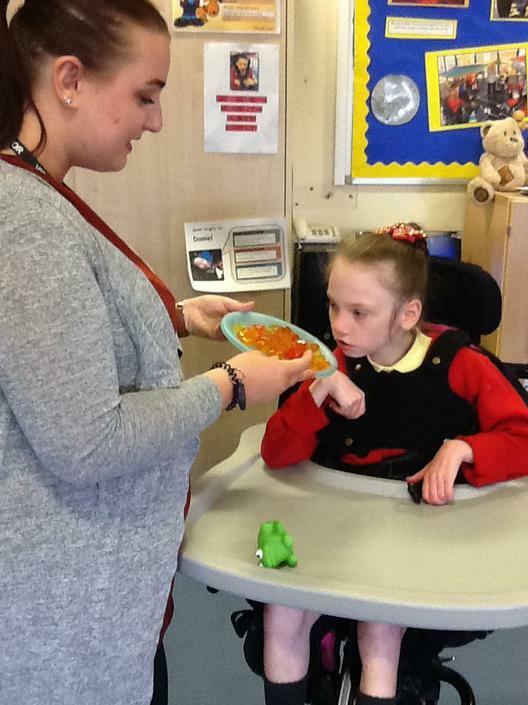 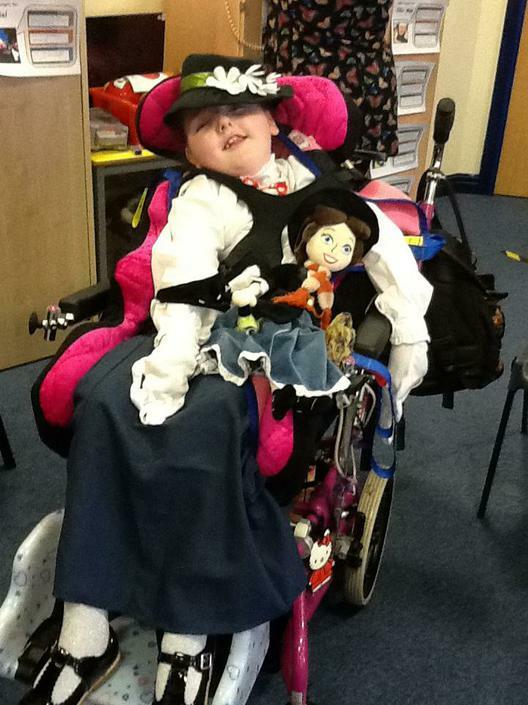 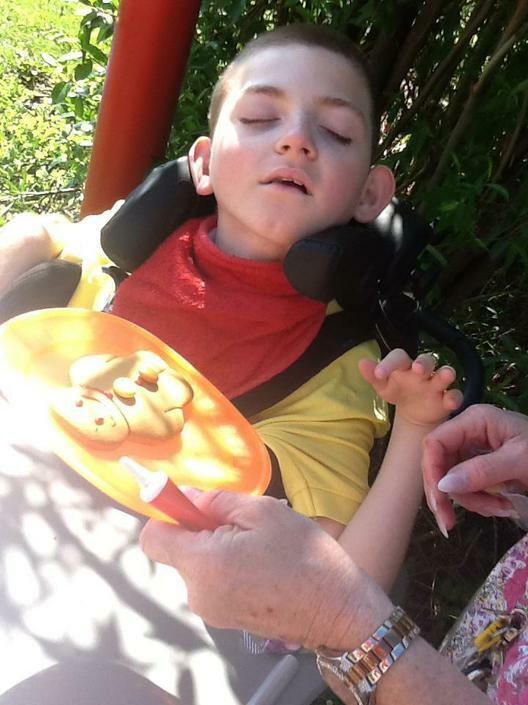 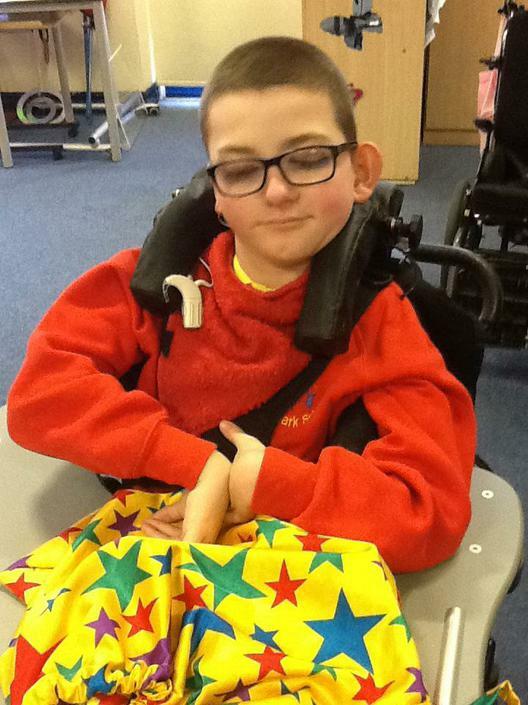 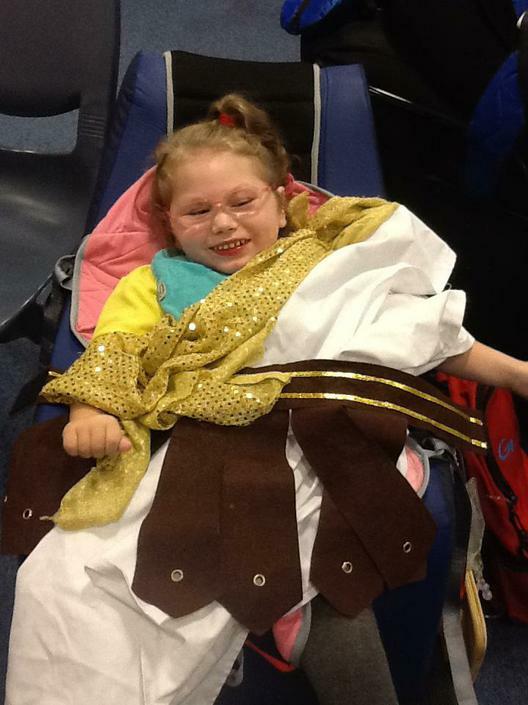 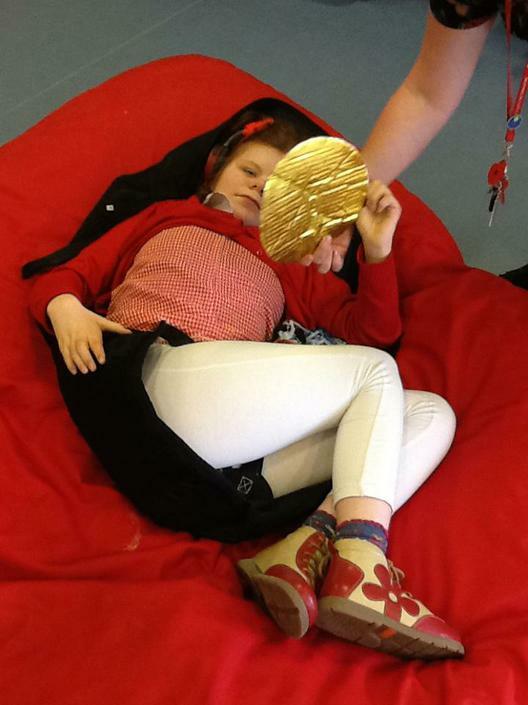 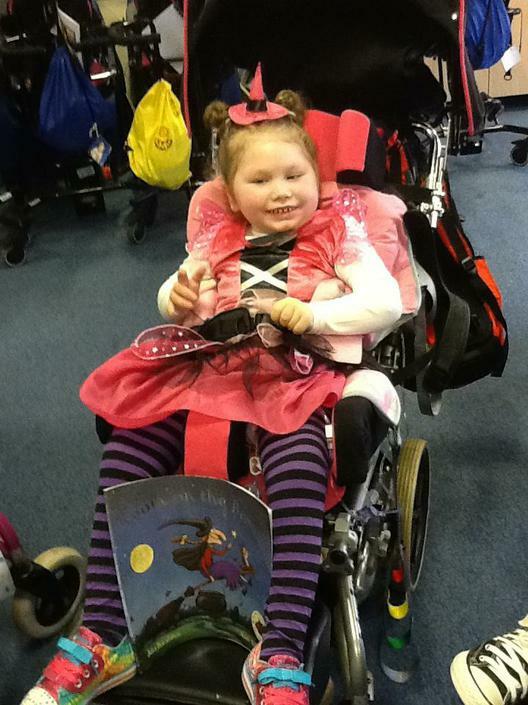 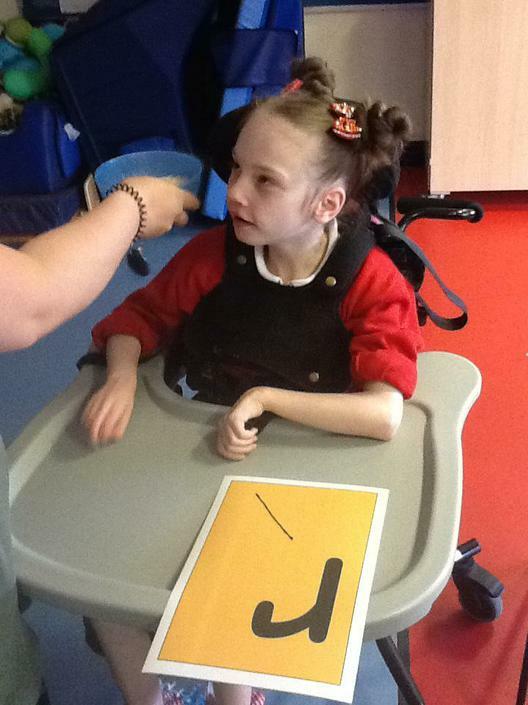 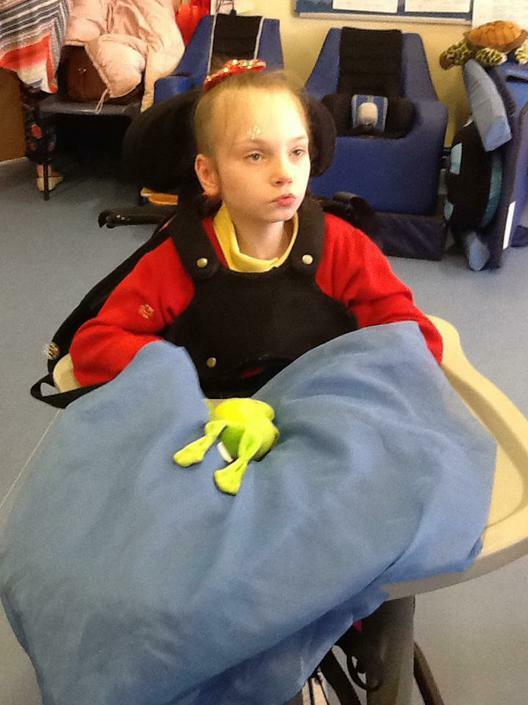 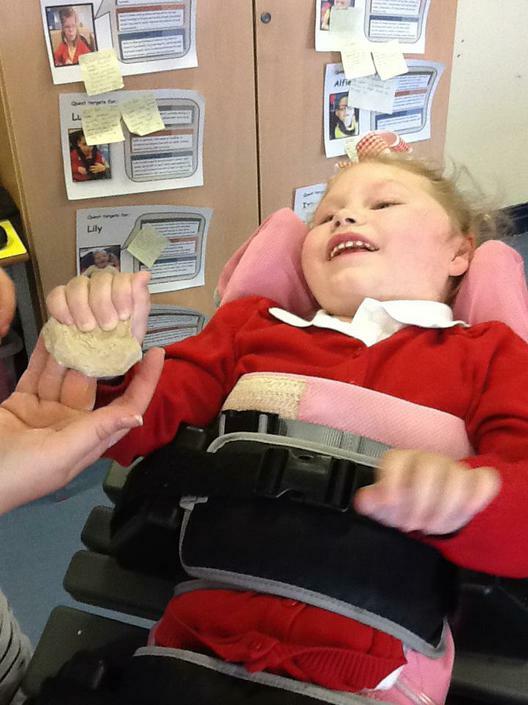 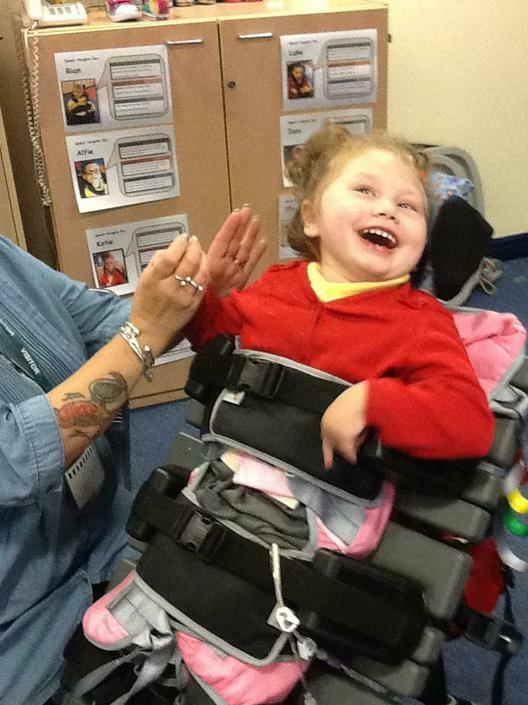 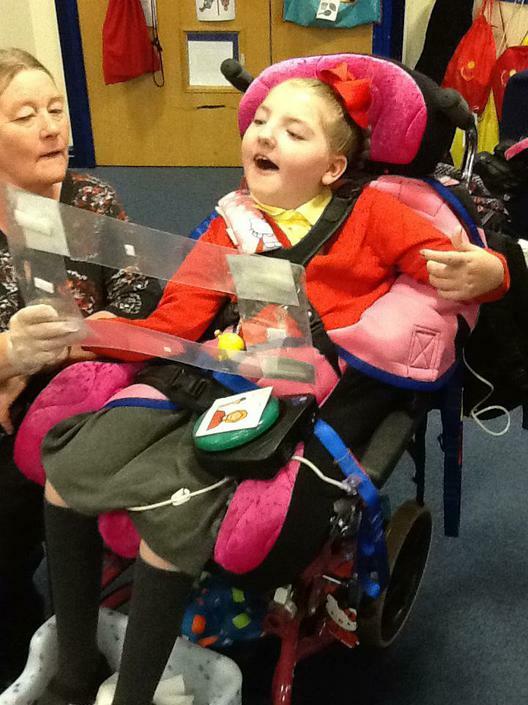 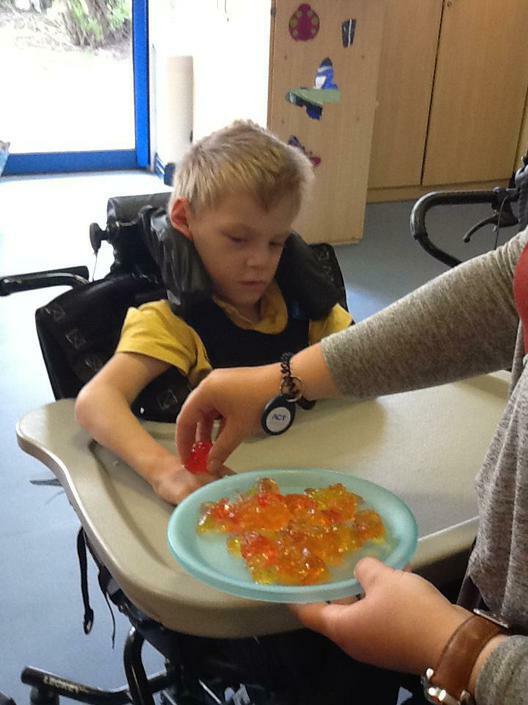 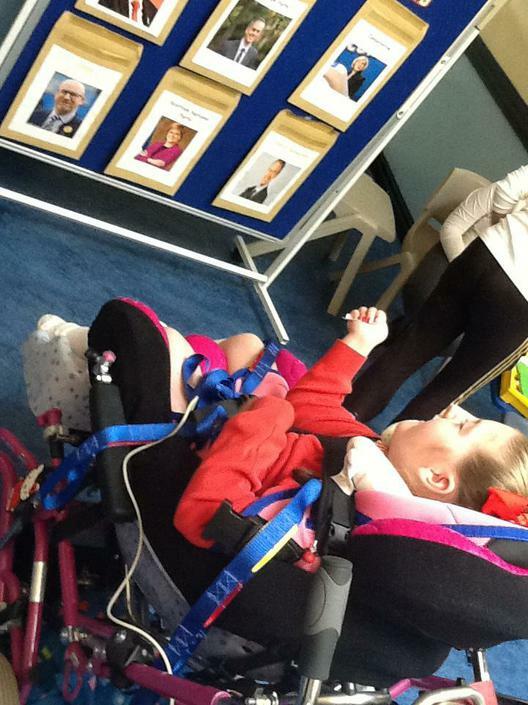 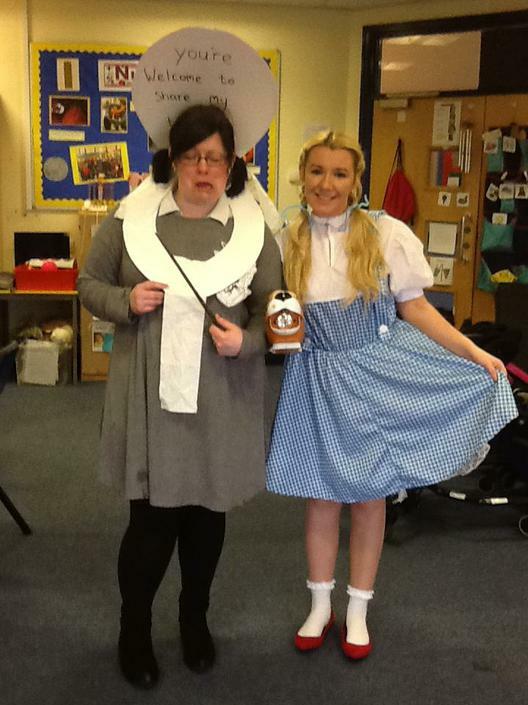 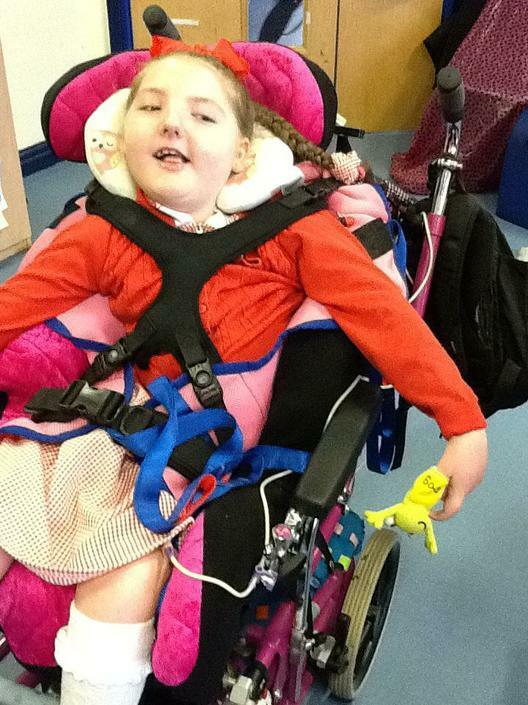 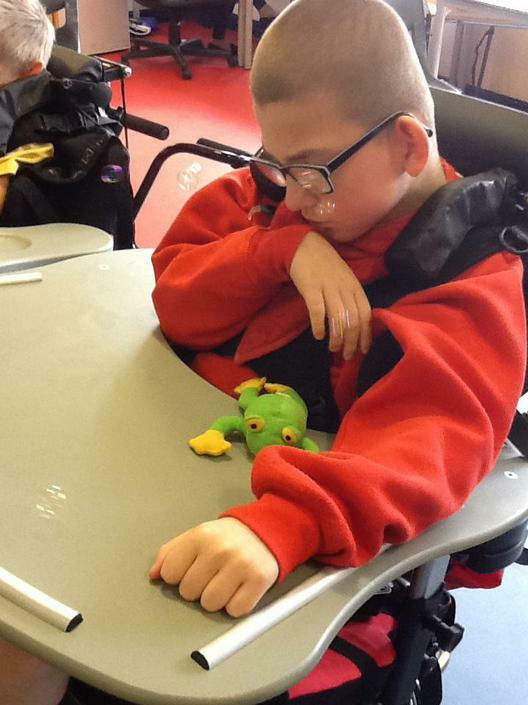 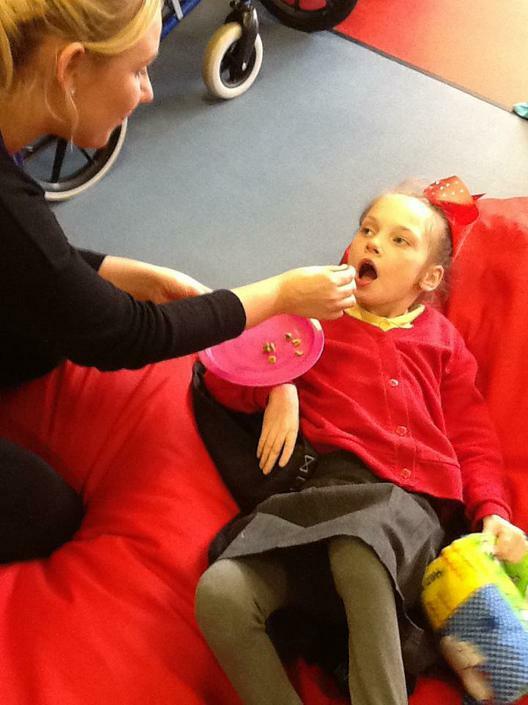 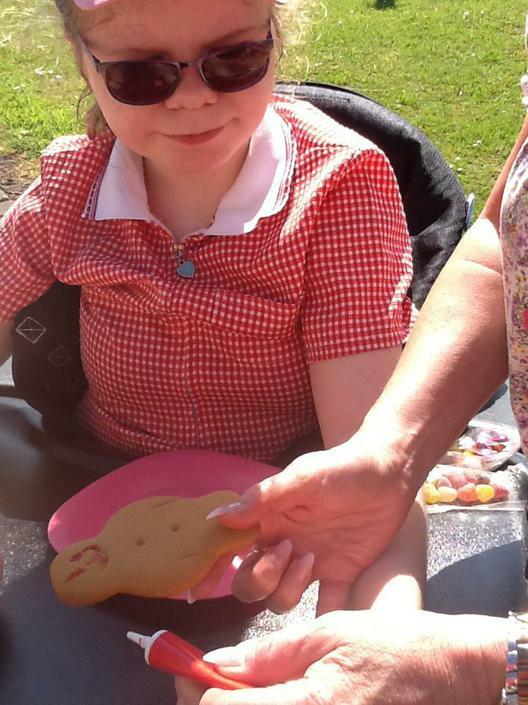 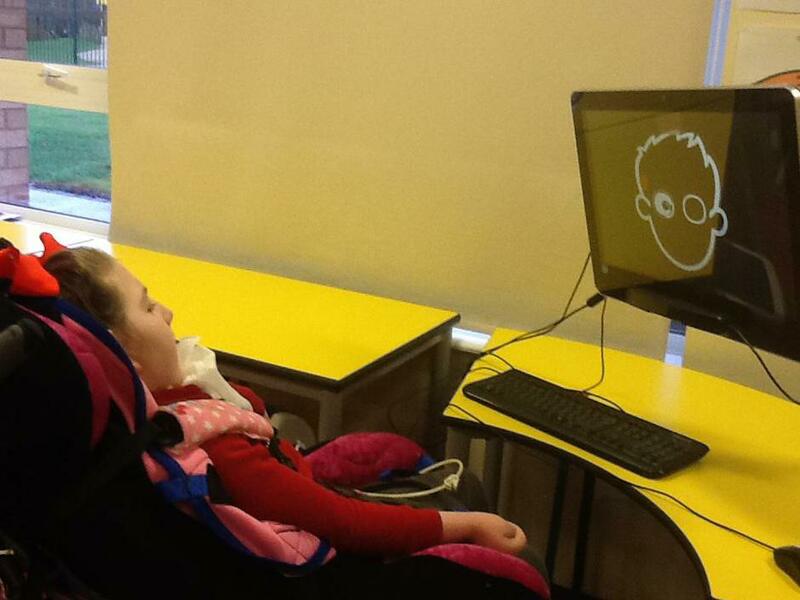 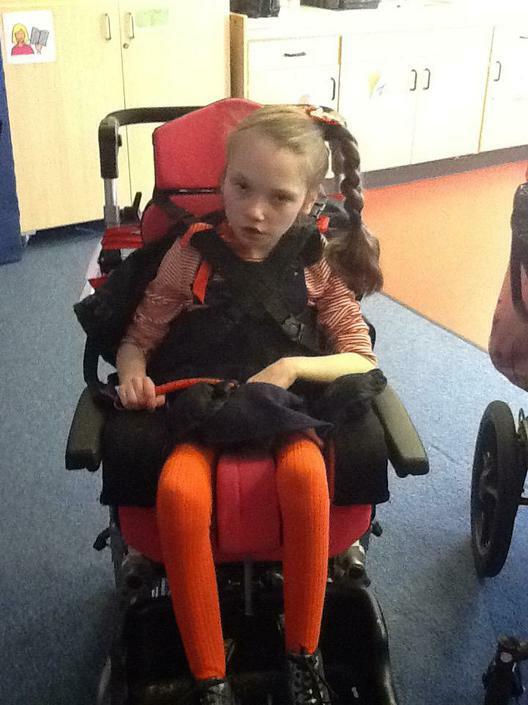 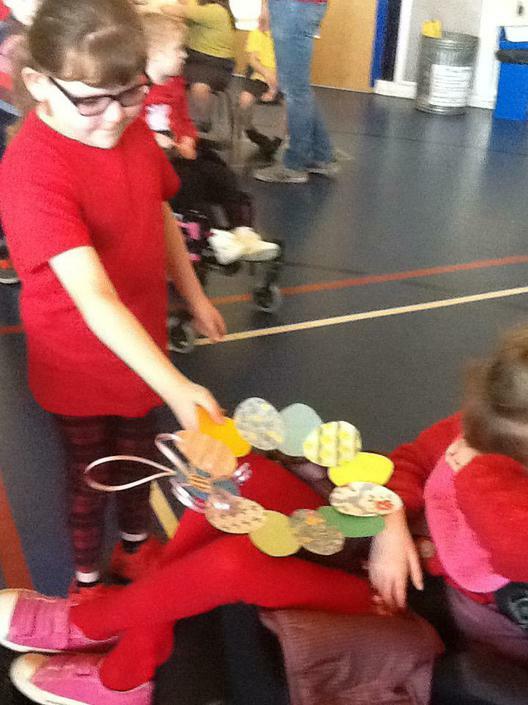 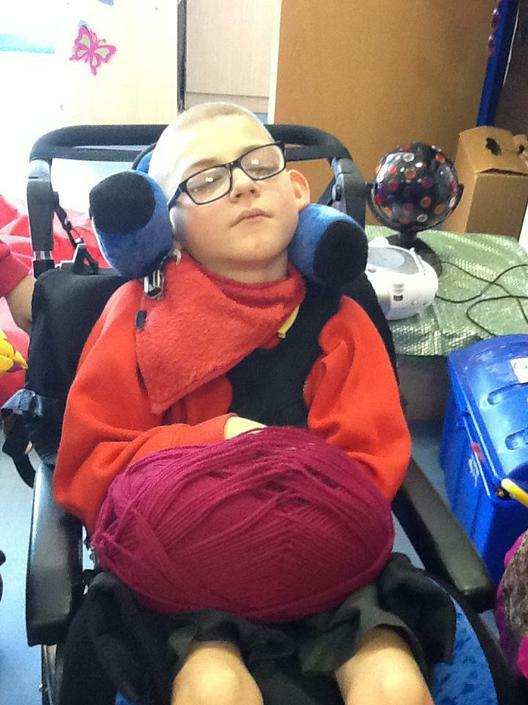 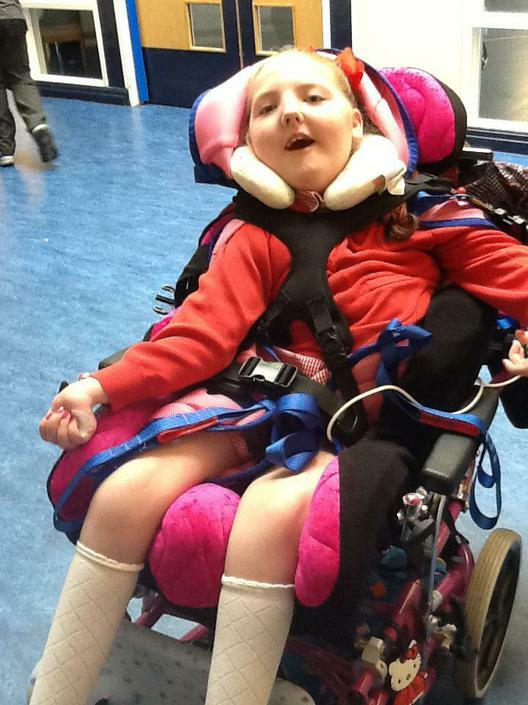 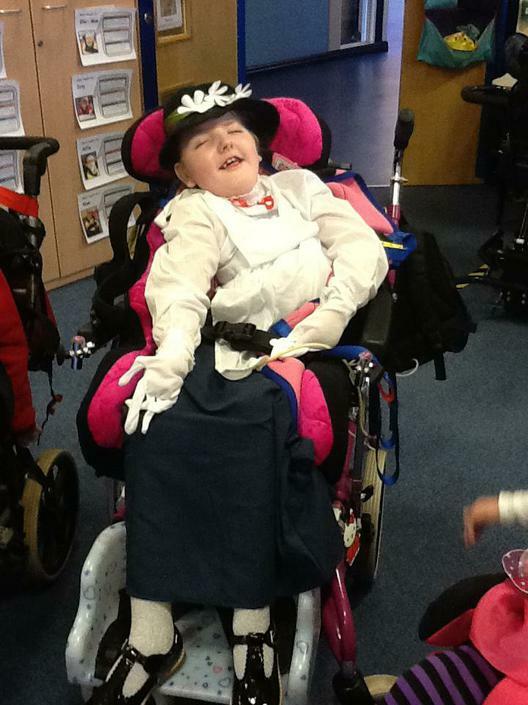 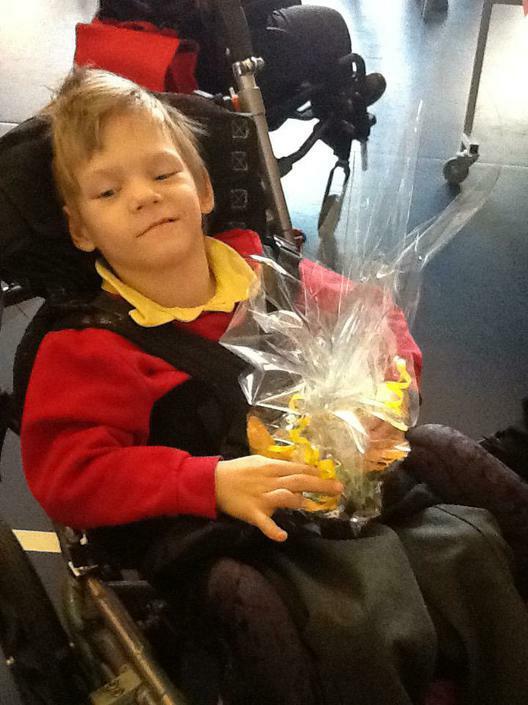 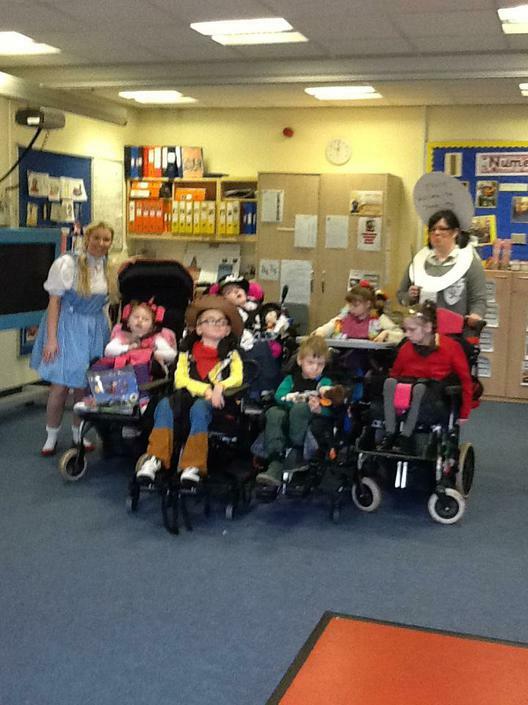 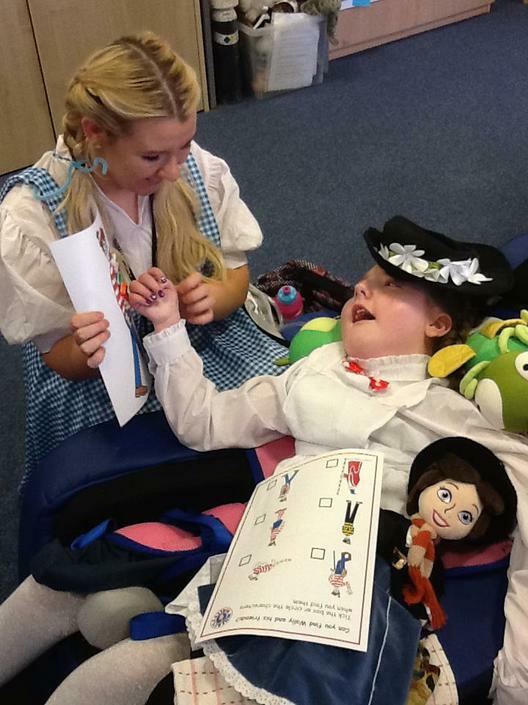 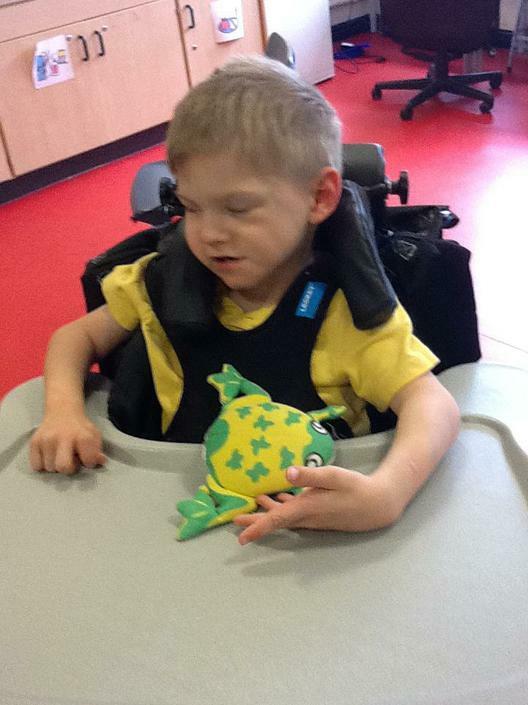 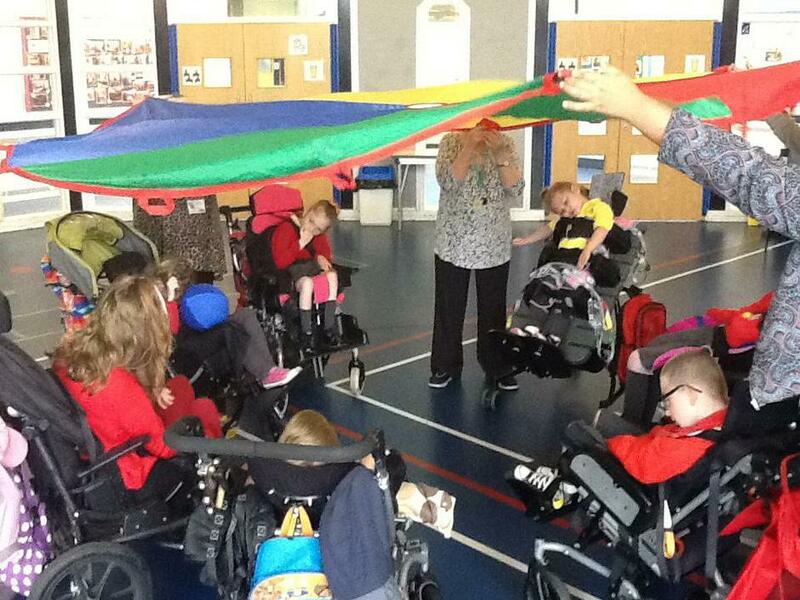 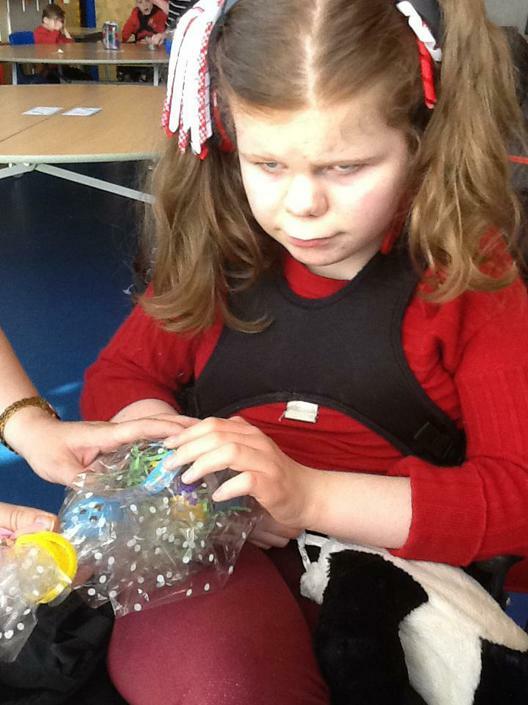 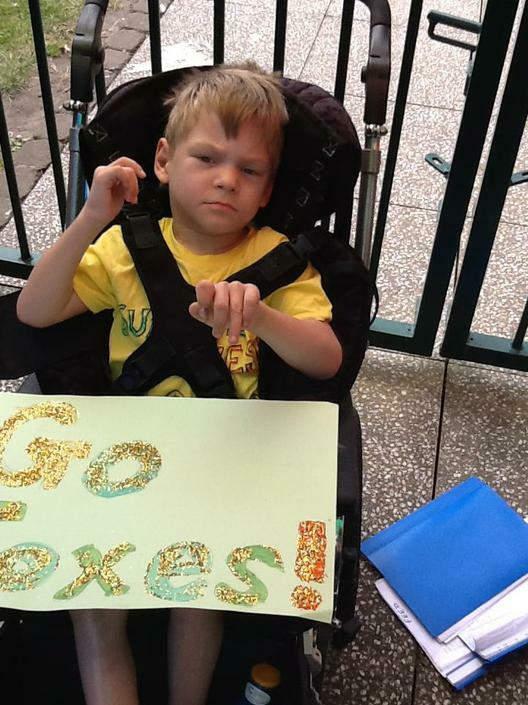 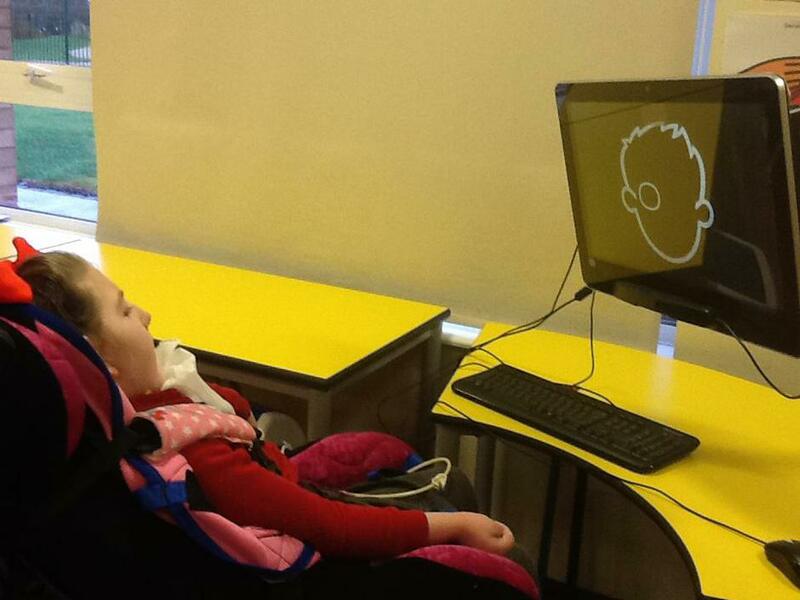 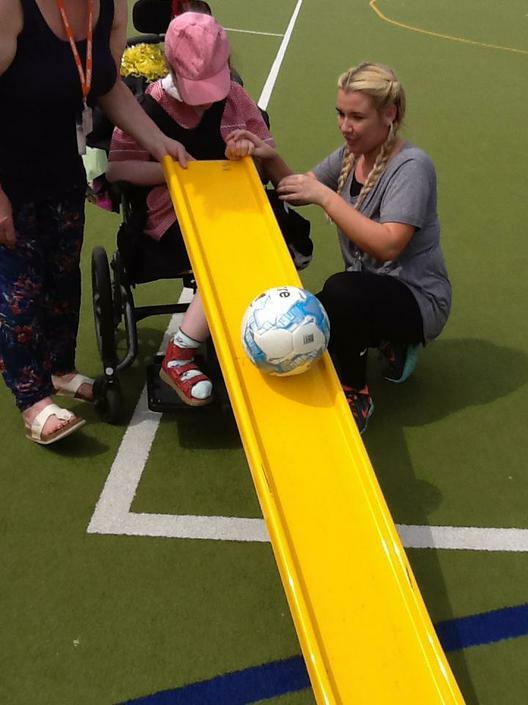 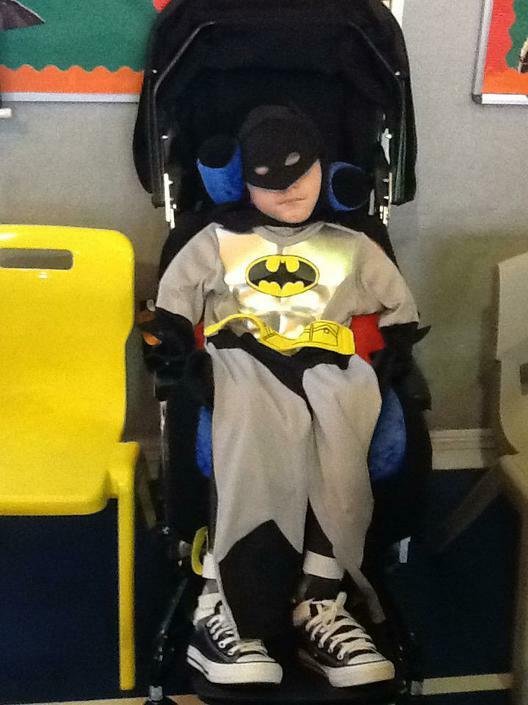 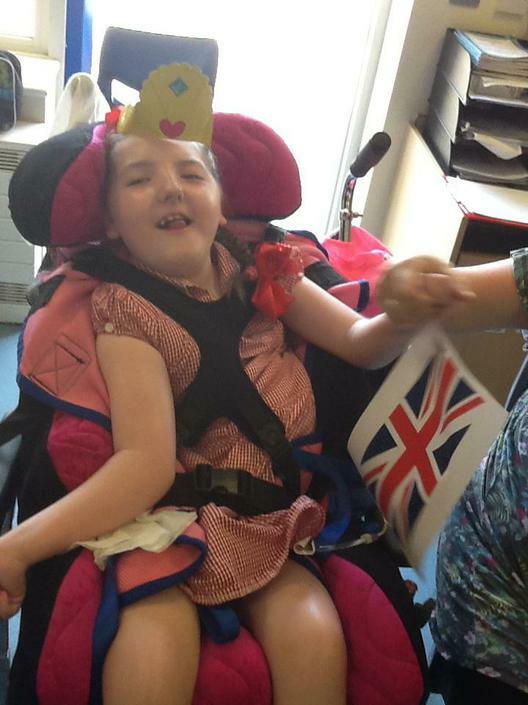 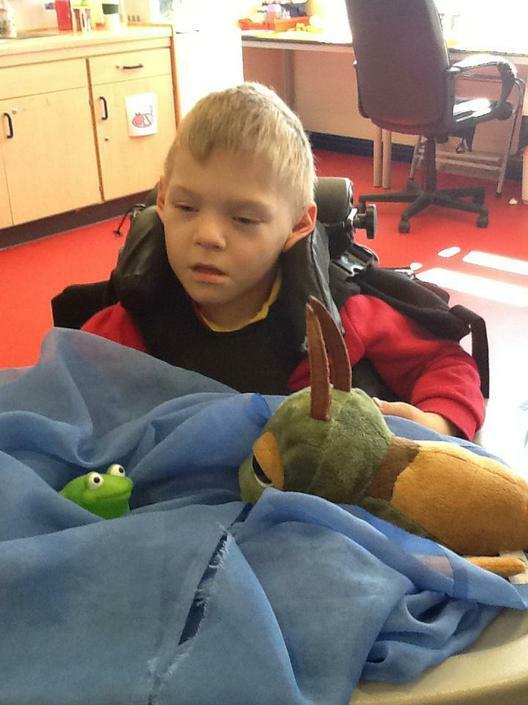 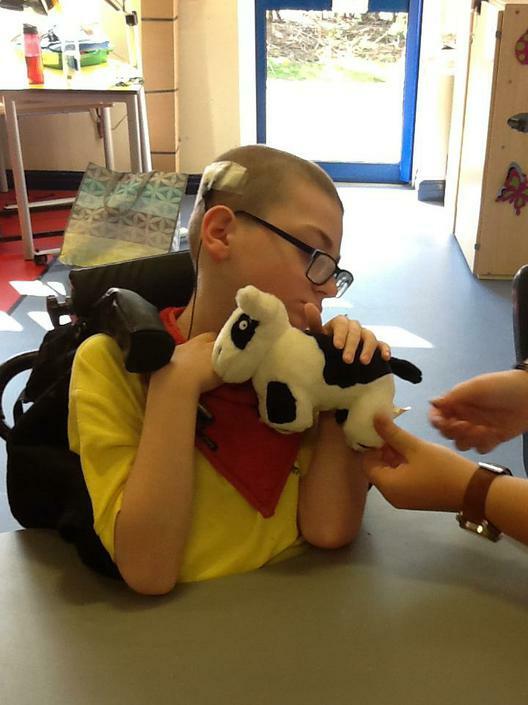 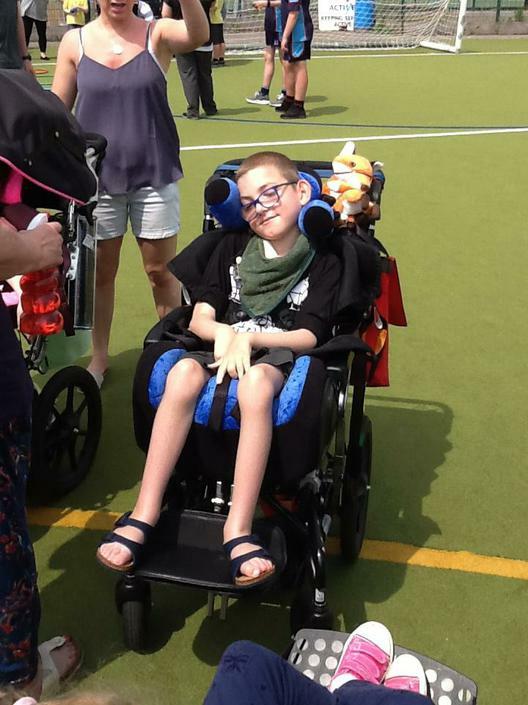 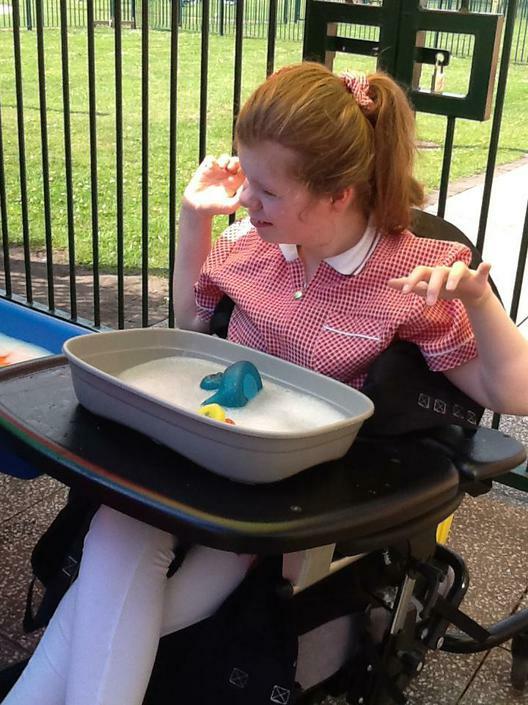 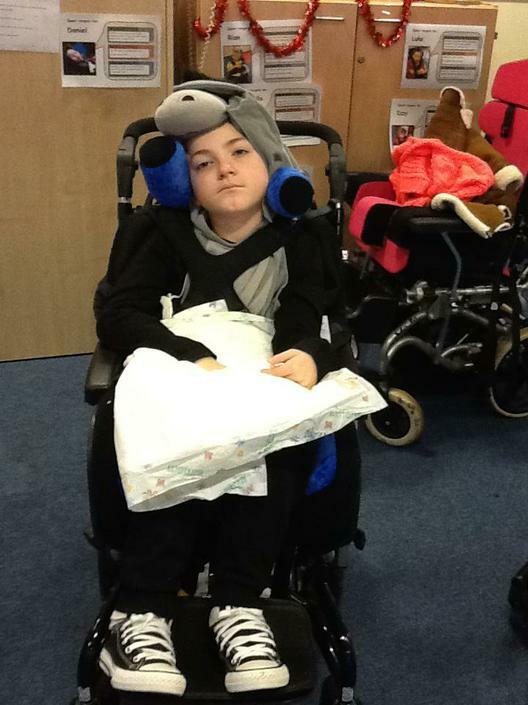 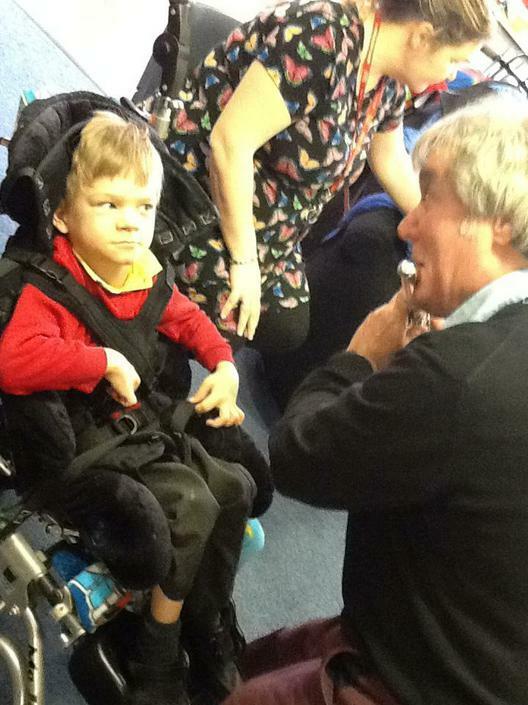 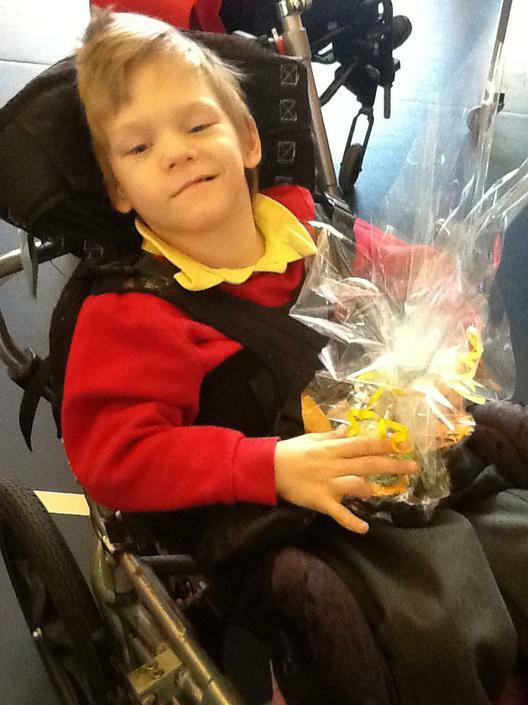 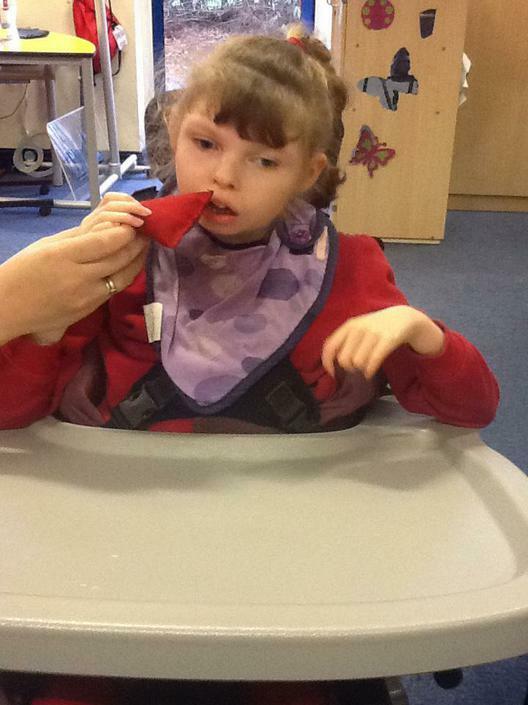 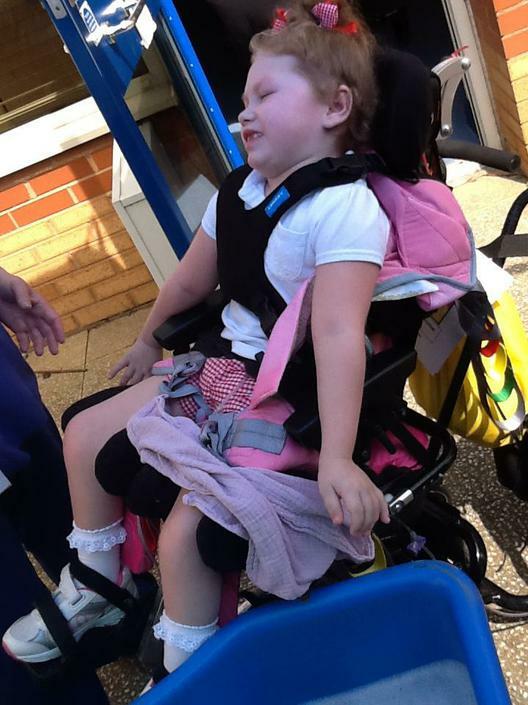 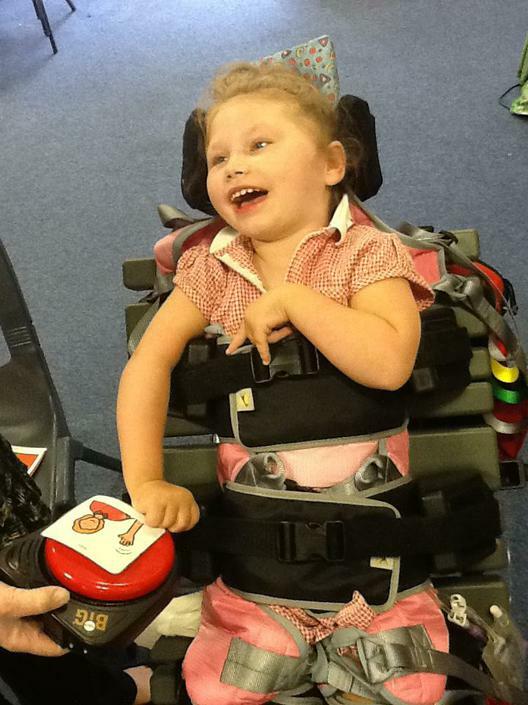 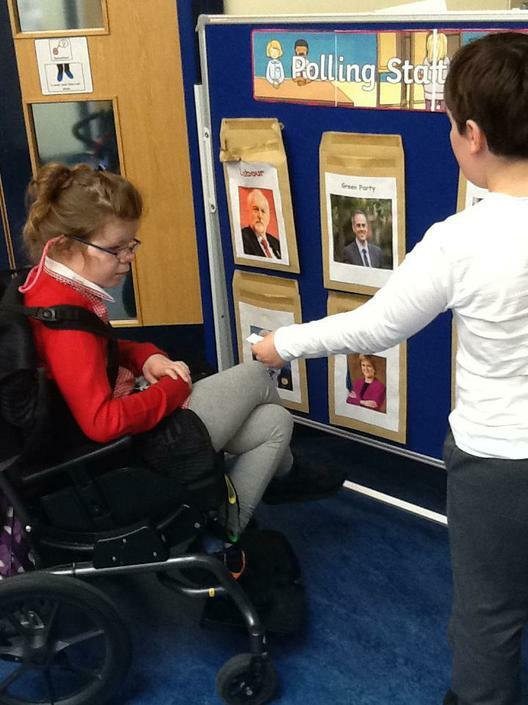 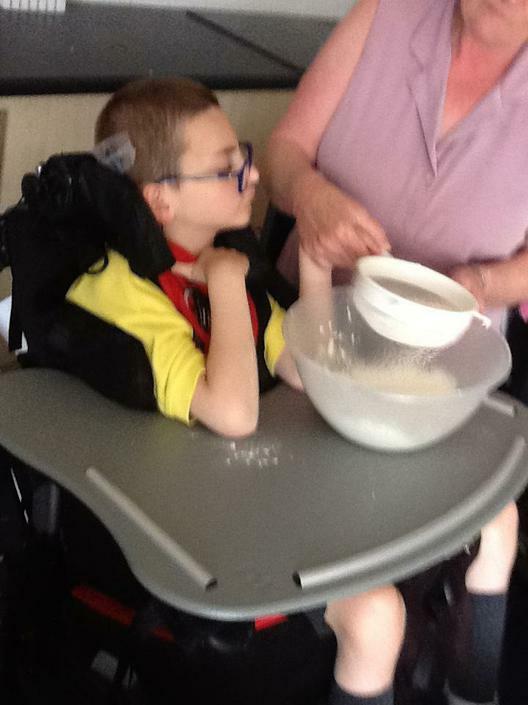 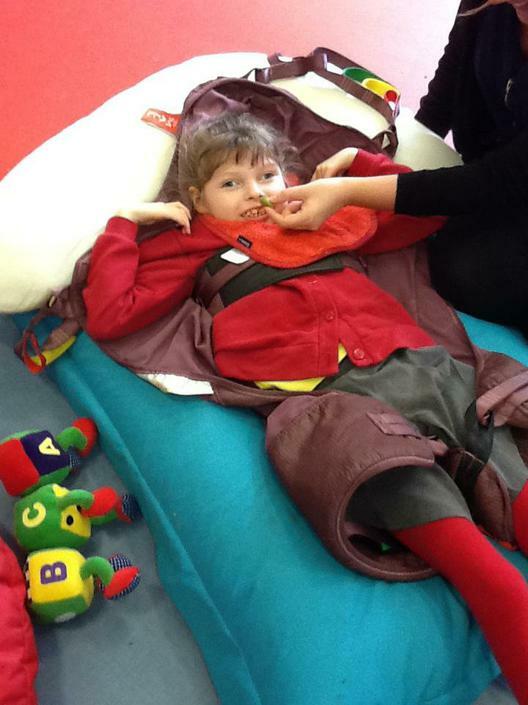 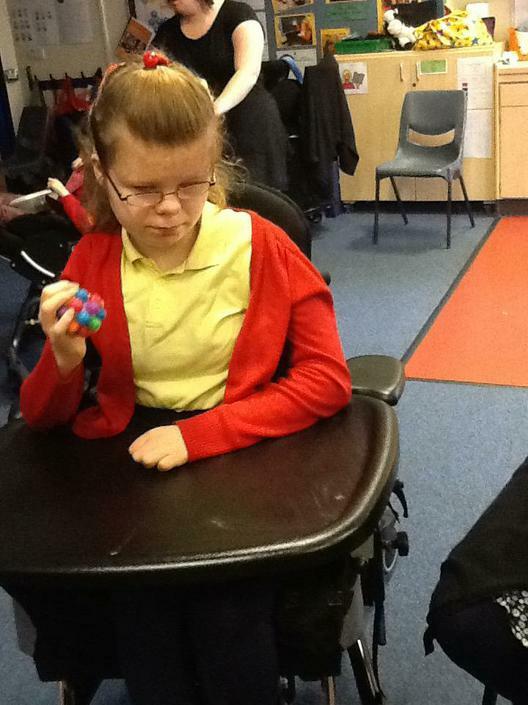 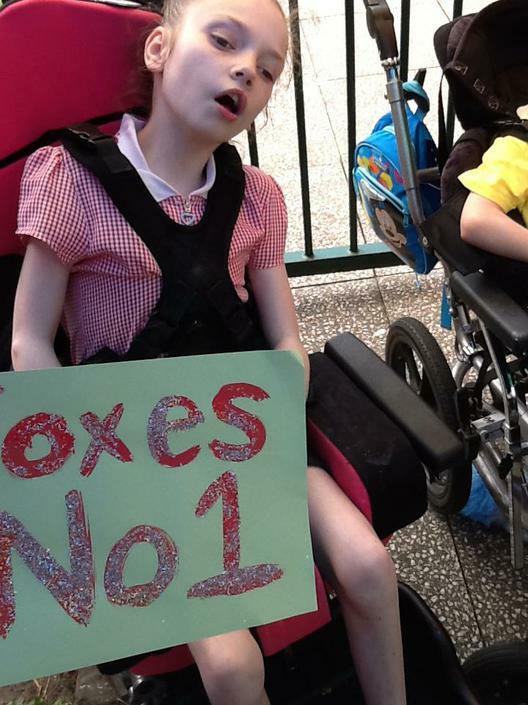 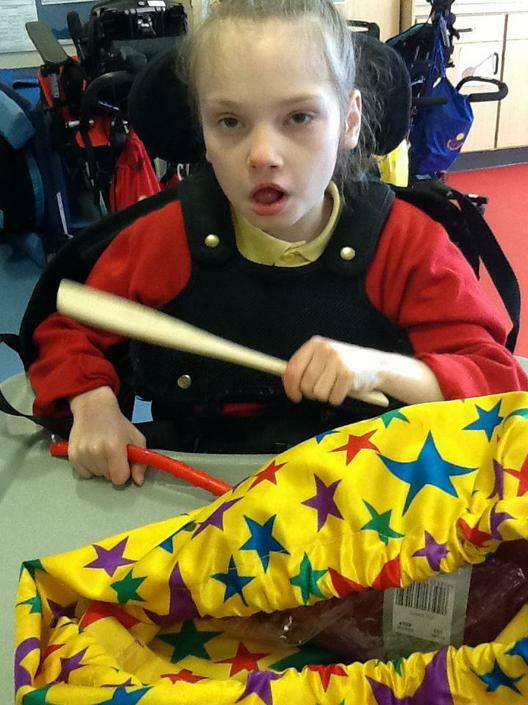 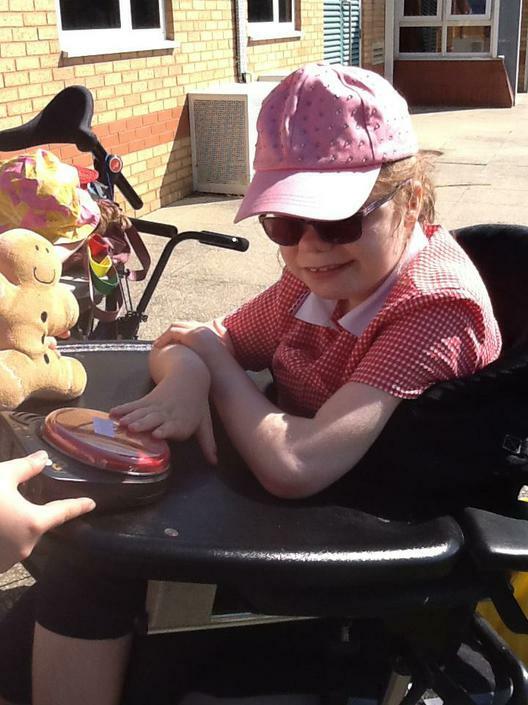 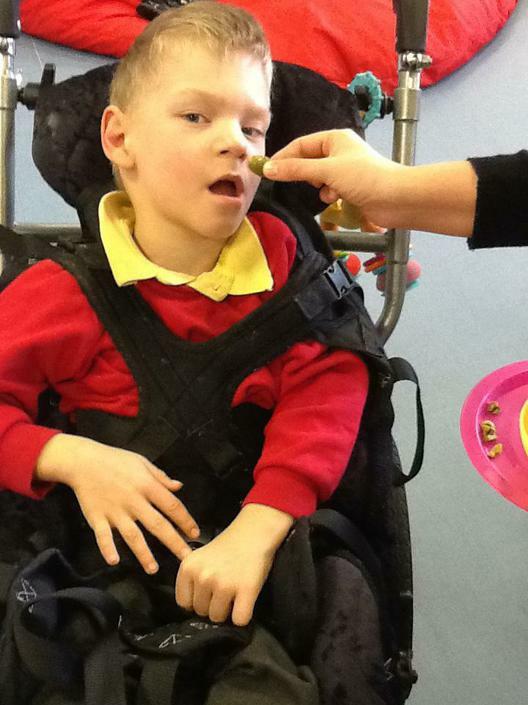 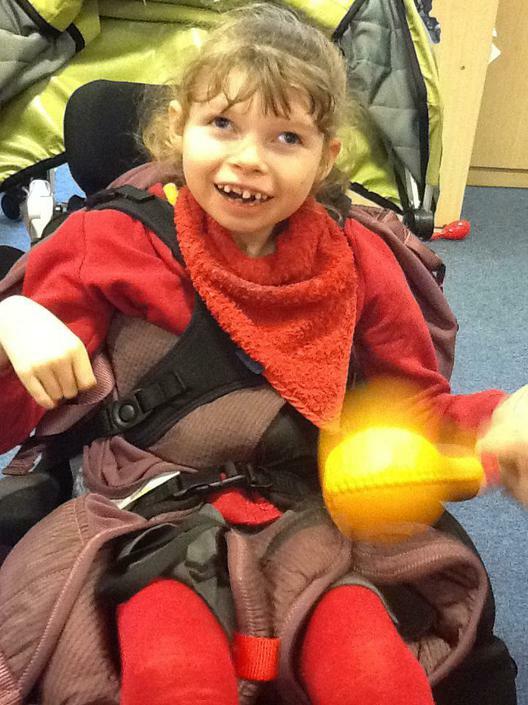 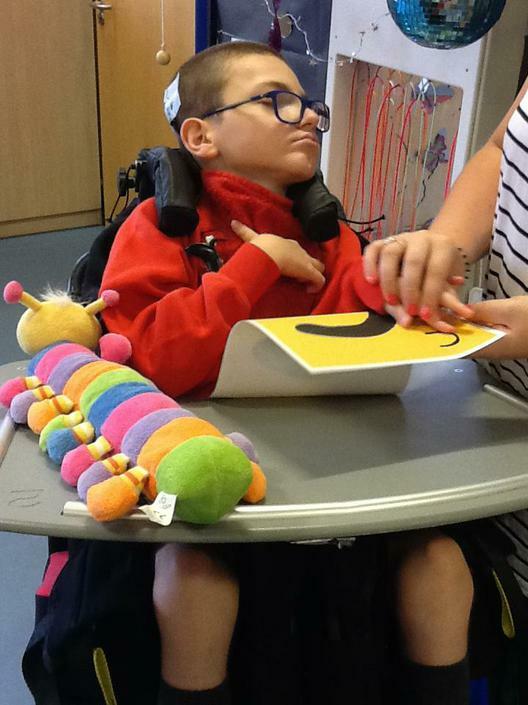 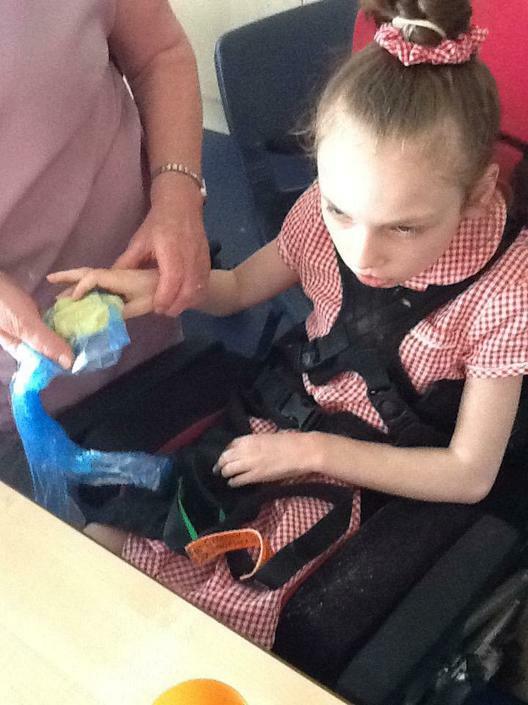 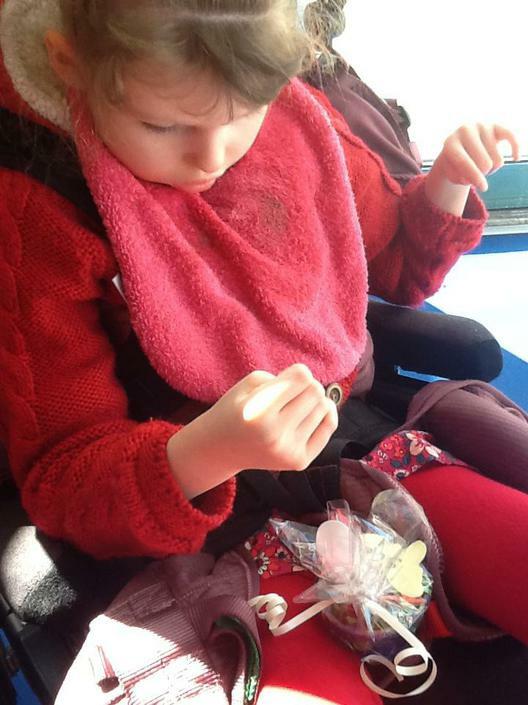 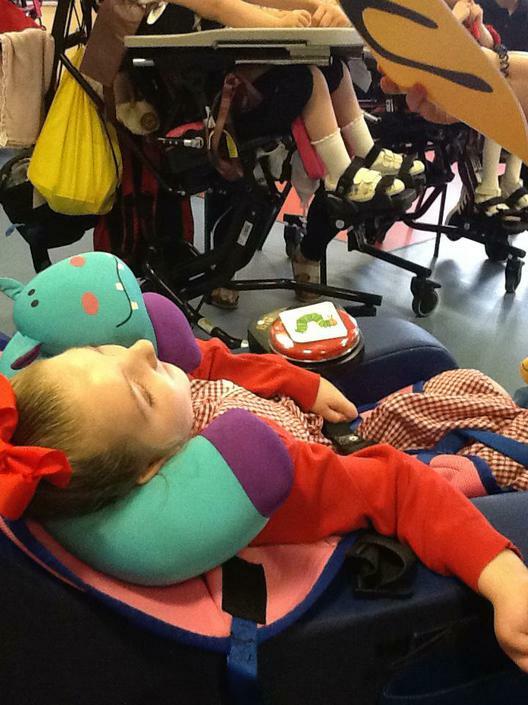 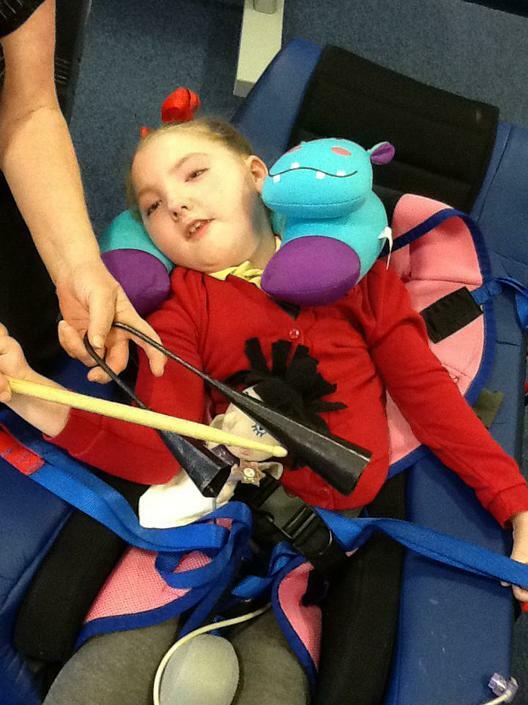 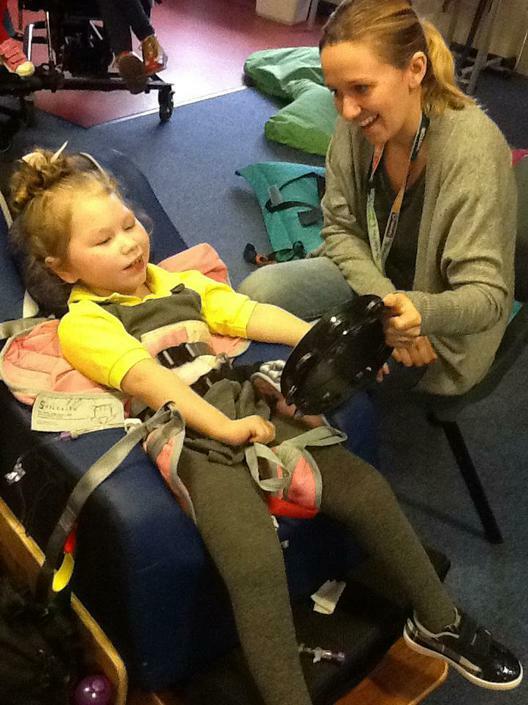 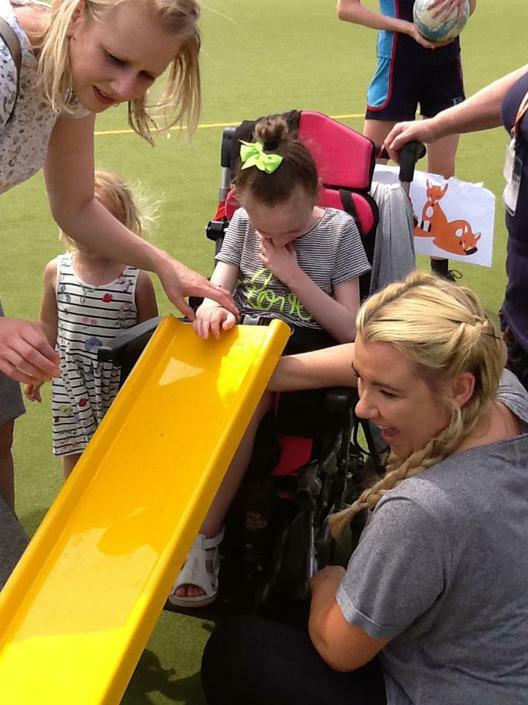 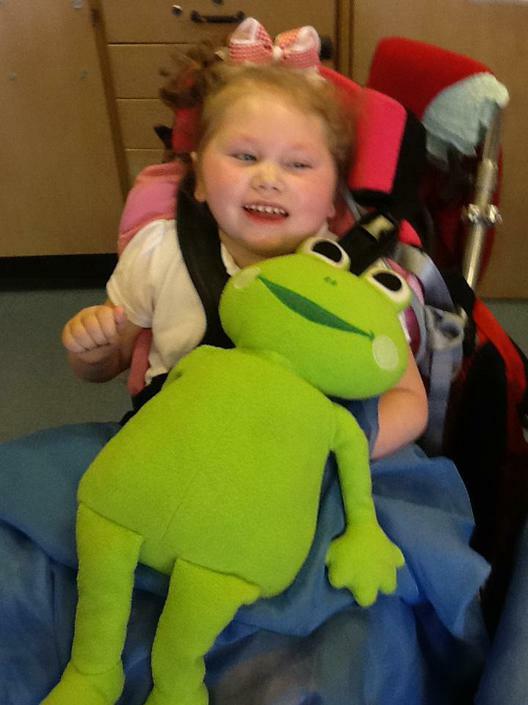 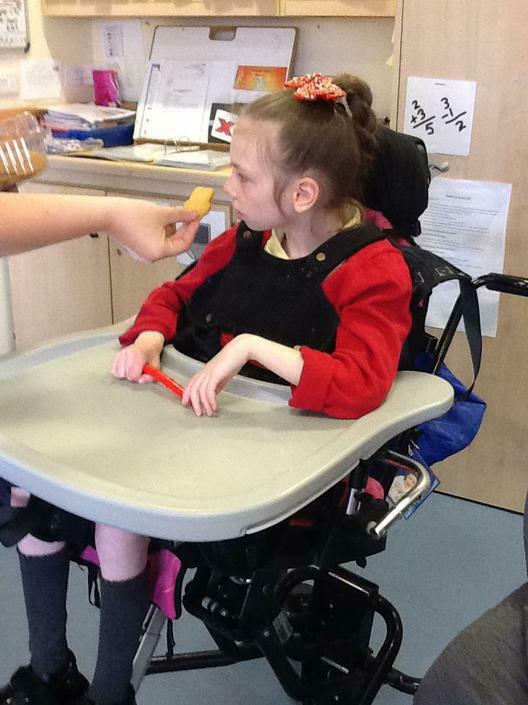 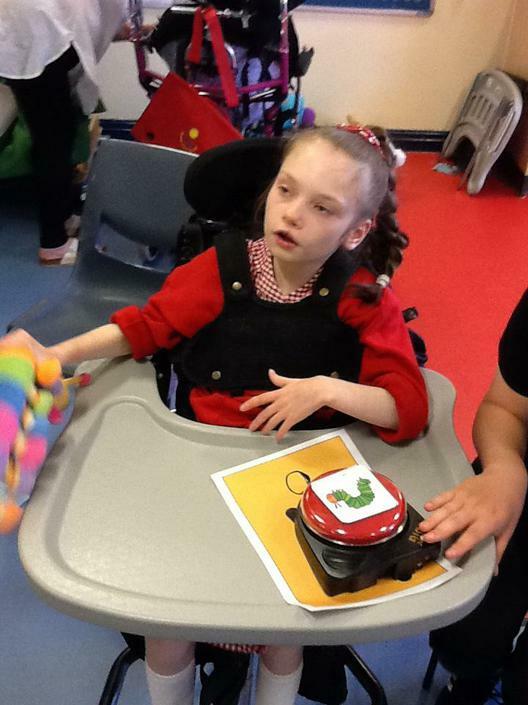 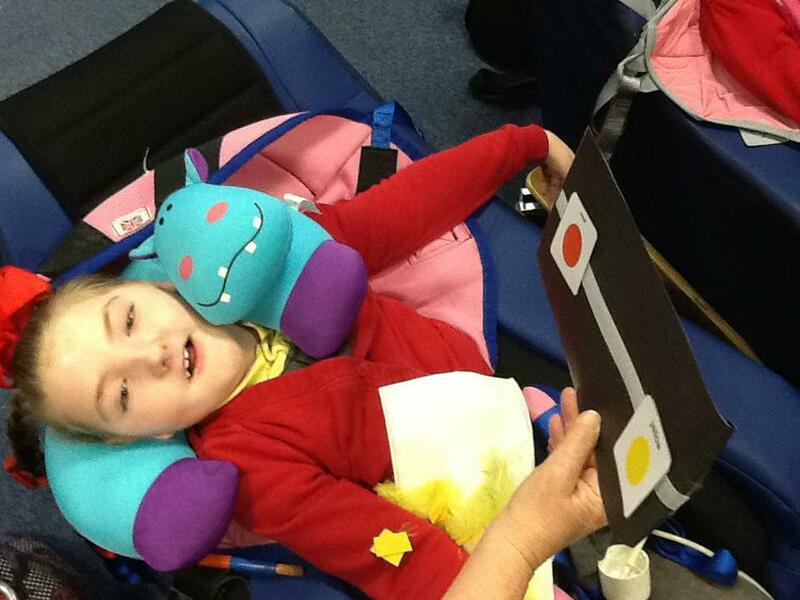 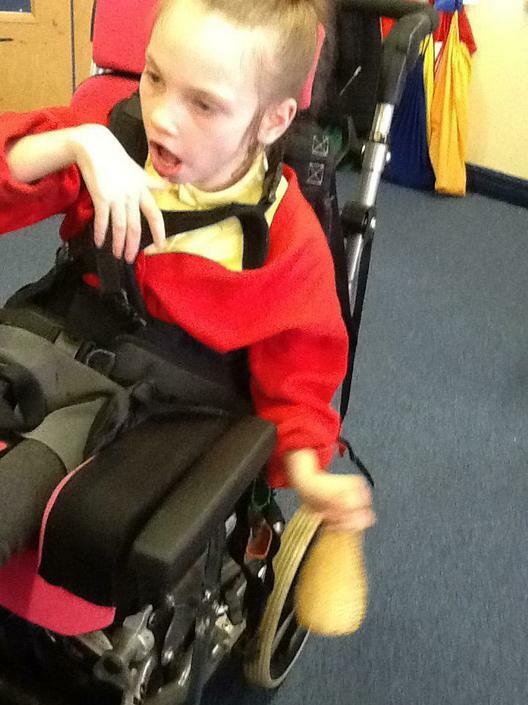 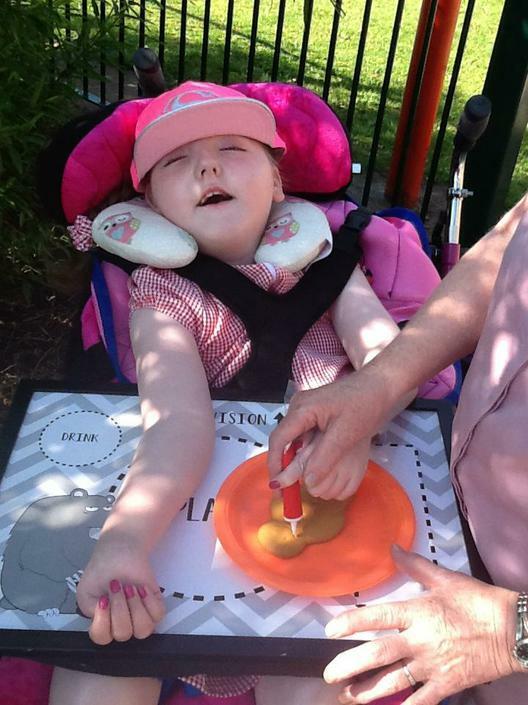 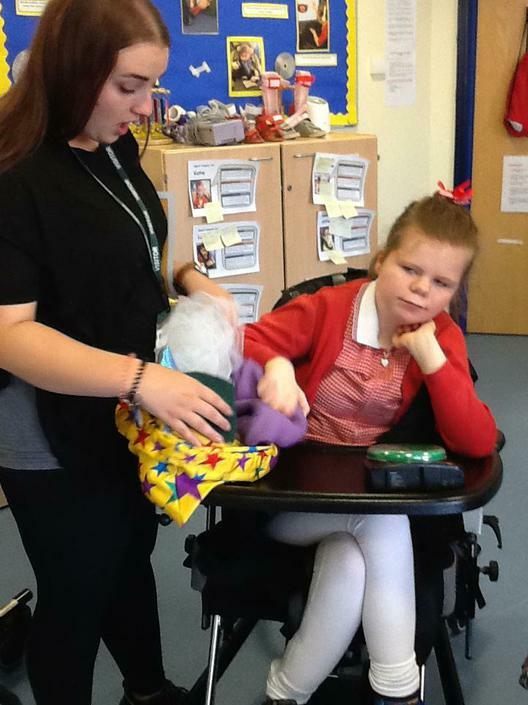 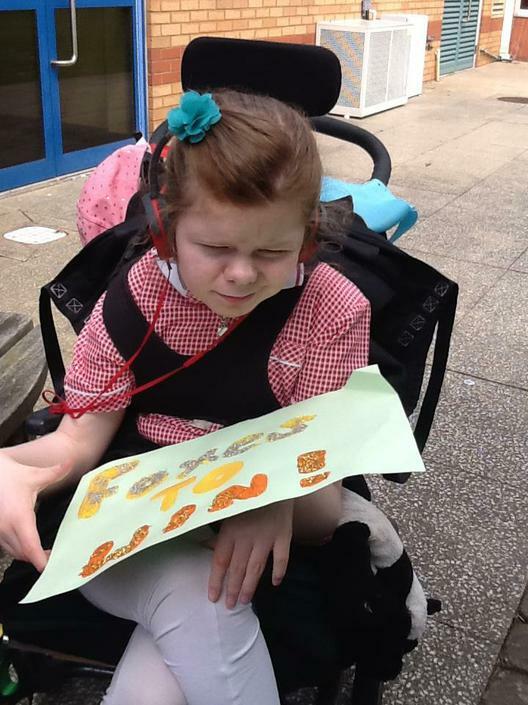 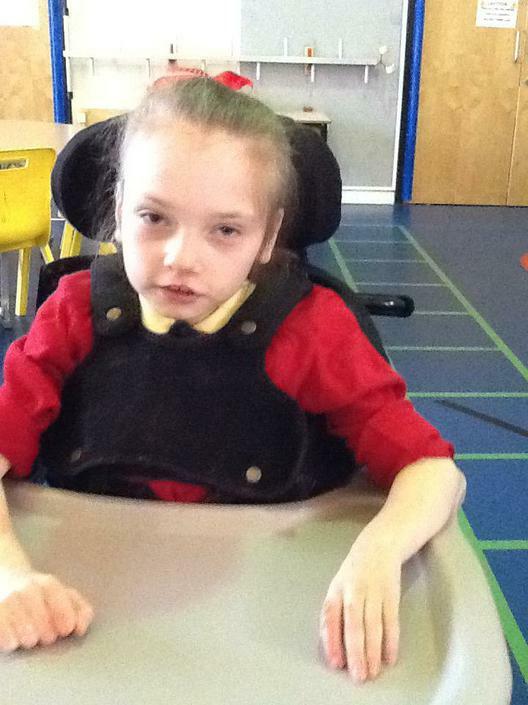 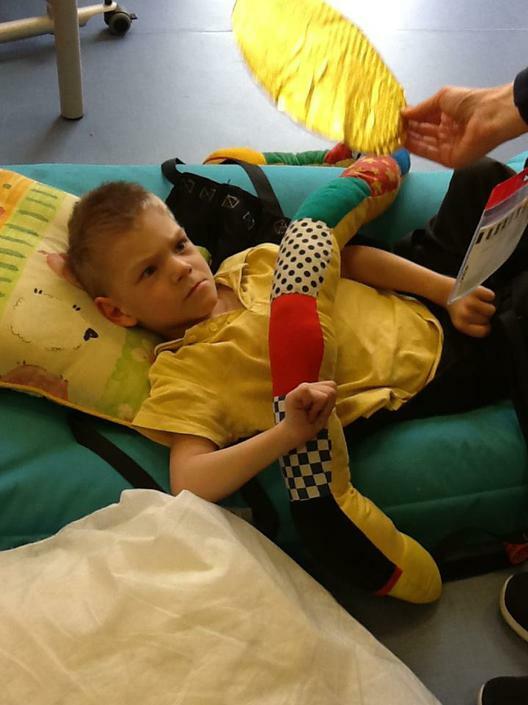 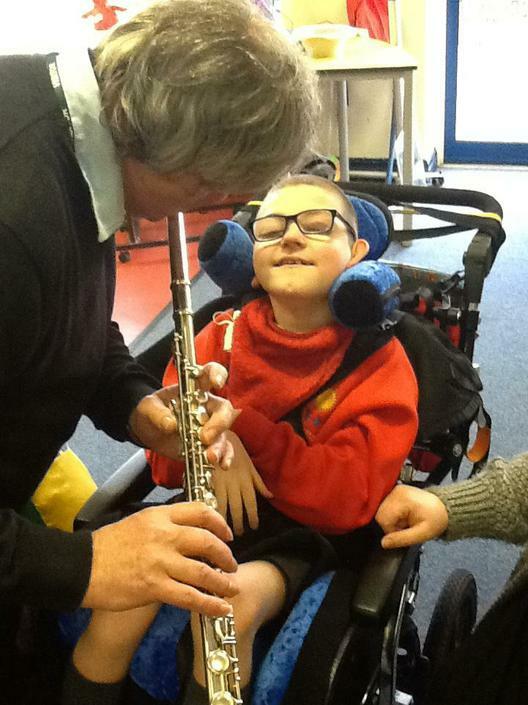 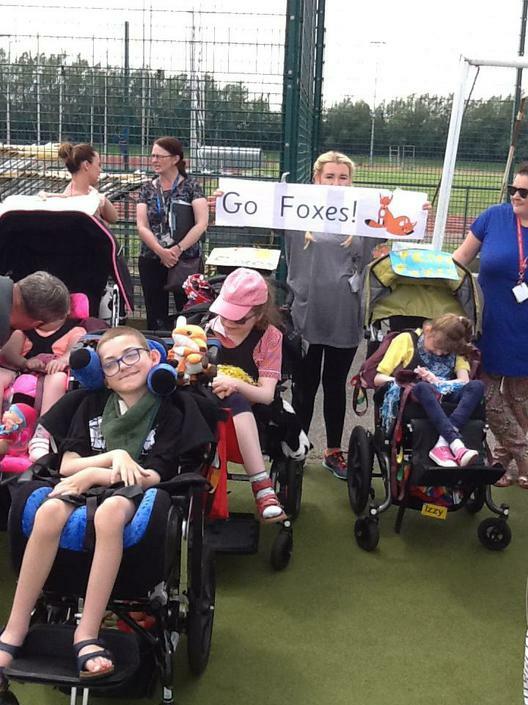 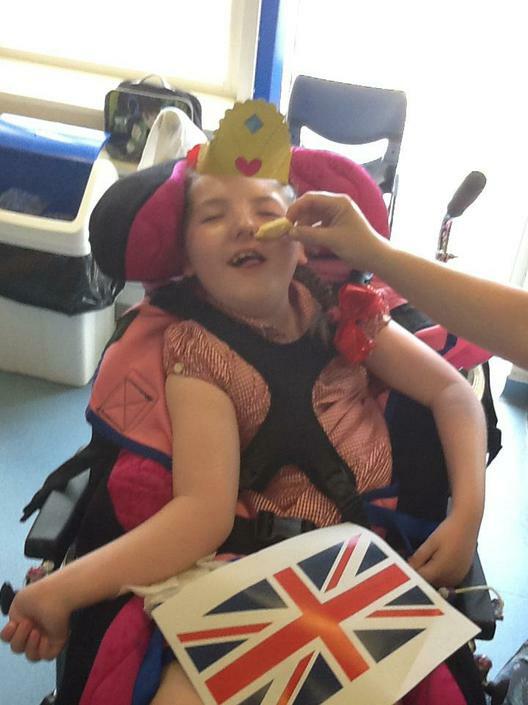 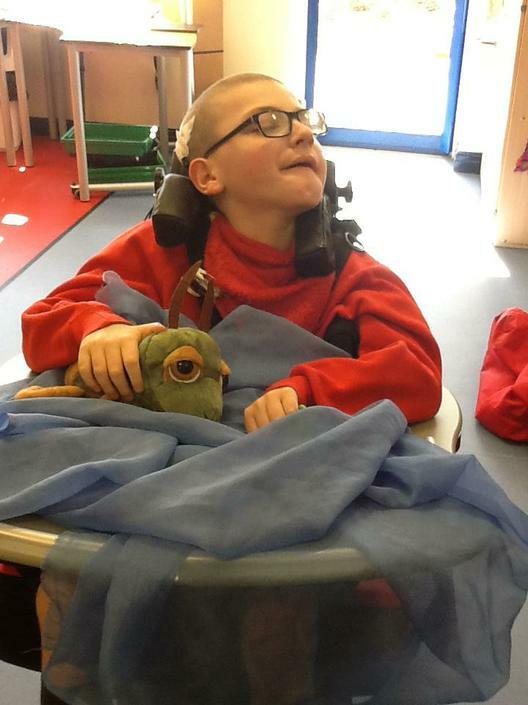 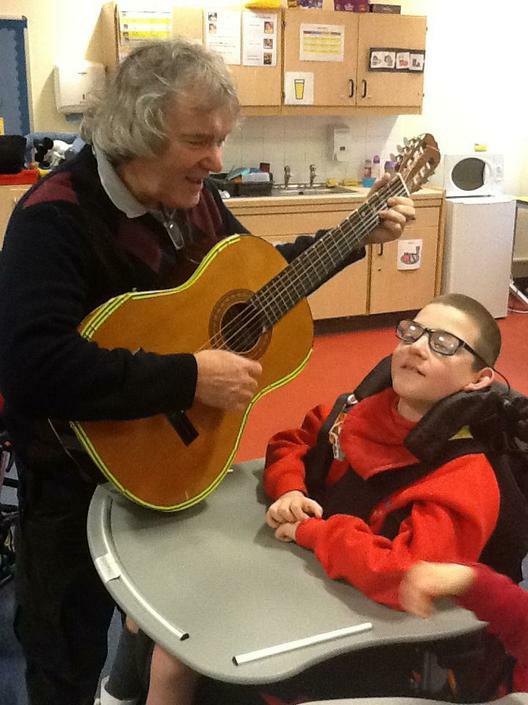 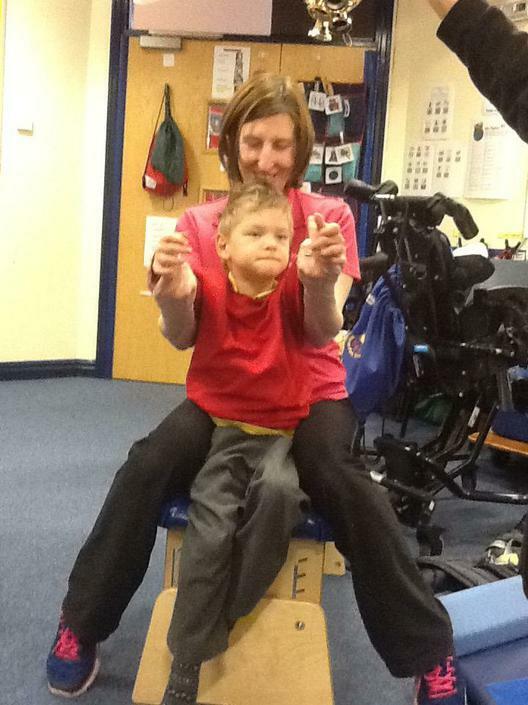 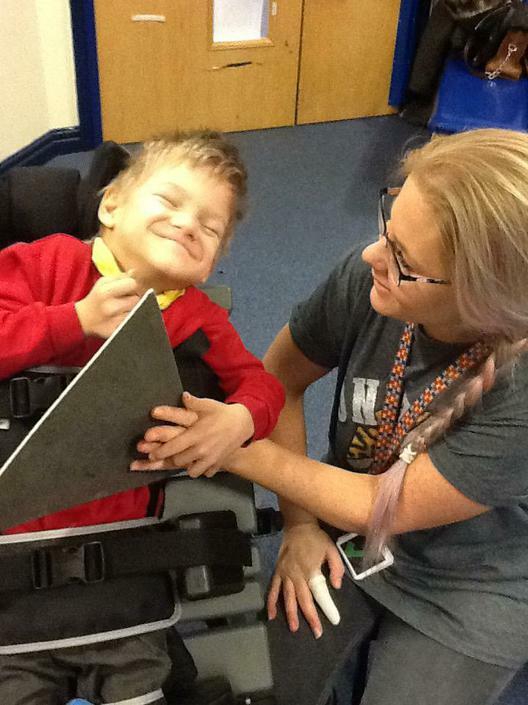 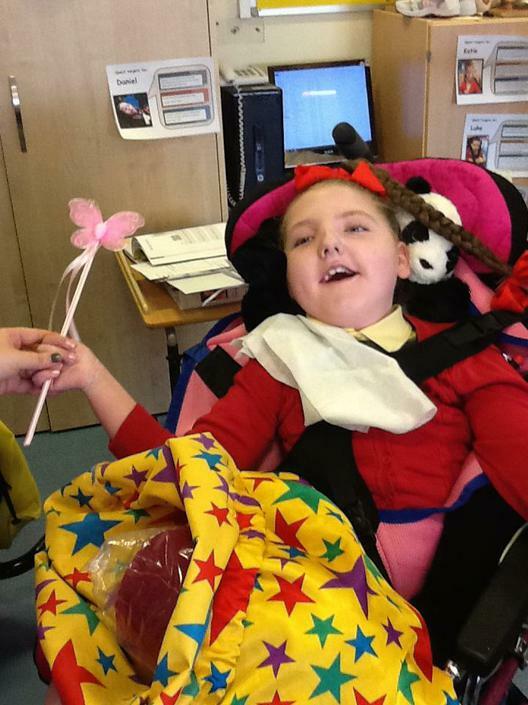 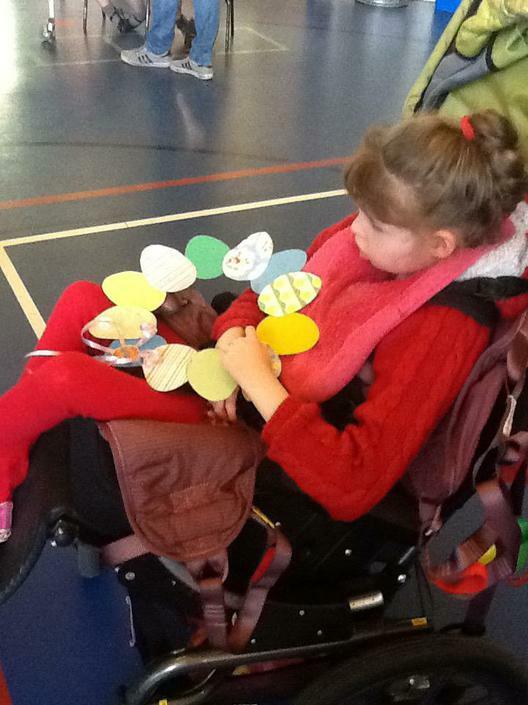 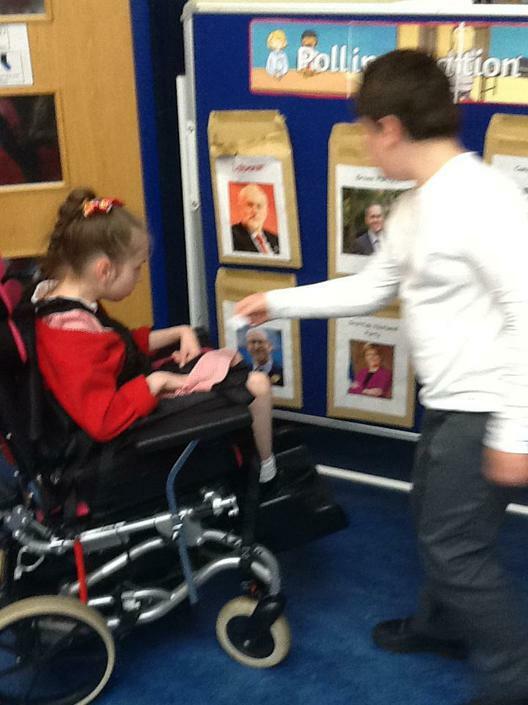 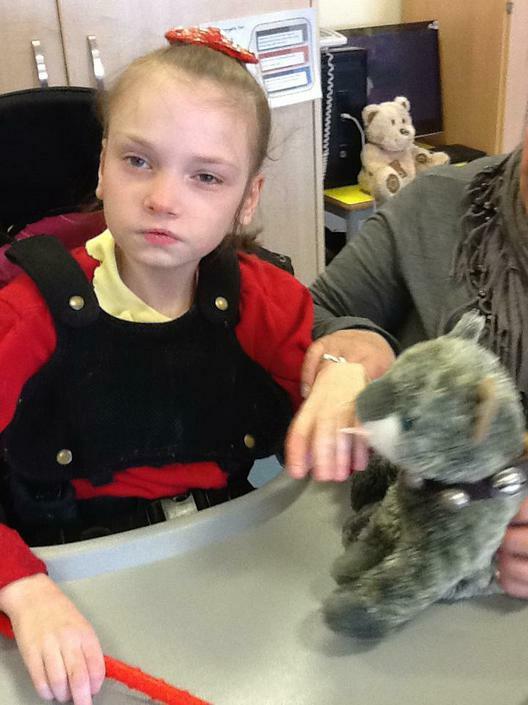 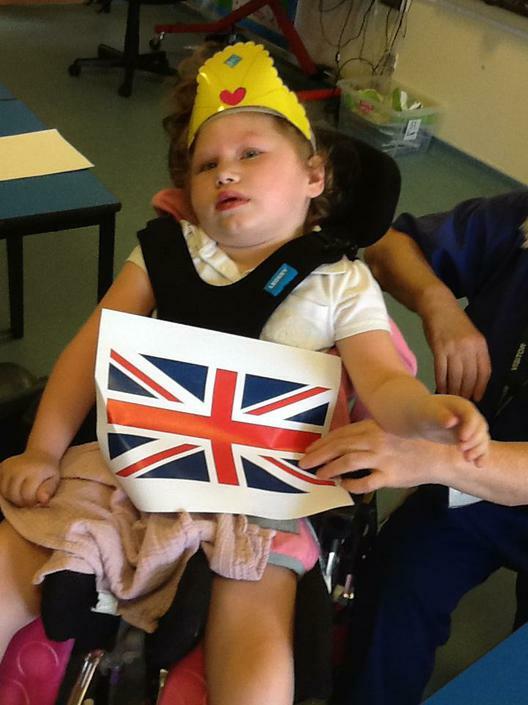 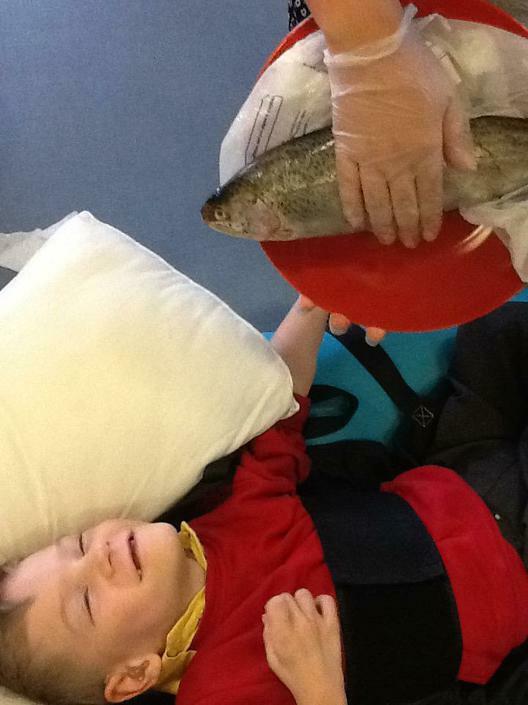 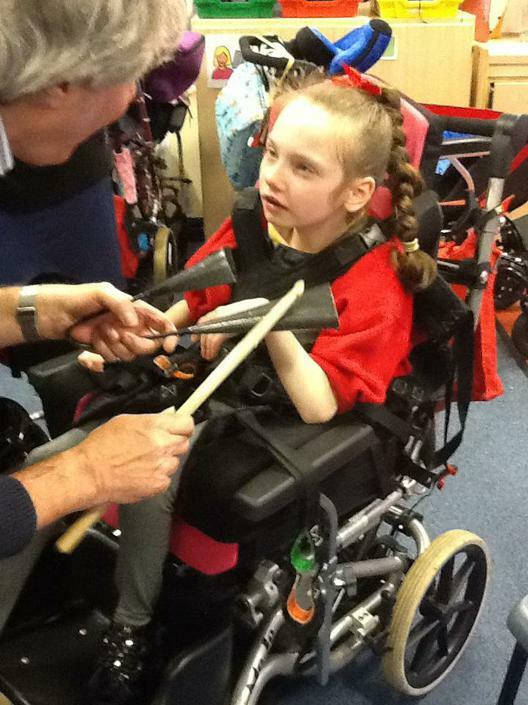 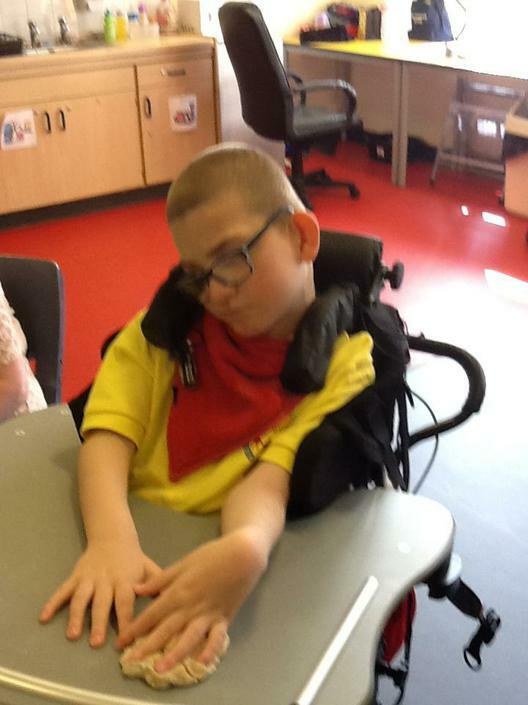 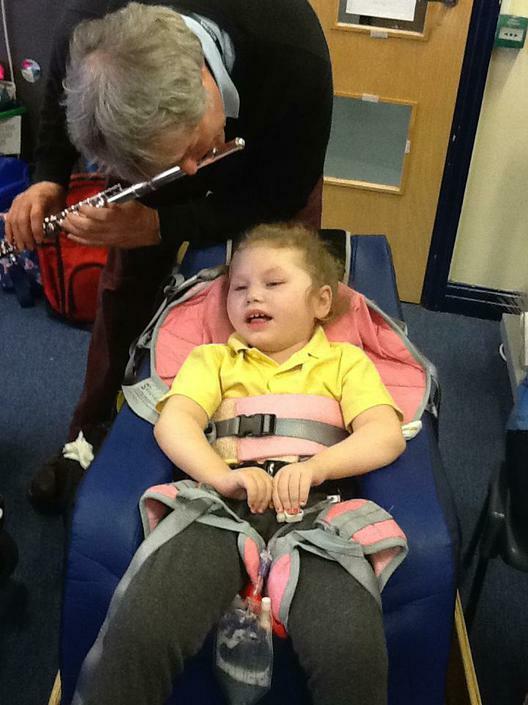 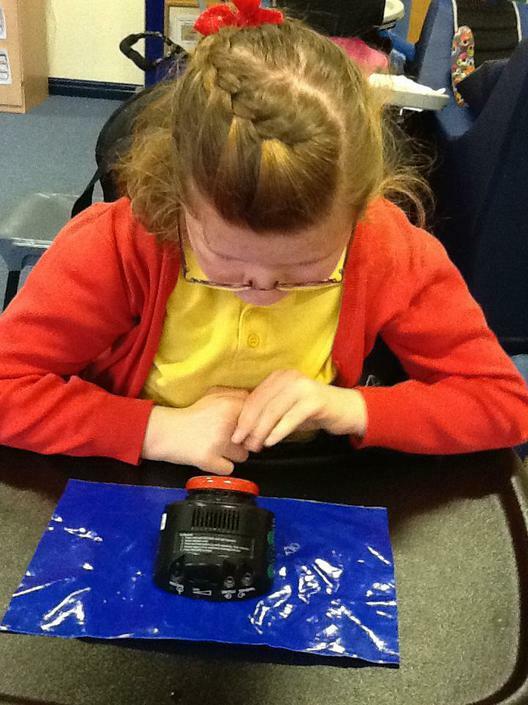 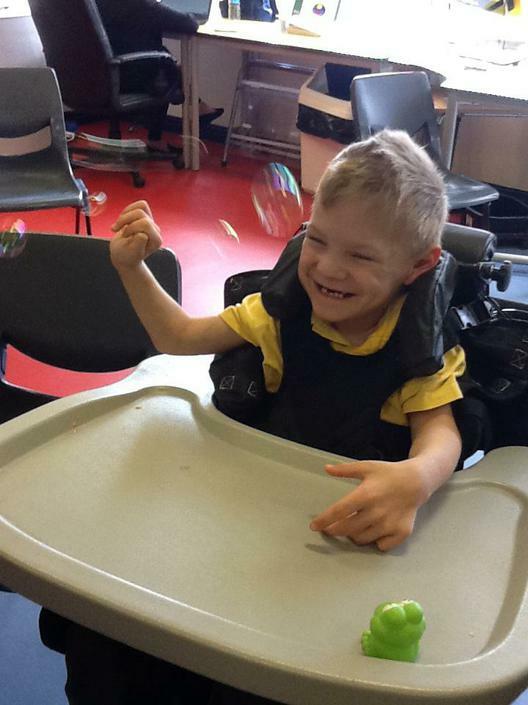 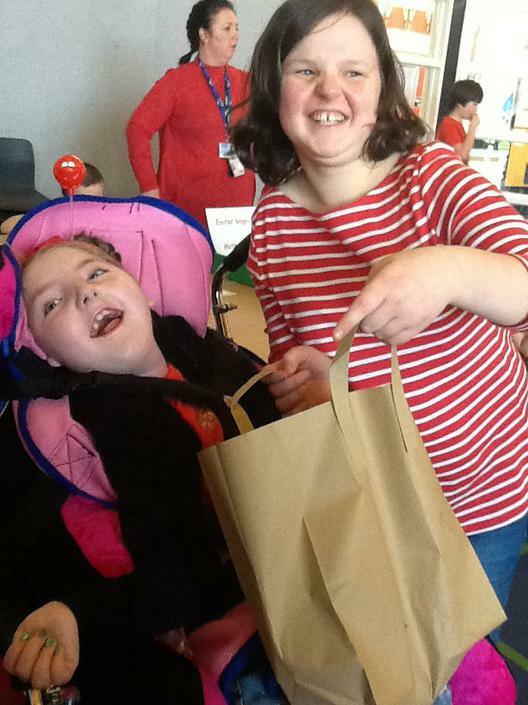 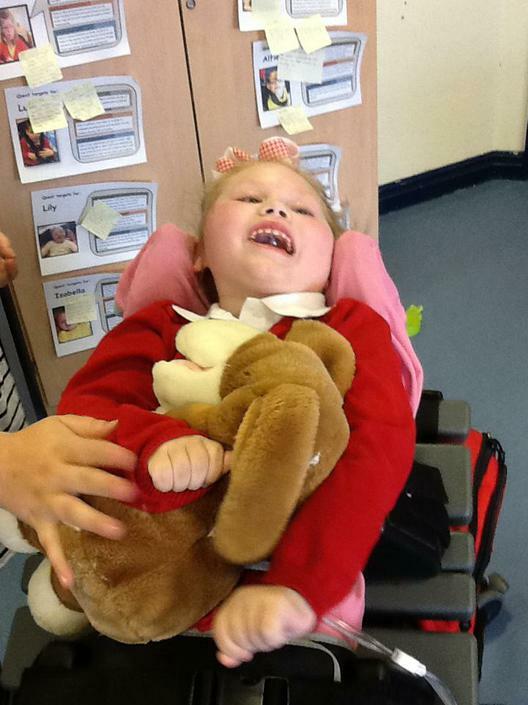 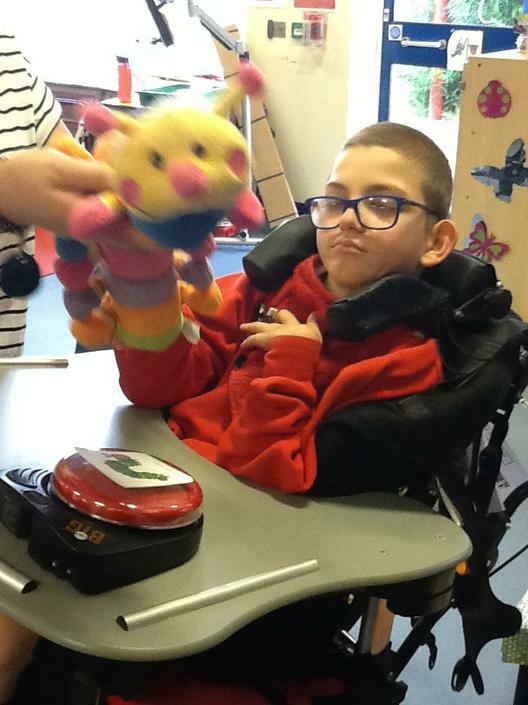 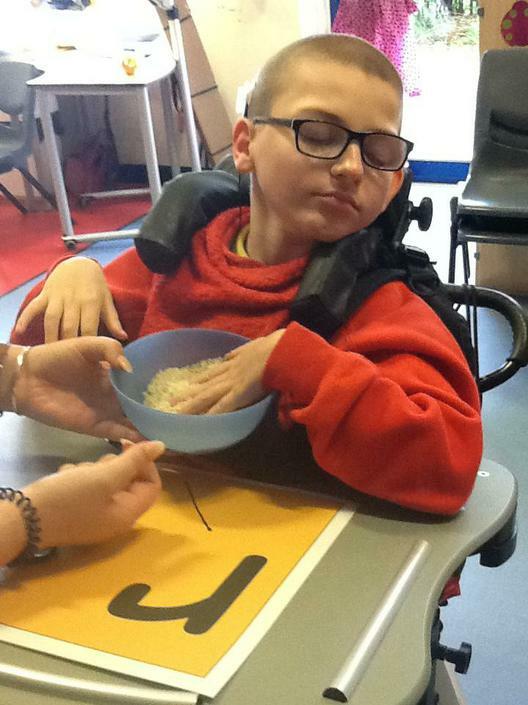 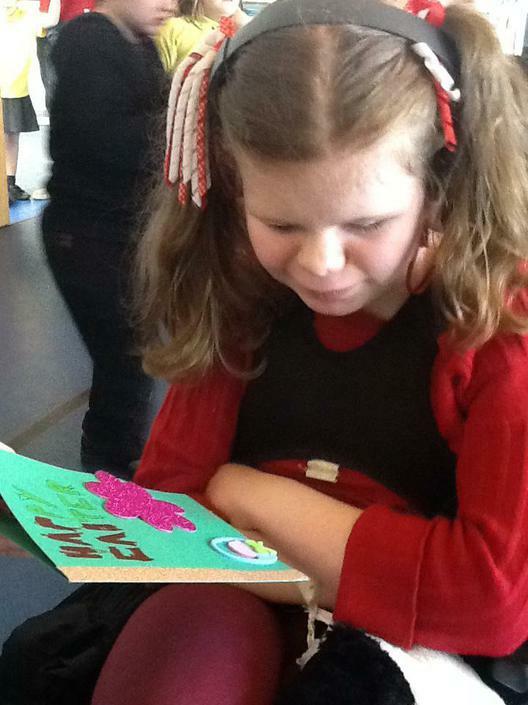 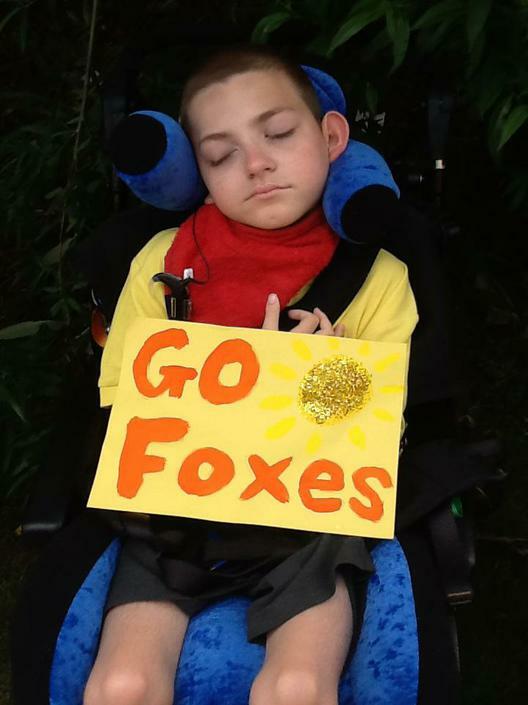 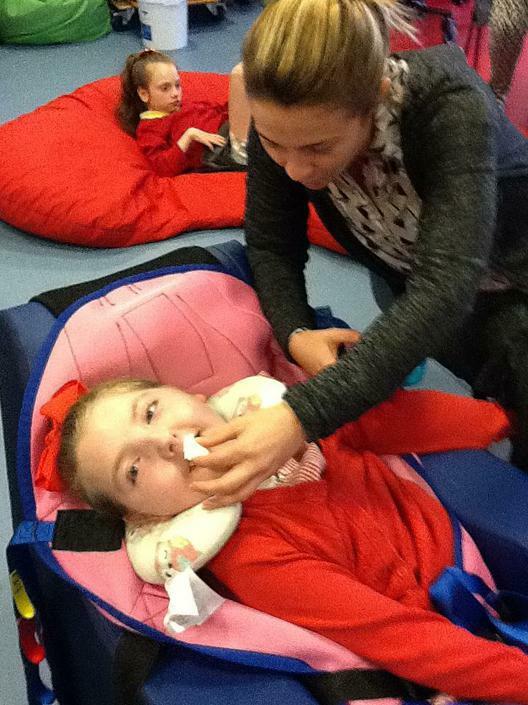 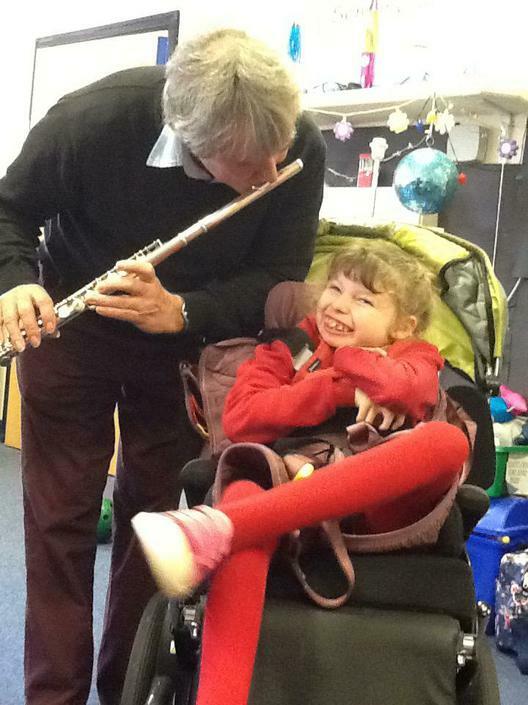 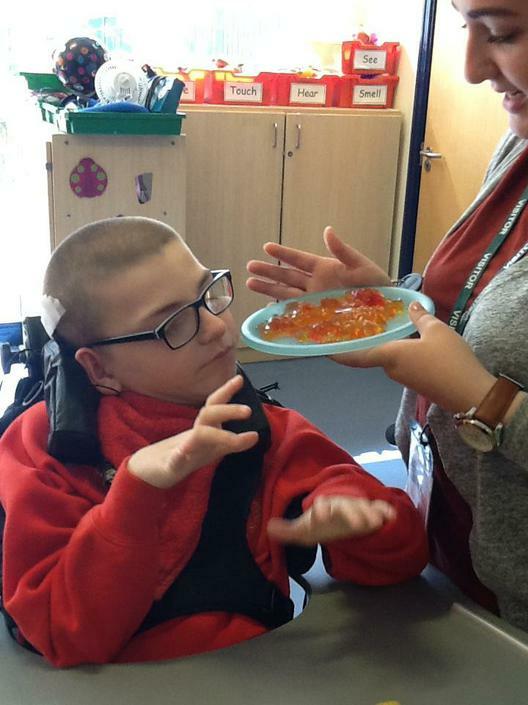 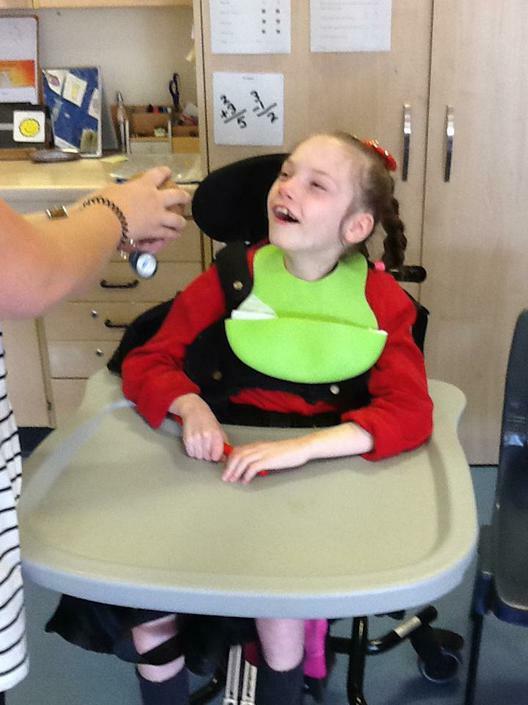 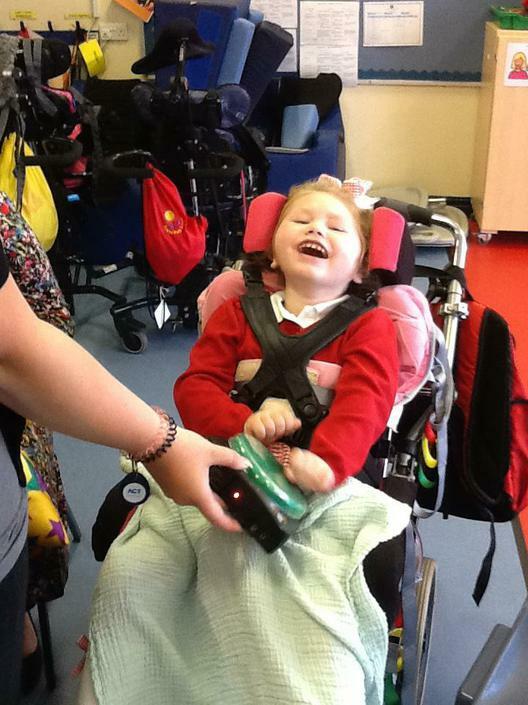 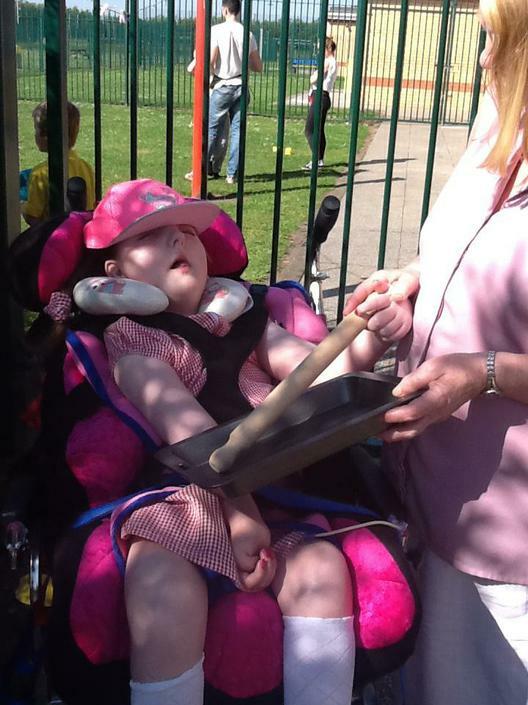 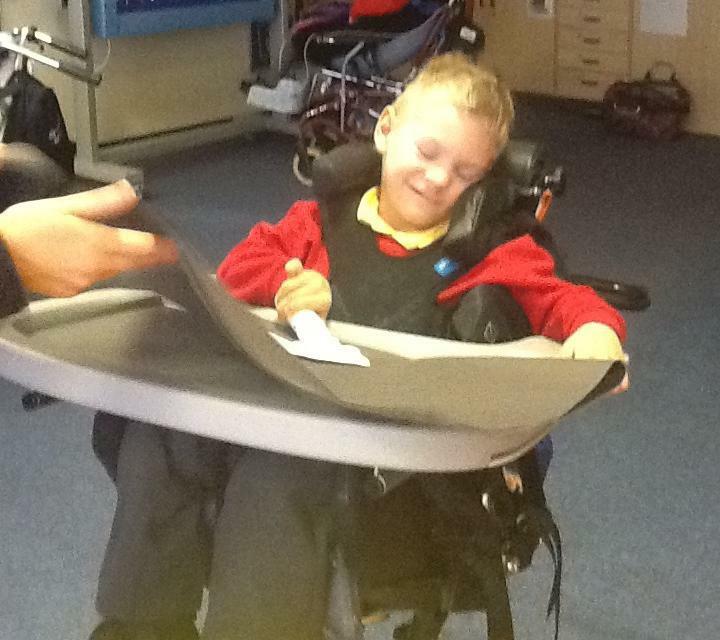 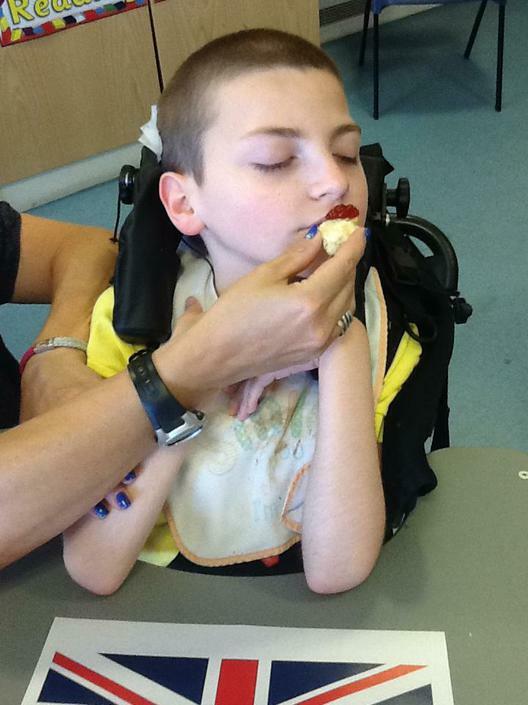 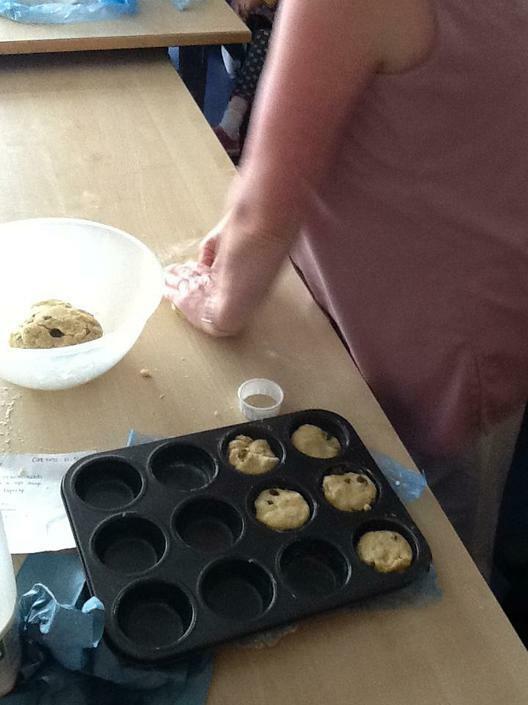 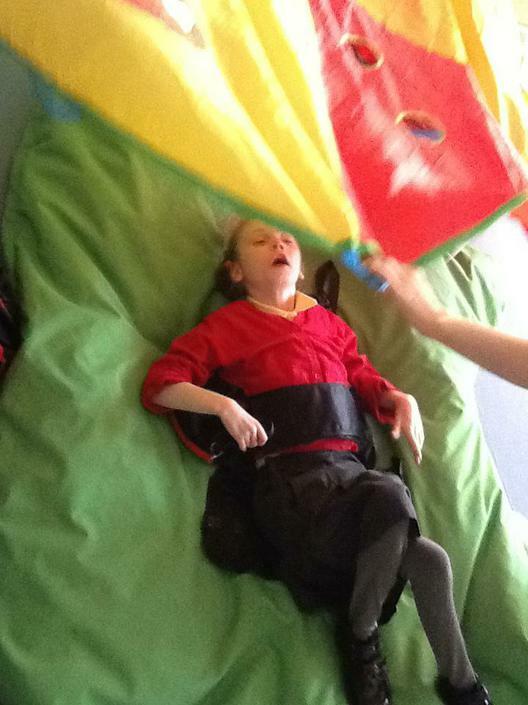 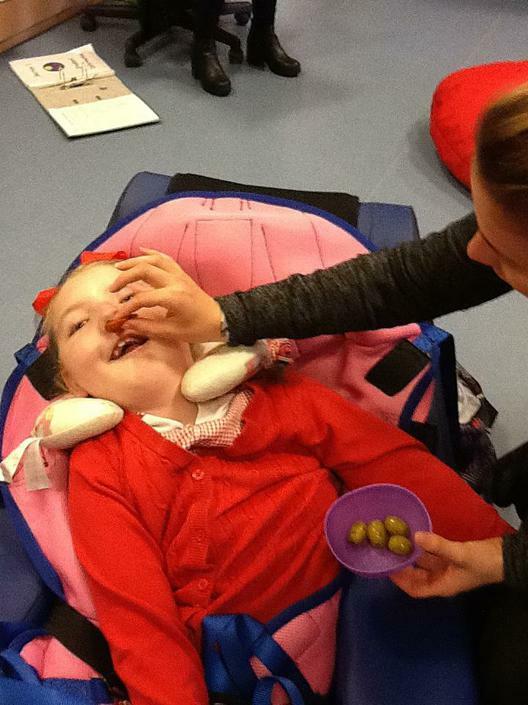 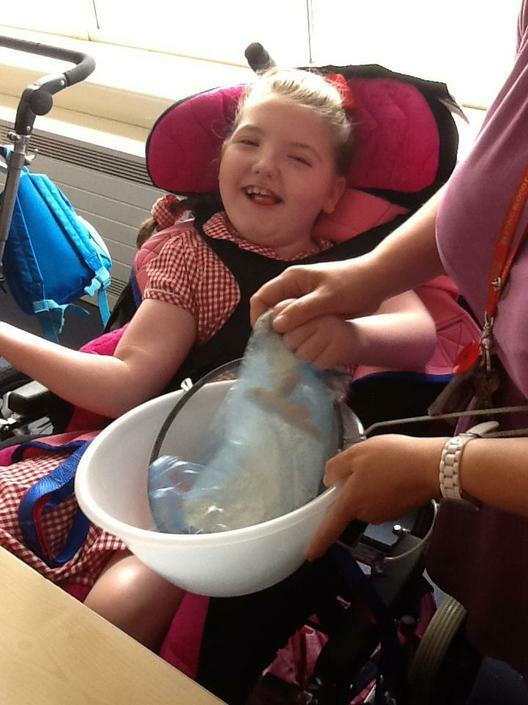 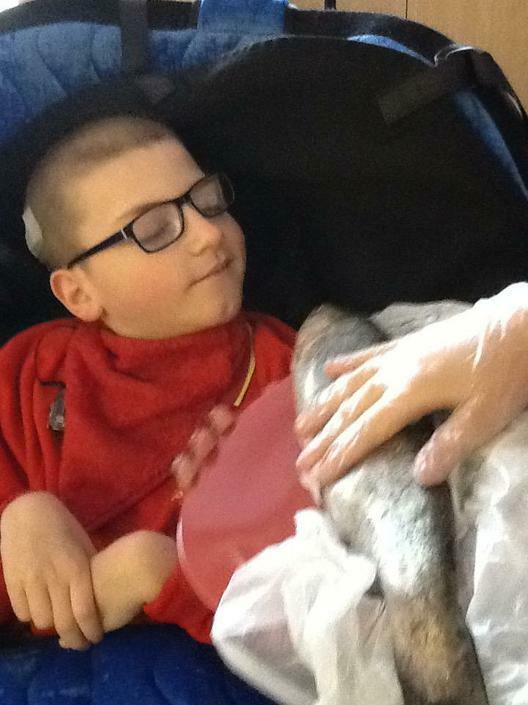 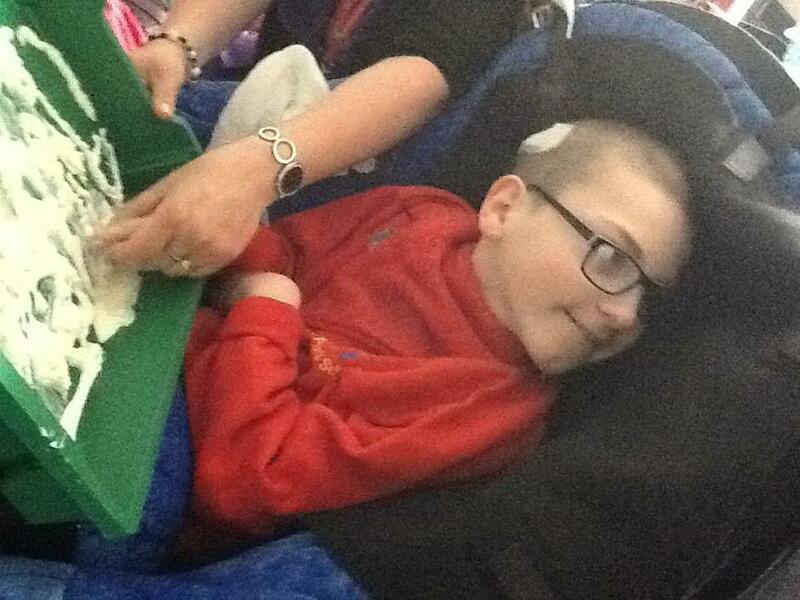 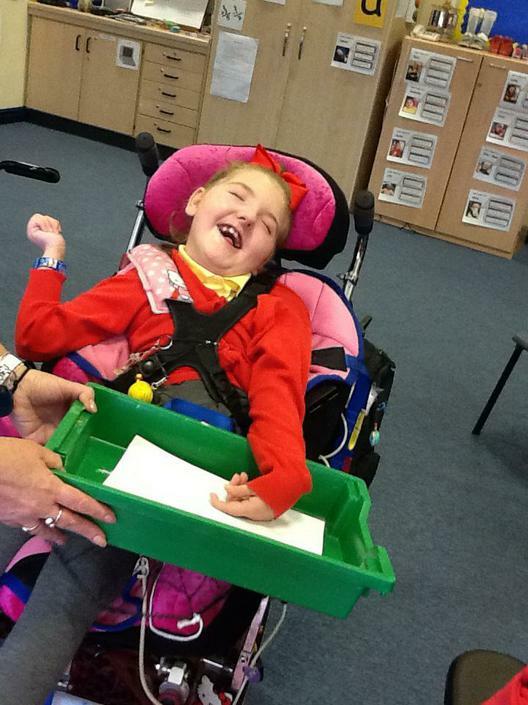 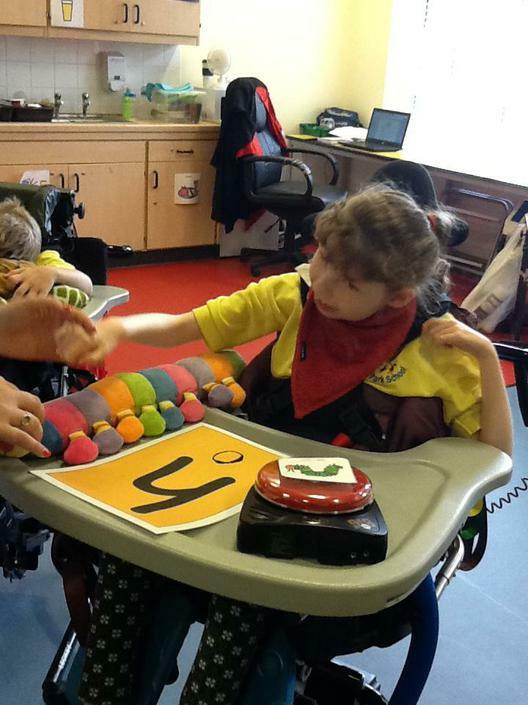 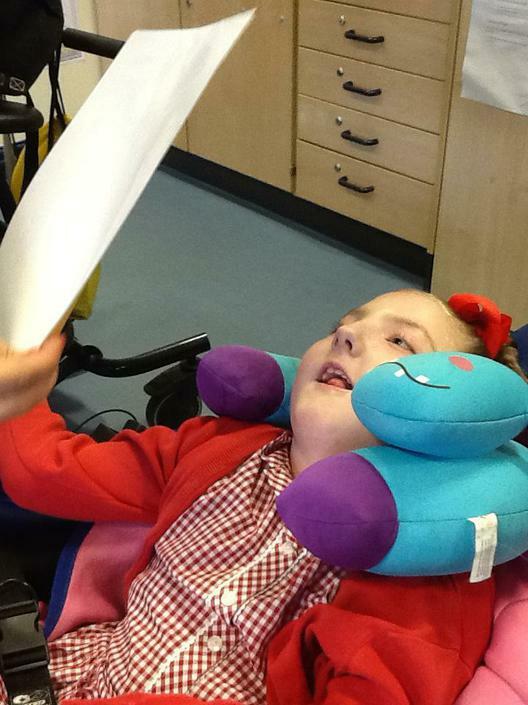 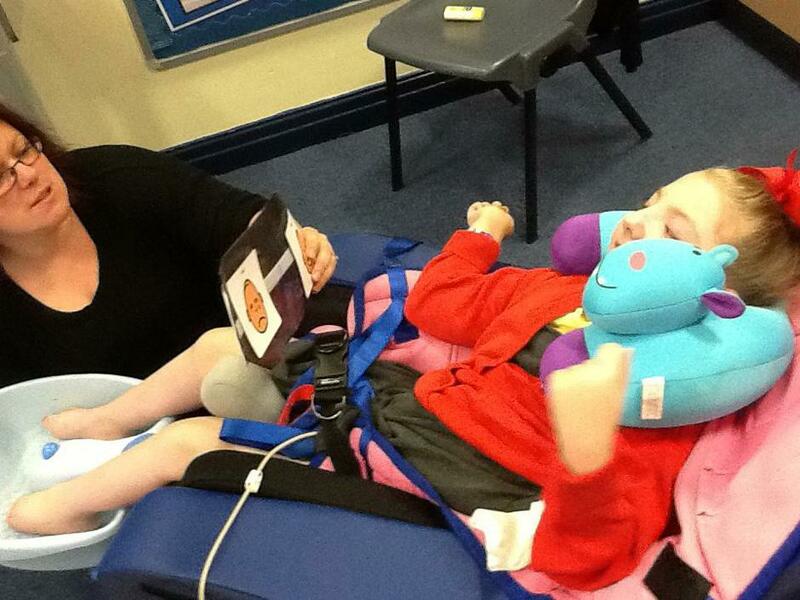 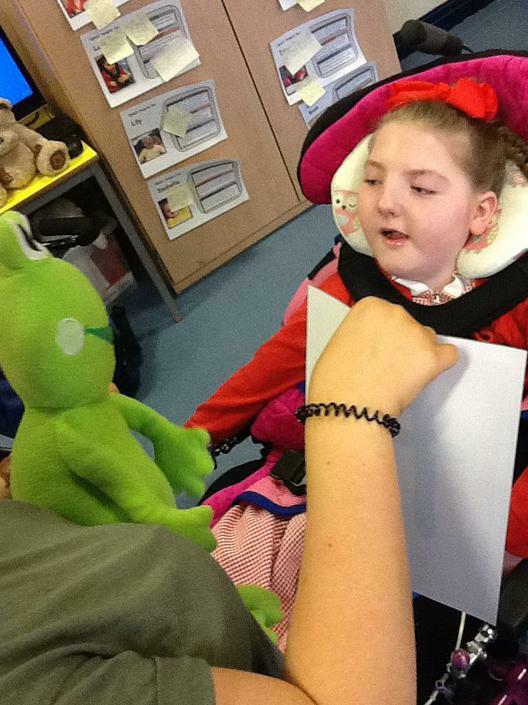 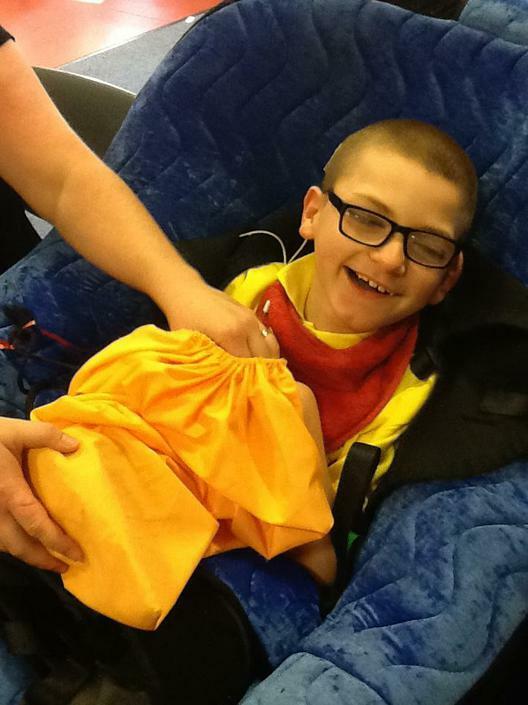 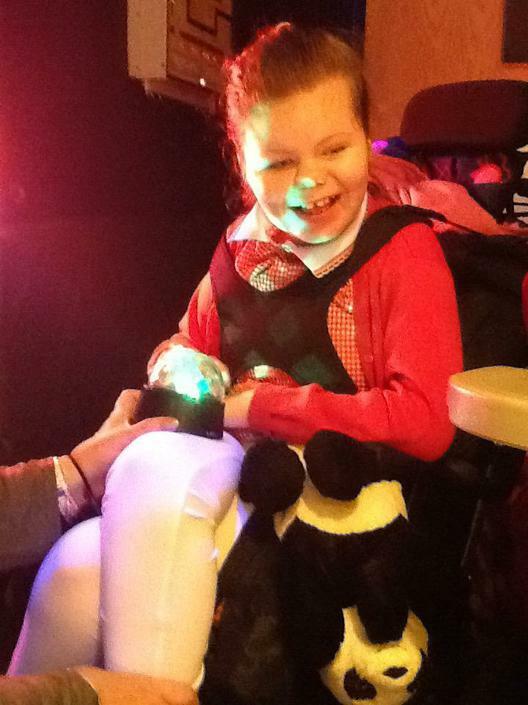 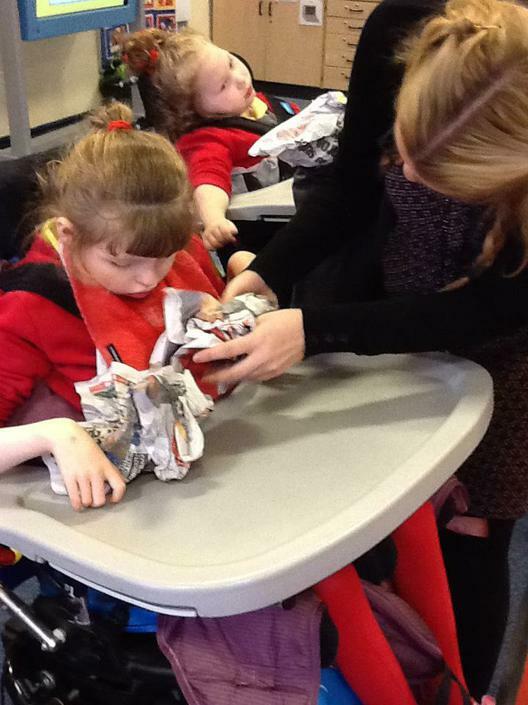 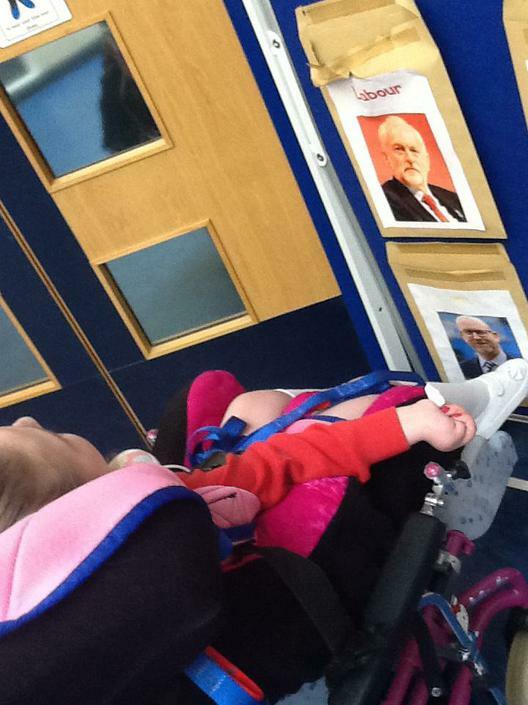 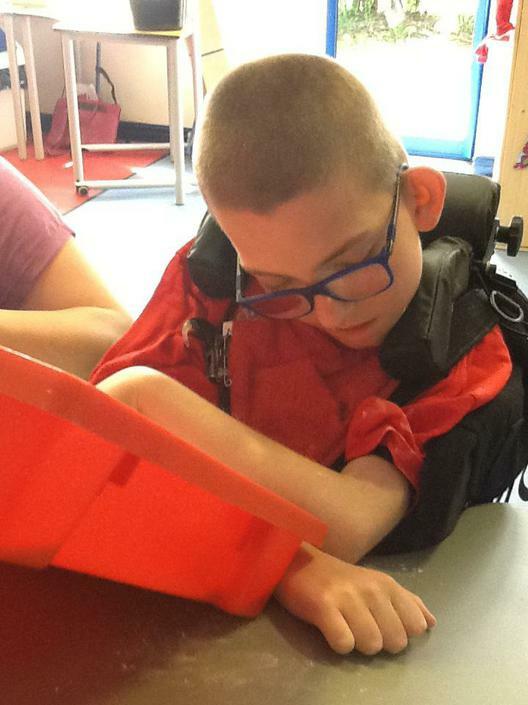 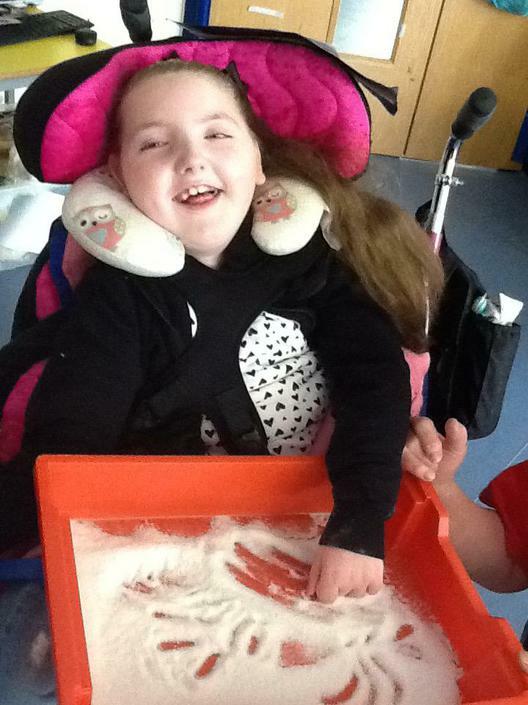 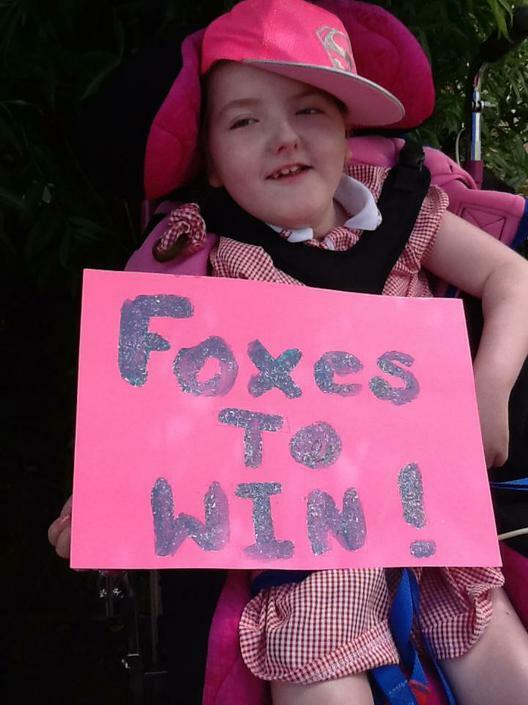 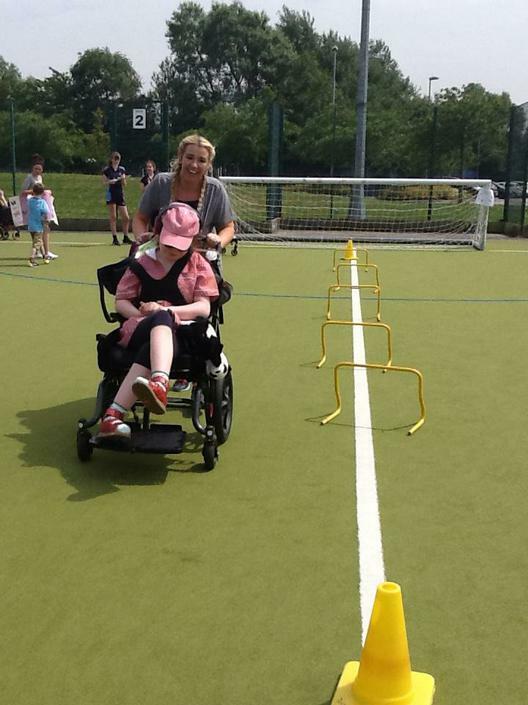 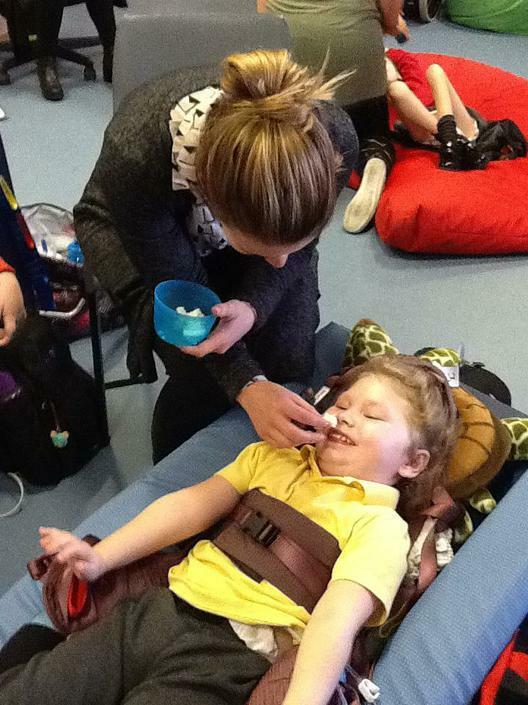 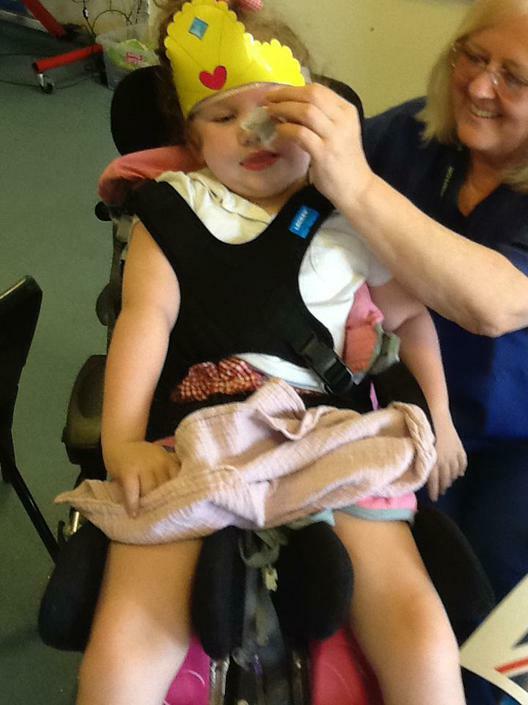 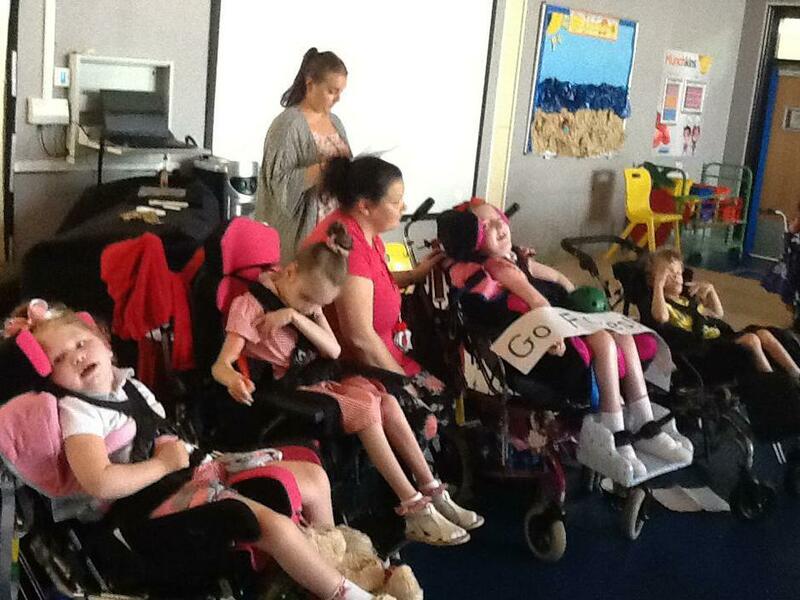 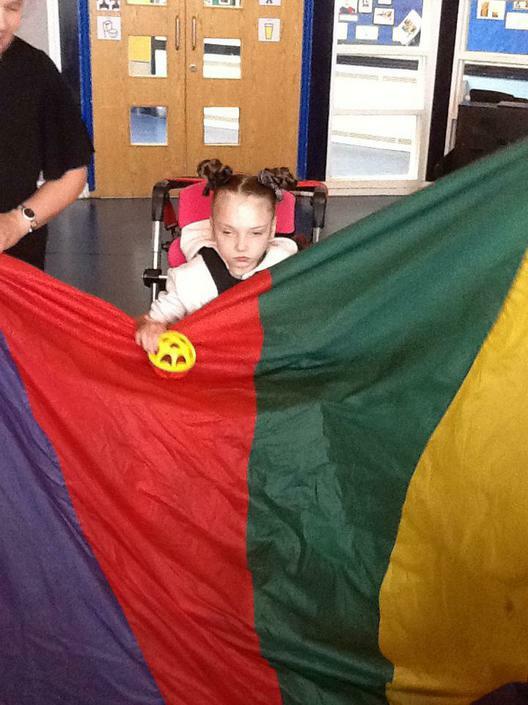 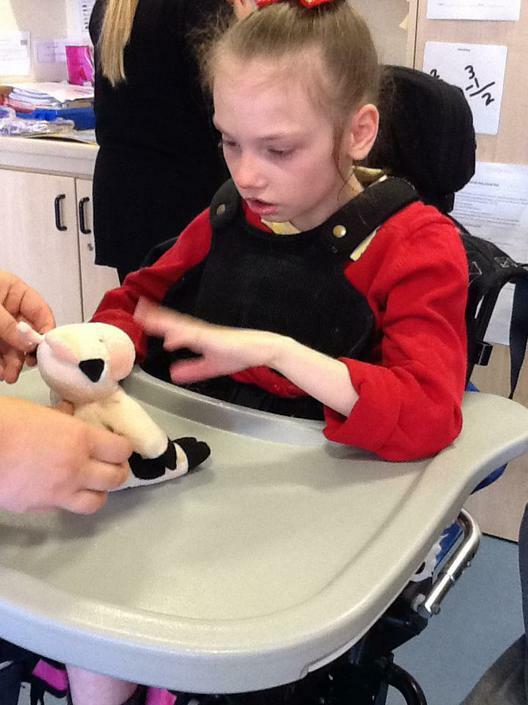 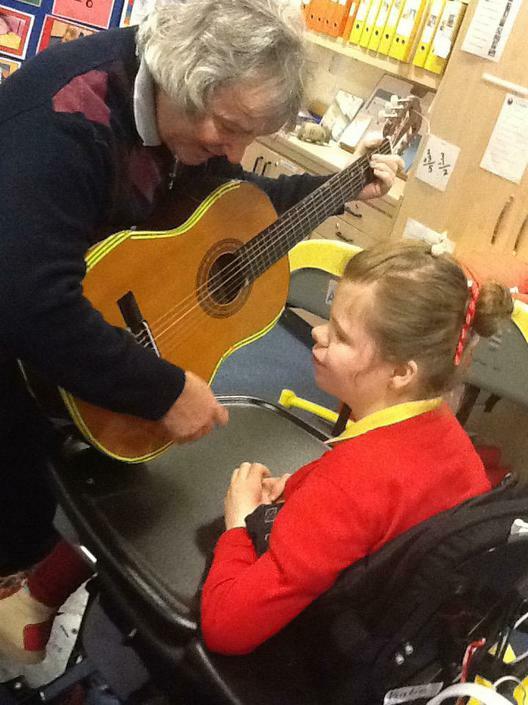 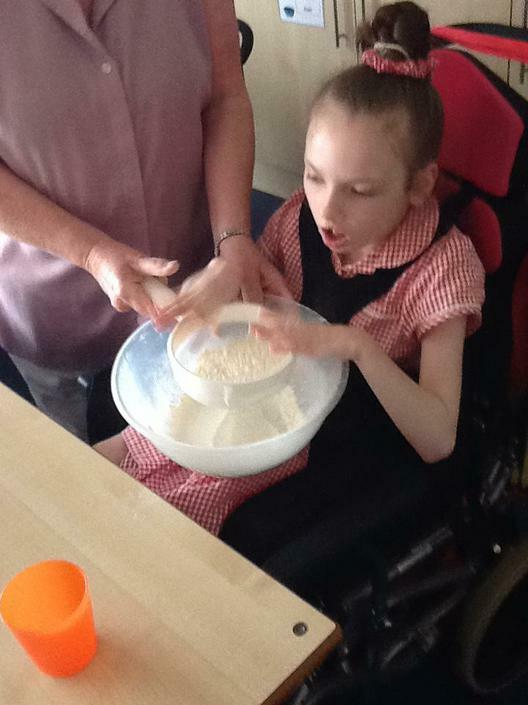 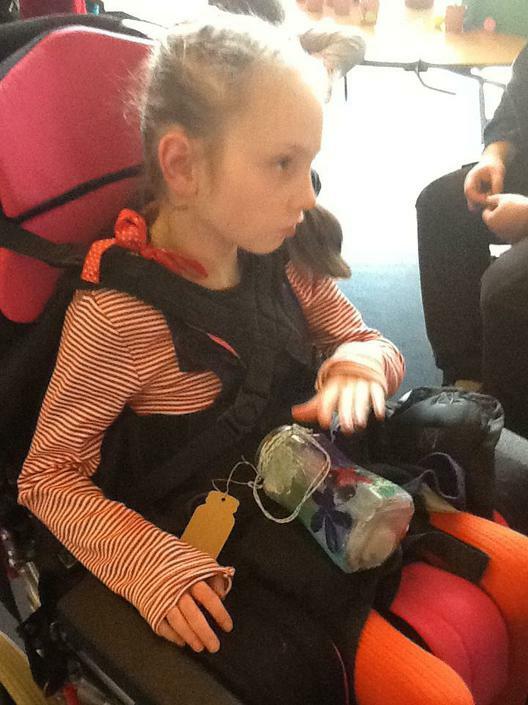 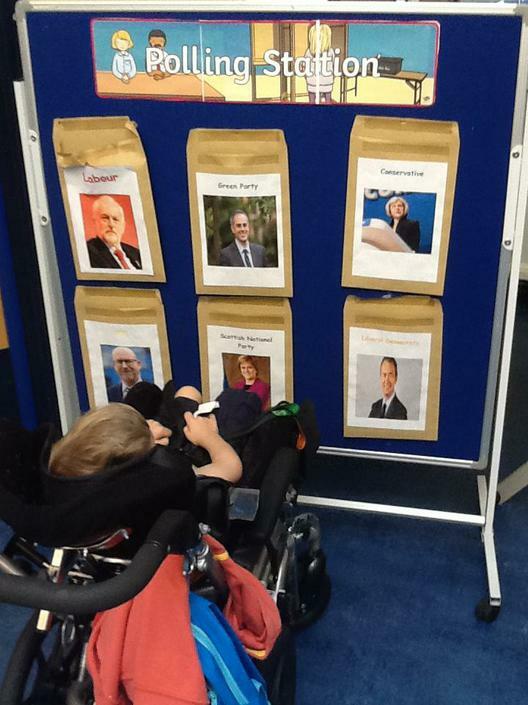 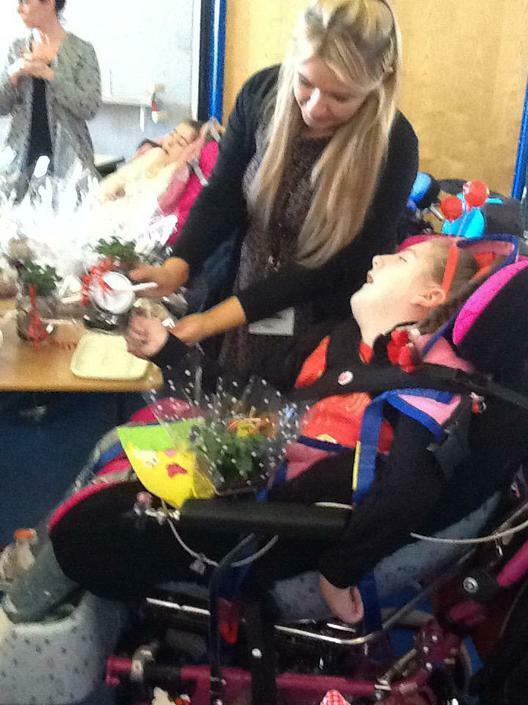 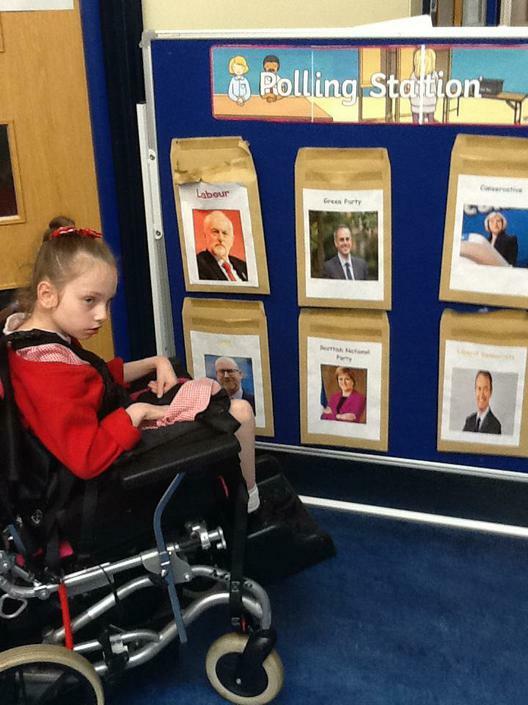 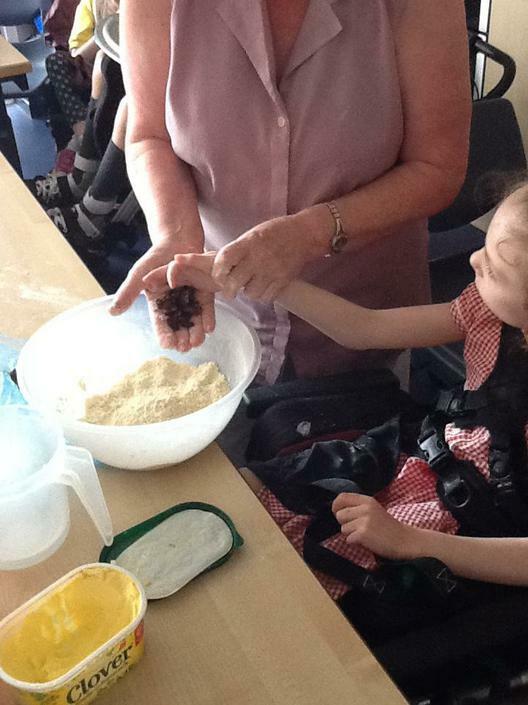 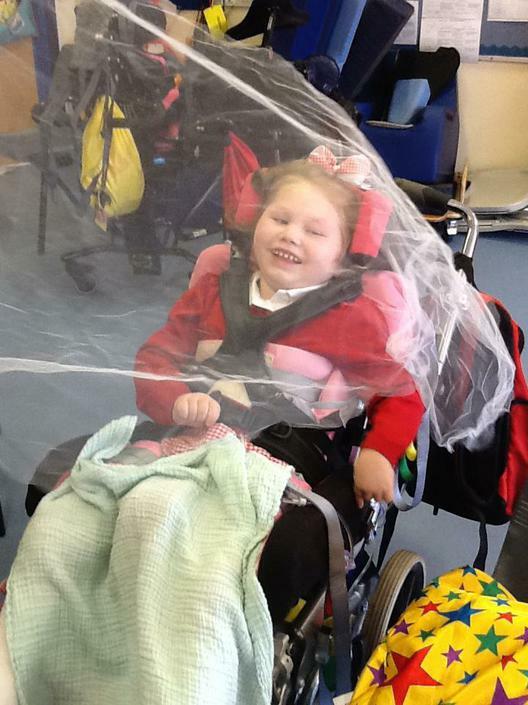 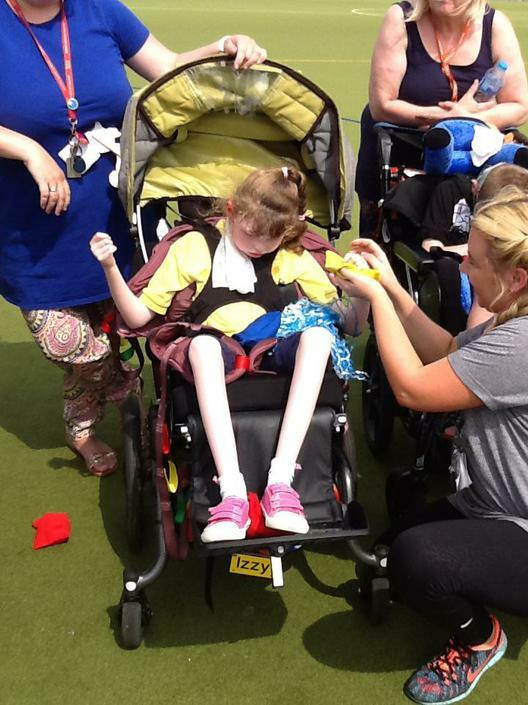 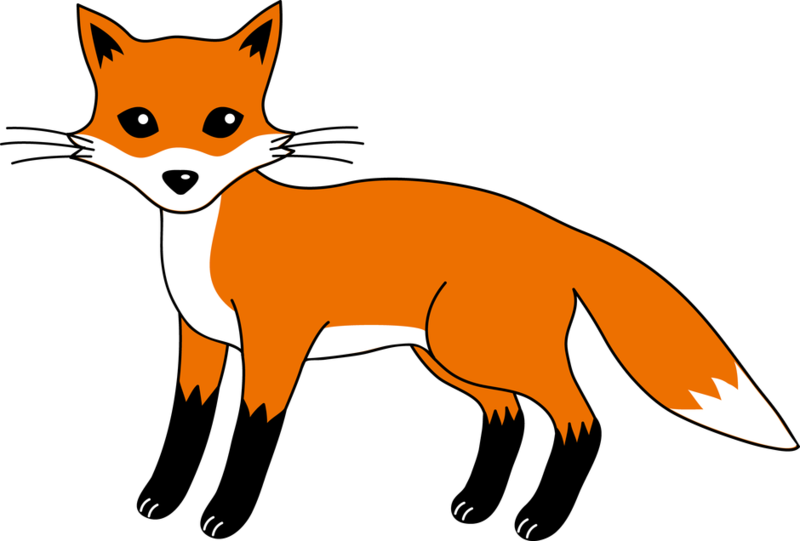 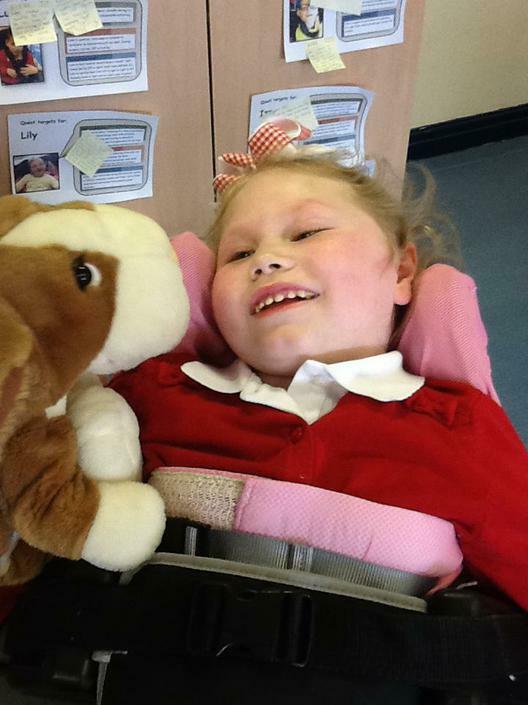 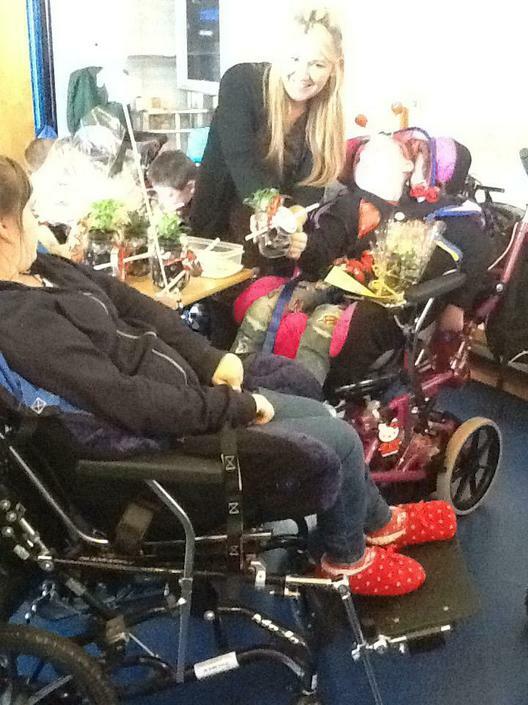 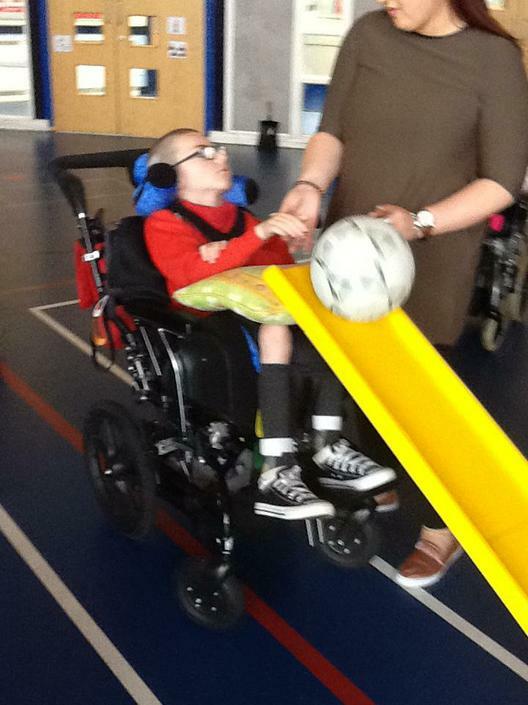 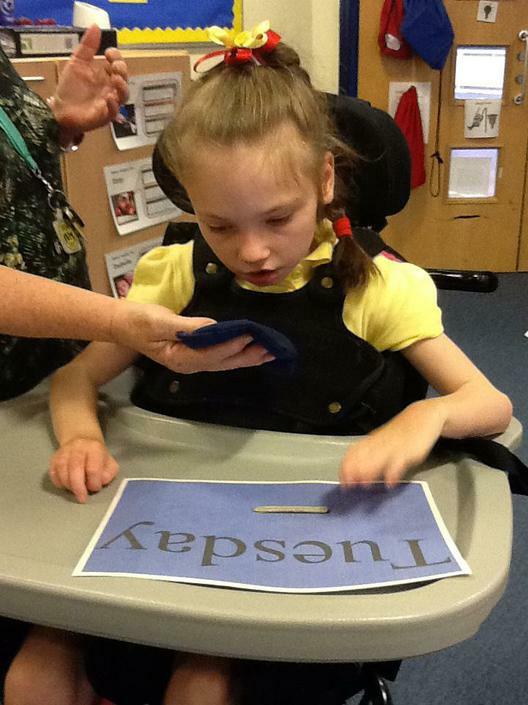 Foxes class is a class for pupils with Multiple Sensory Impairments (MSI) . 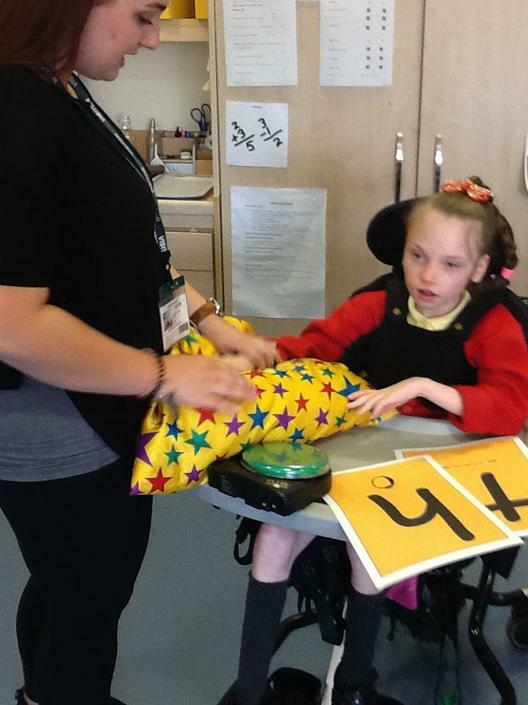 We are taught by a qualified Teacher for visual impairment (QTVI) and three teaching assistants who support us throughout the school day. 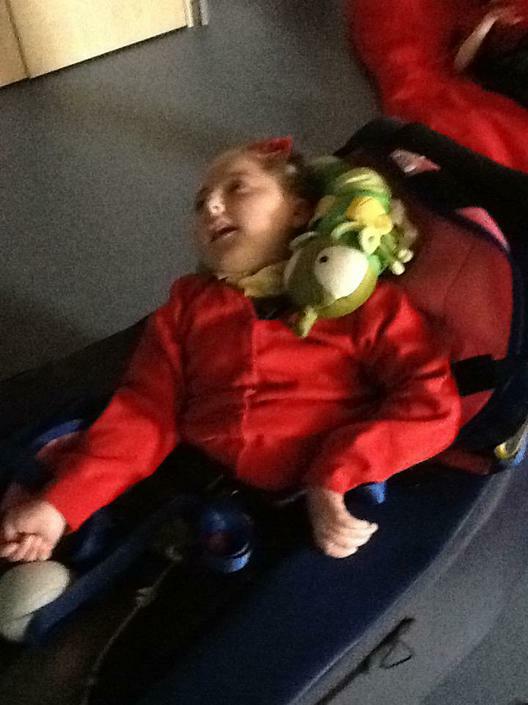 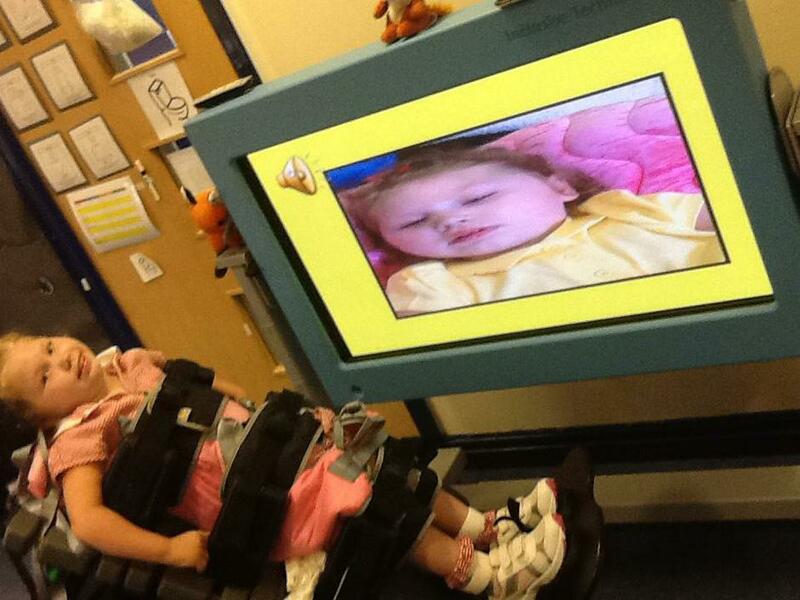 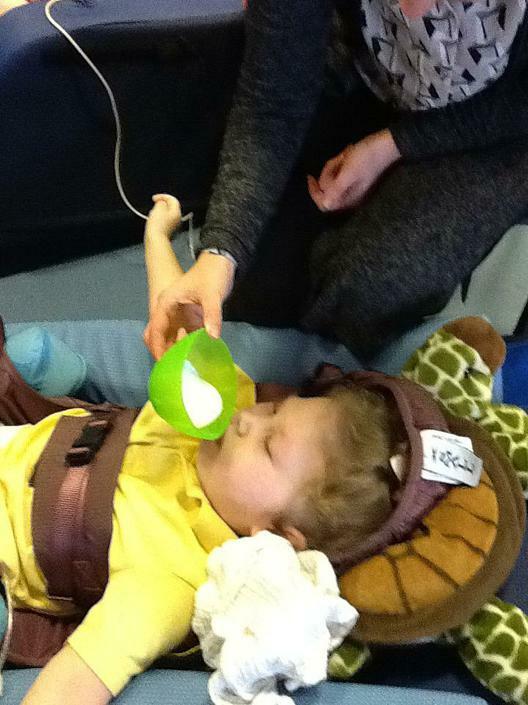 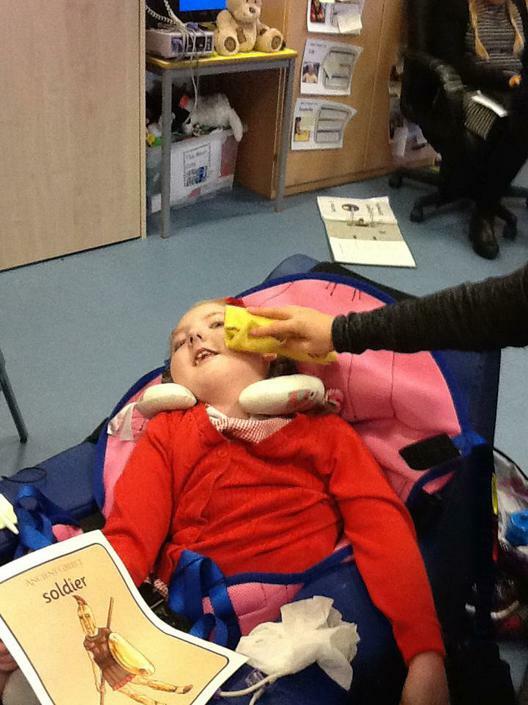 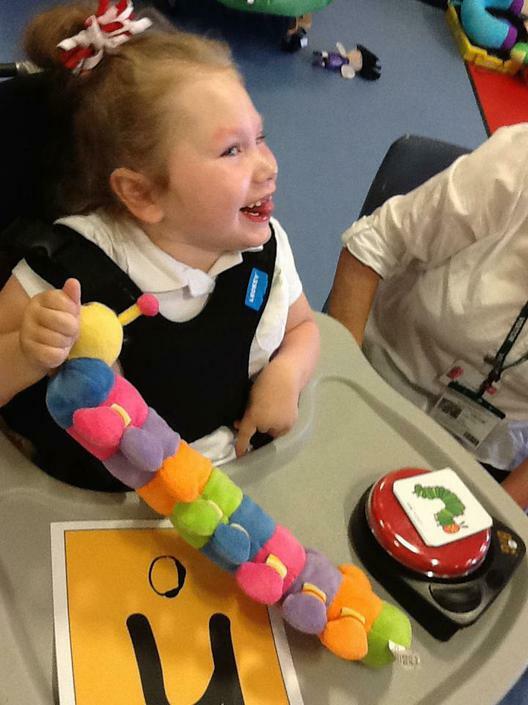 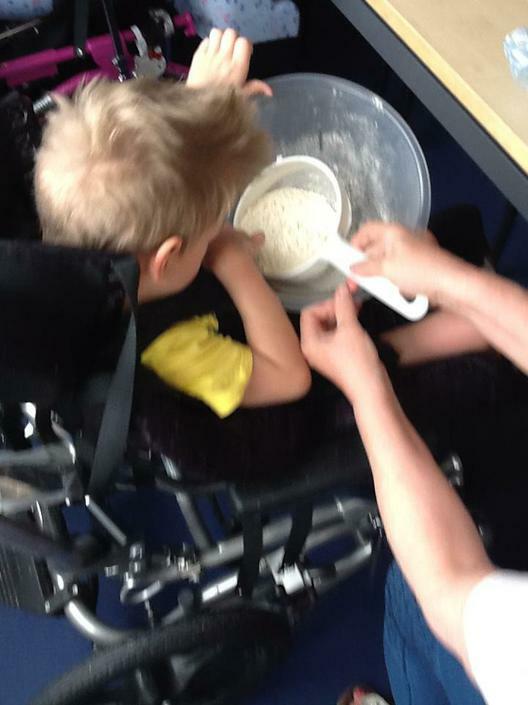 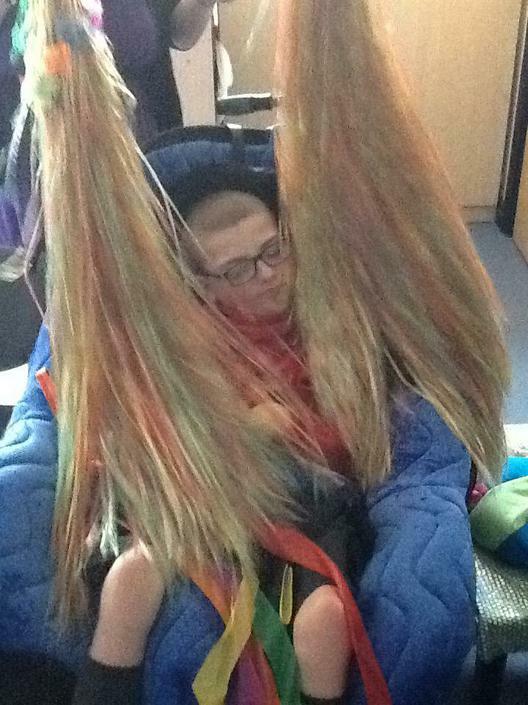 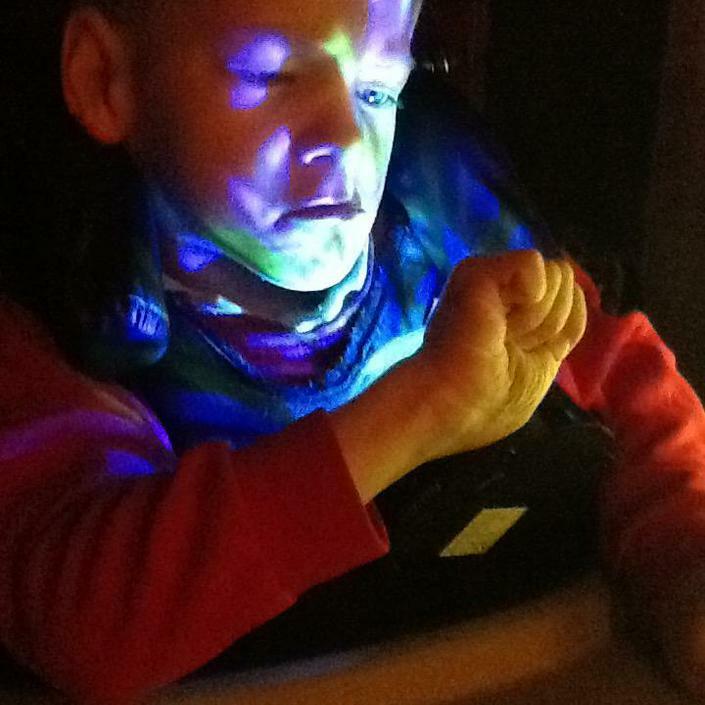 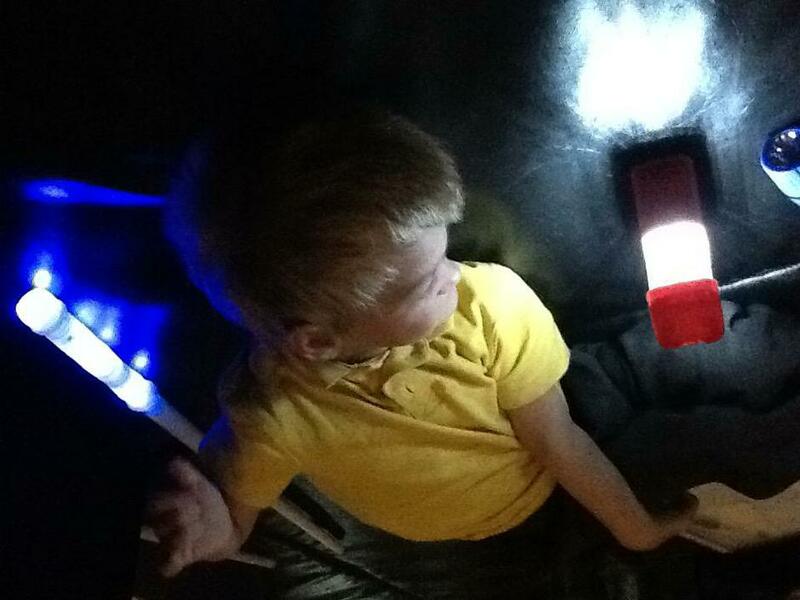 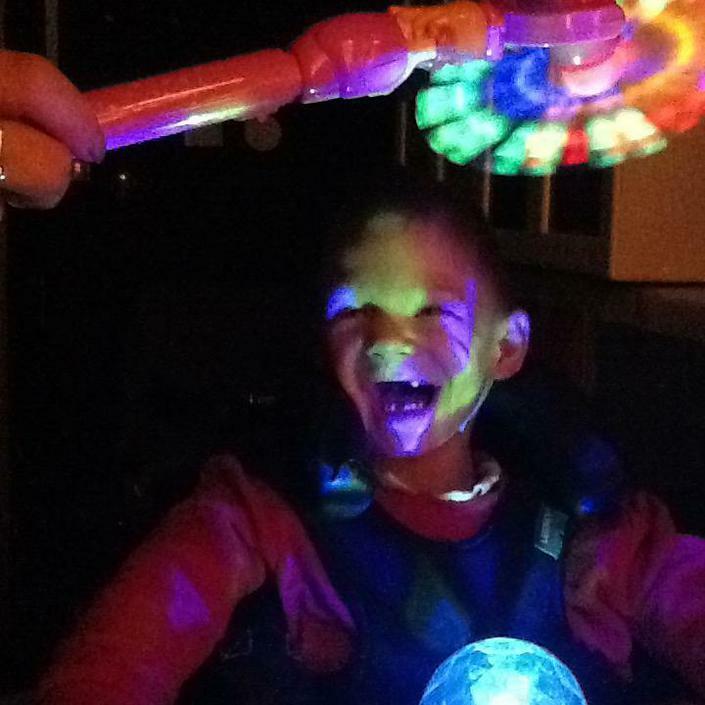 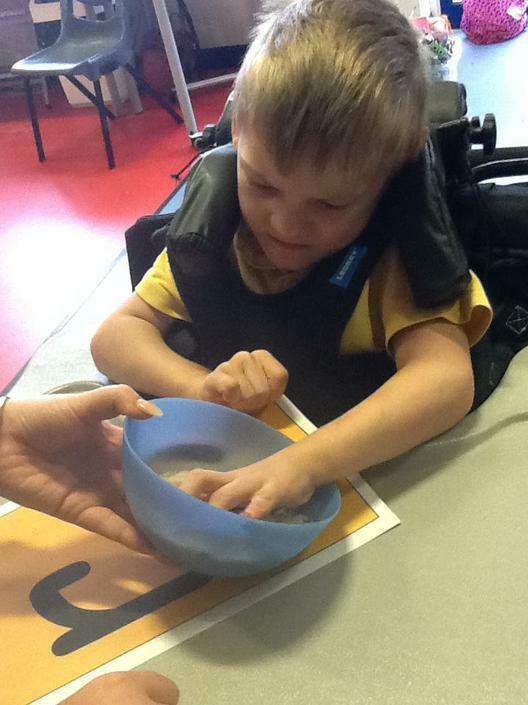 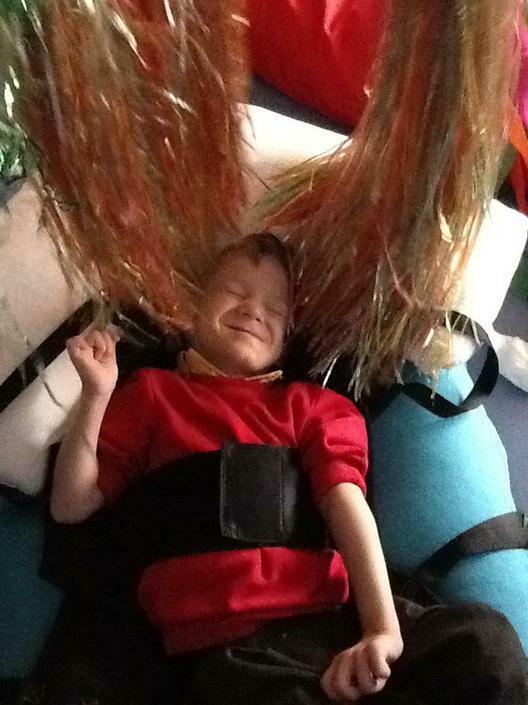 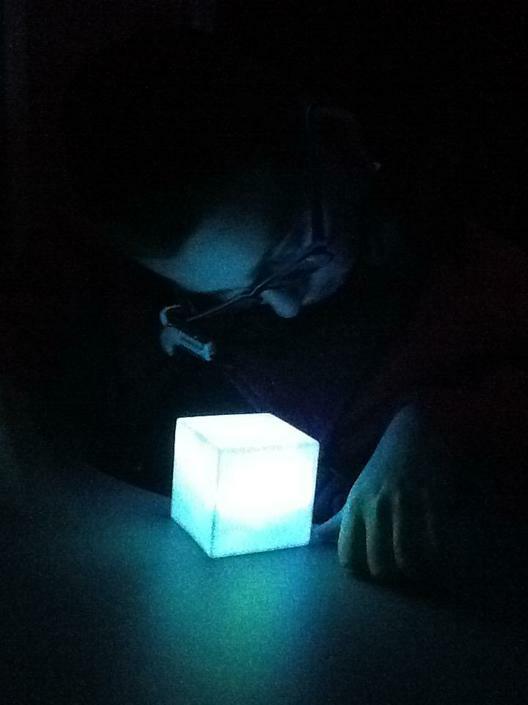 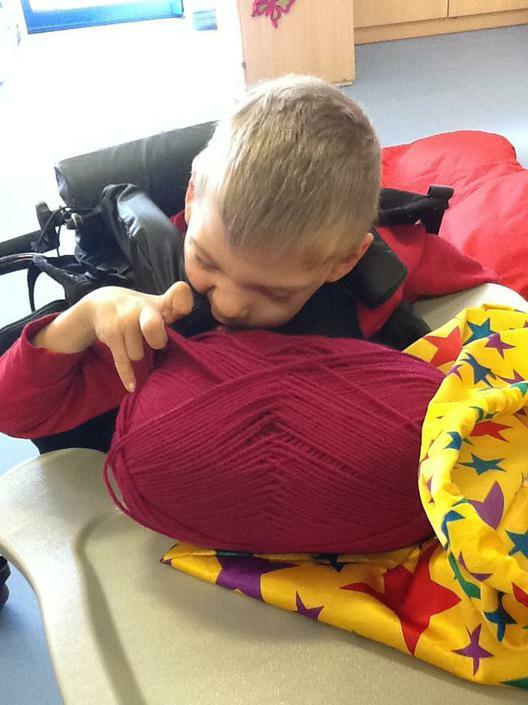 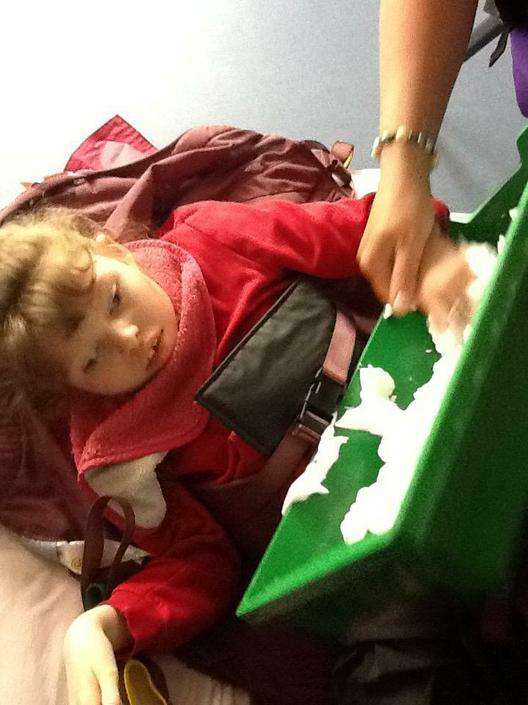 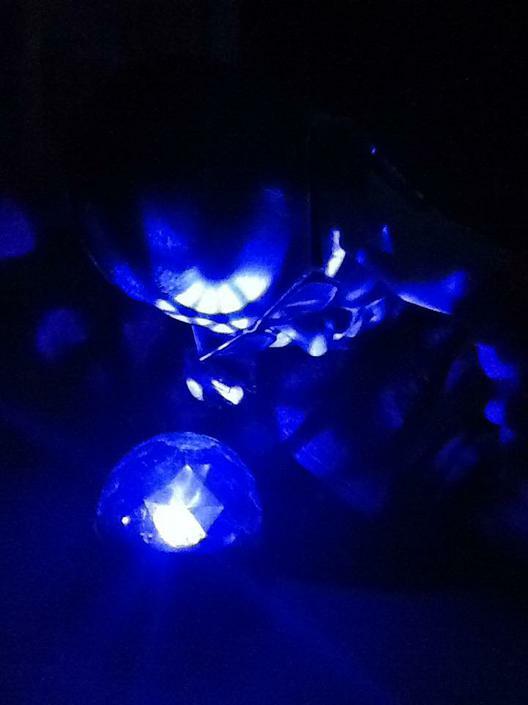 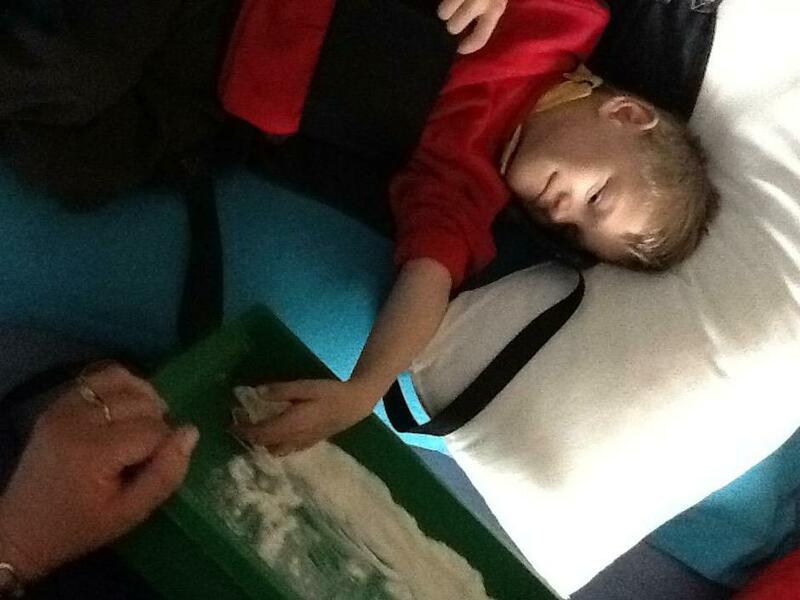 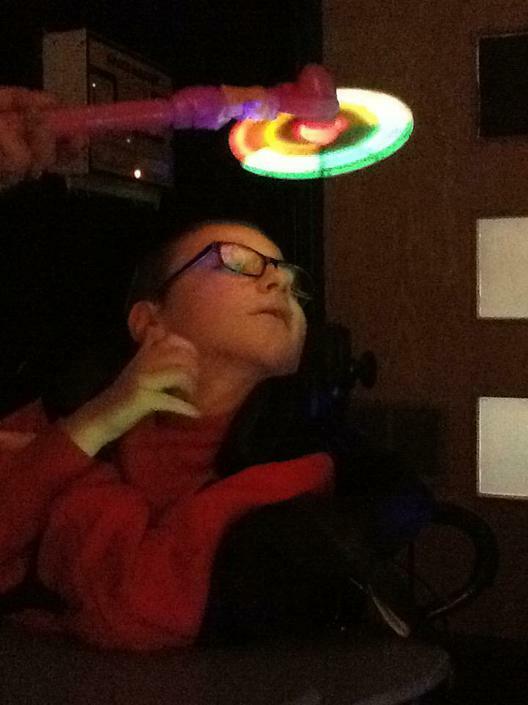 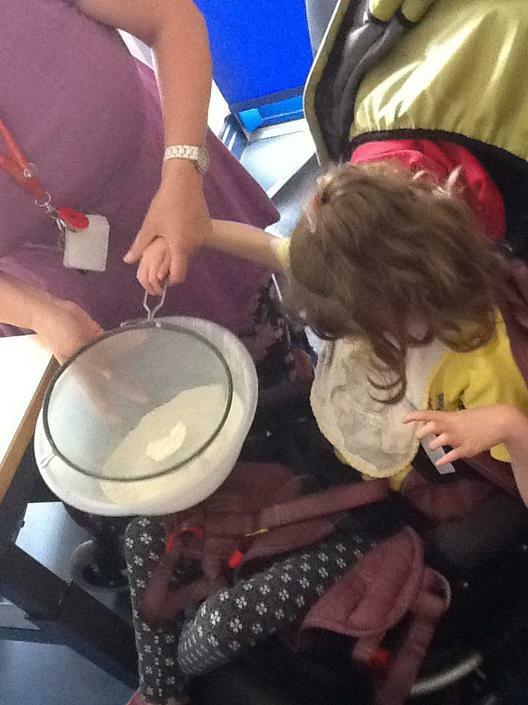 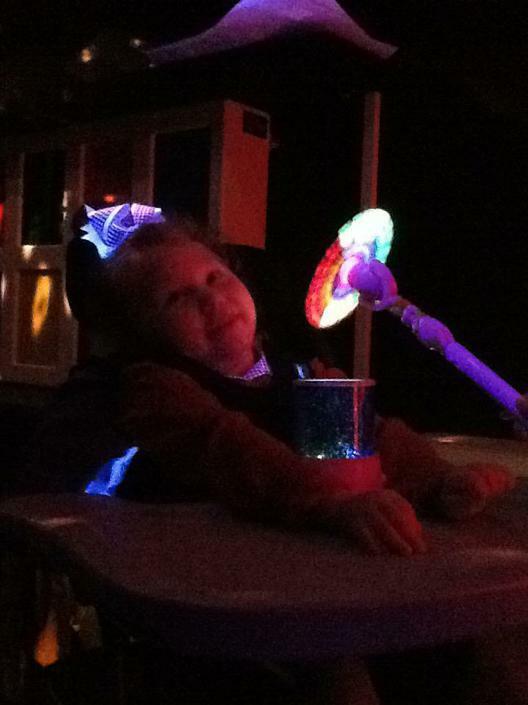 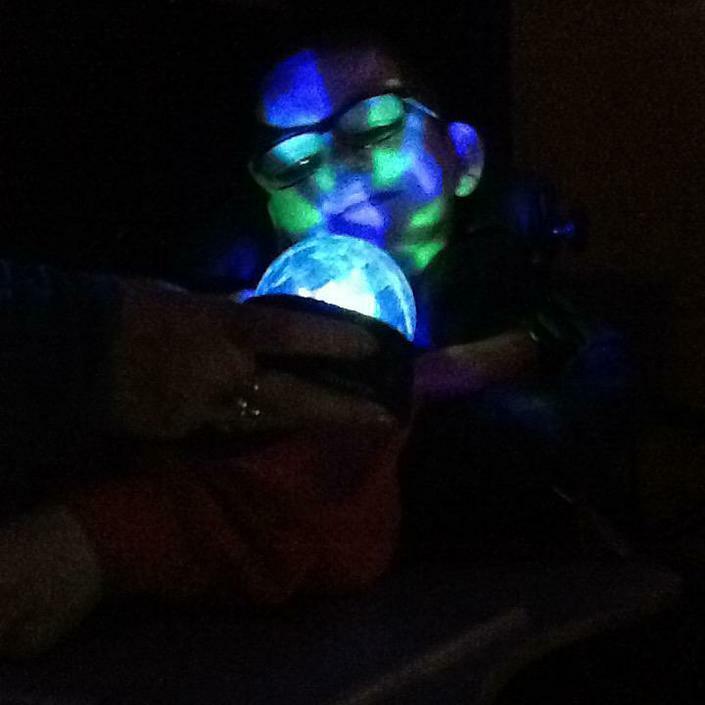 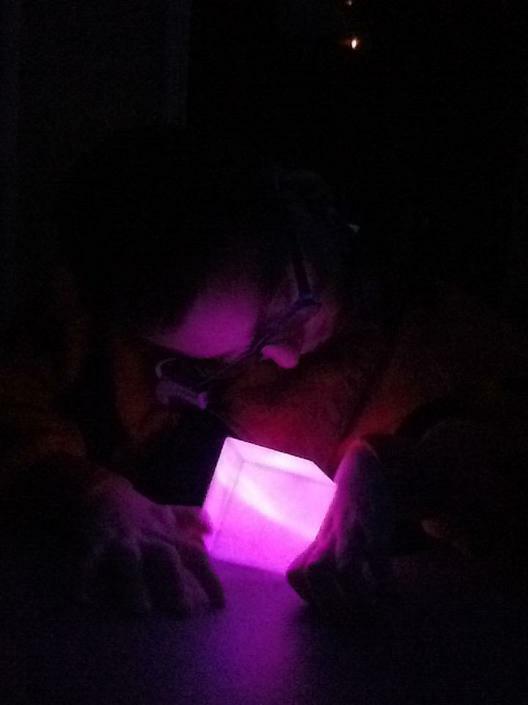 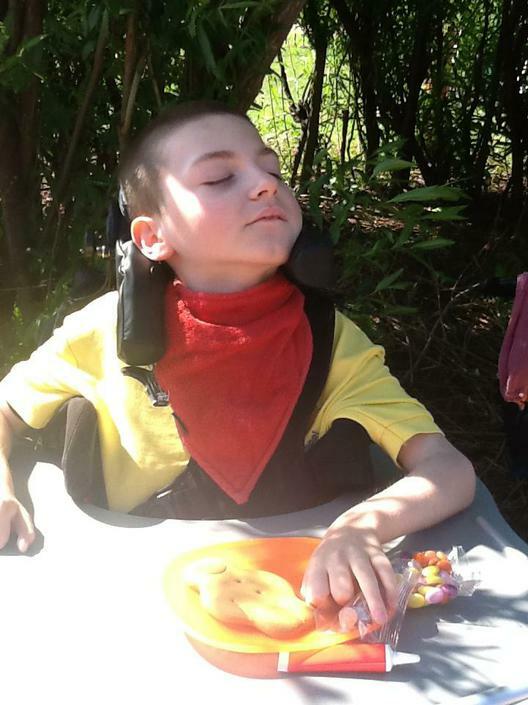 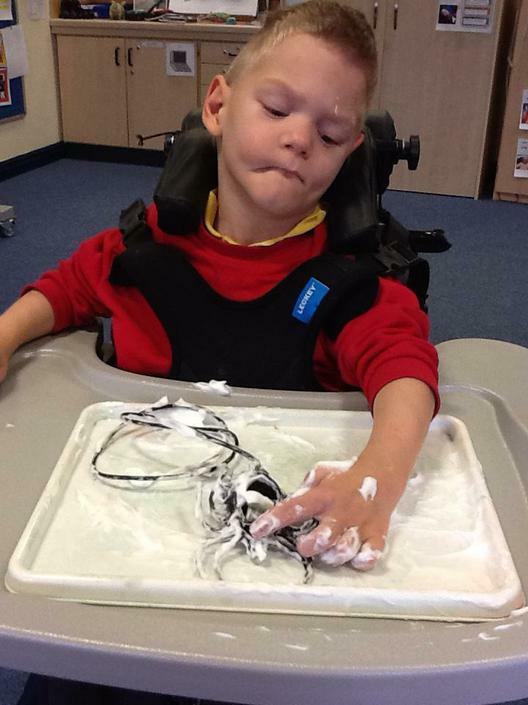 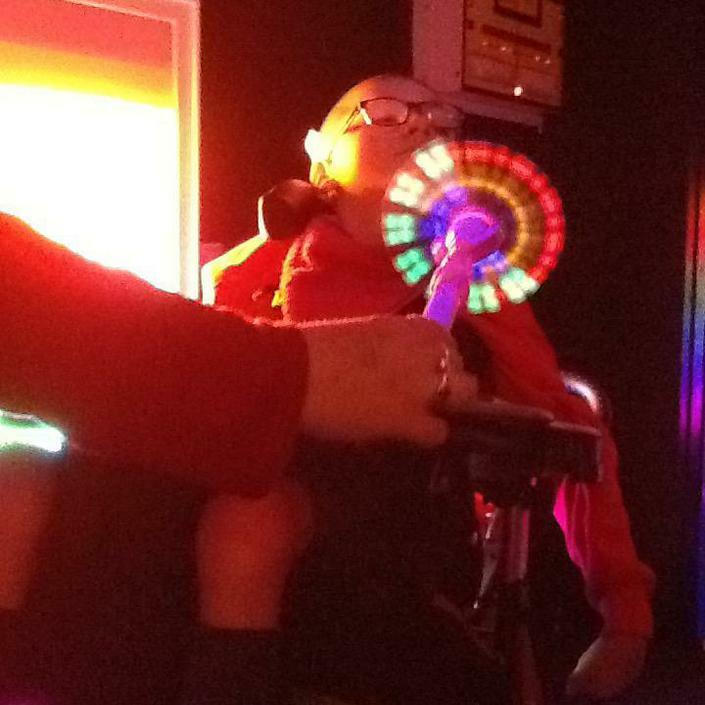 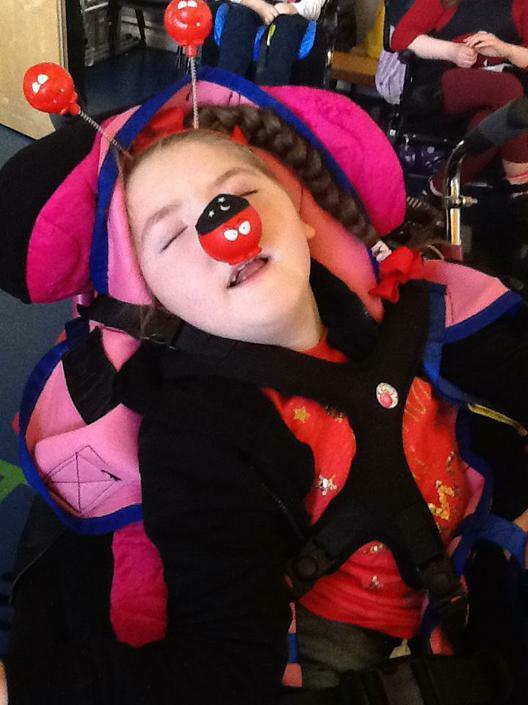 We follow a multi sensory curriculum and use specialist equipment to help us understand the world around us. 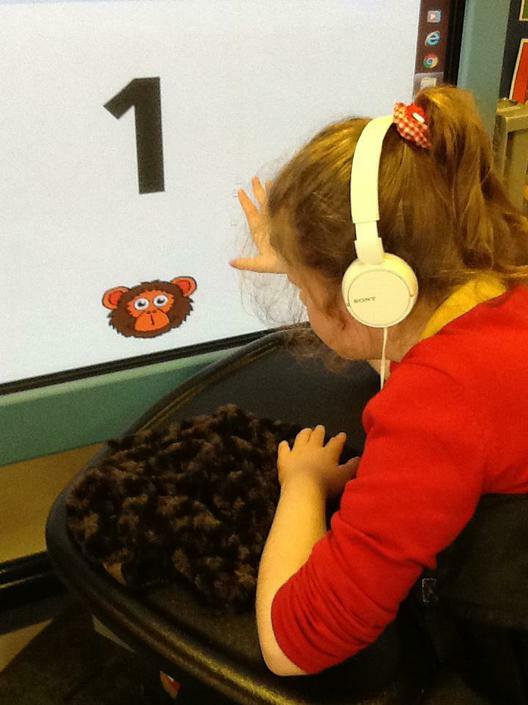 Our Targets are taken from Quest for learning which takes a holistic view of learners by; focusing on how they learn acknowledging their different abilities and achievements and taking into account of learners preferred sensory and learning channels and their way of processing information; focusing on early communication. 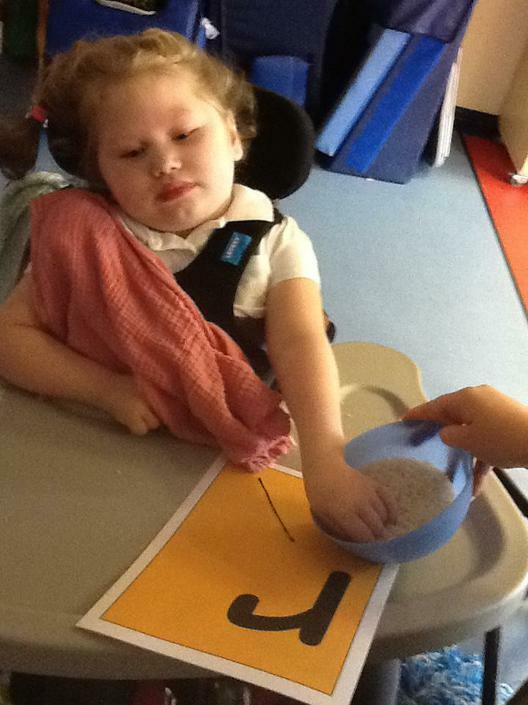 cognitive and sensory skills that are the foundation of all future learning. 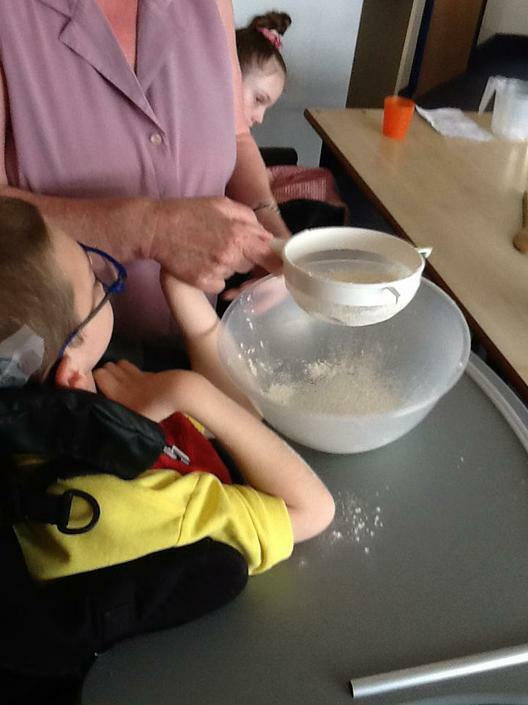 In Foxes class we follow a multi sensory curriculum and use our senses to engage and experience learning and the world around us. 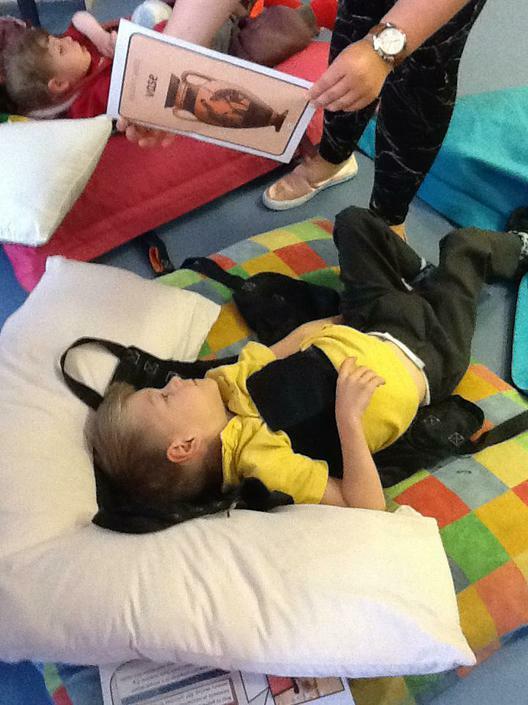 Daily signifiers are used to give us a better understanding of daily routines including daily; smell, sound and sensory colour bag. 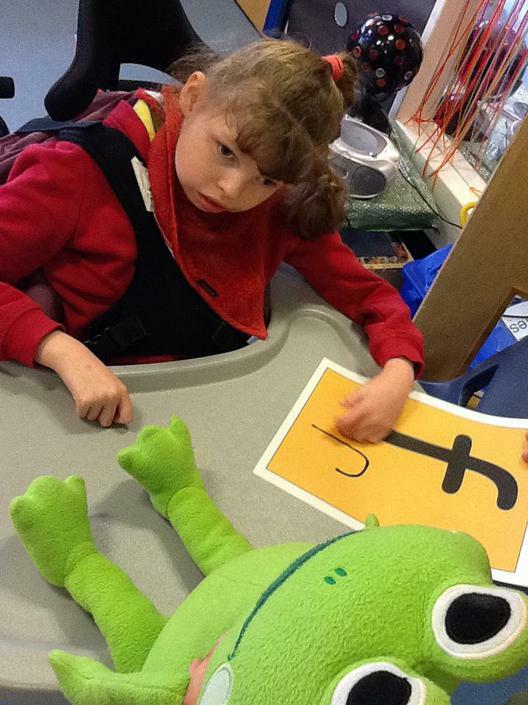 We also use Moon related to; phonics (read, write, Inc letters), topic related words and the names of people around us!. 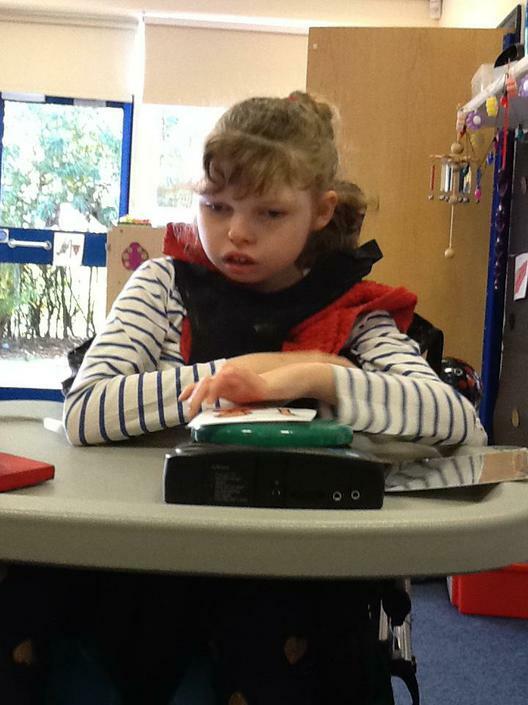 Foxes class also use communication aids, link switches and specialist ICT equipment to access learning and respond to the world around us. 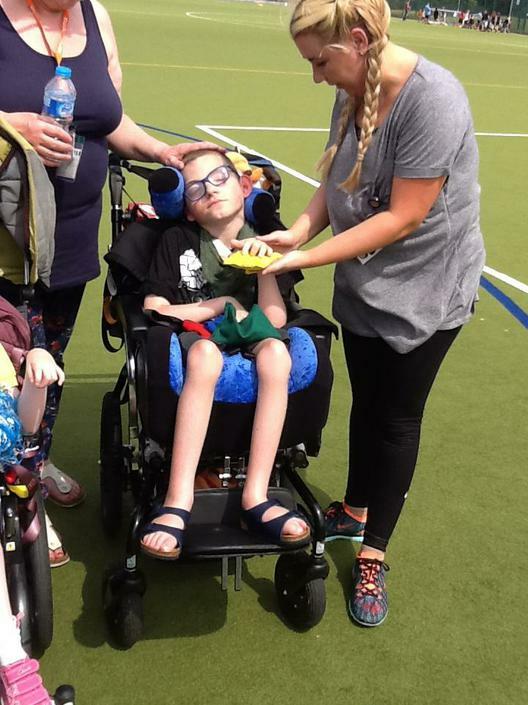 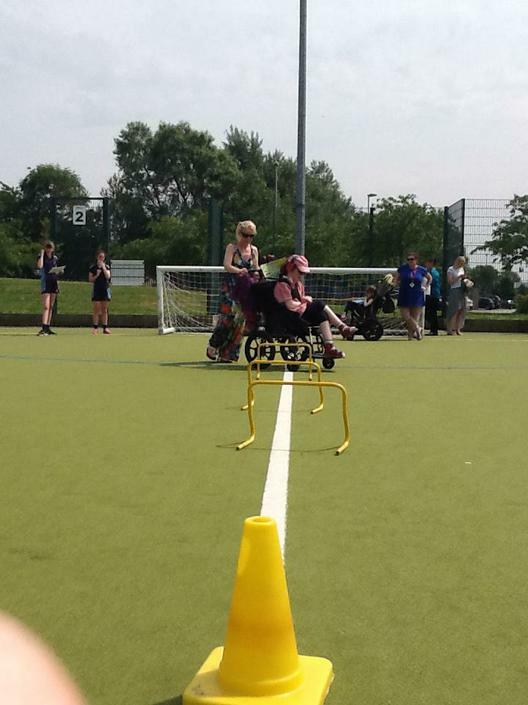 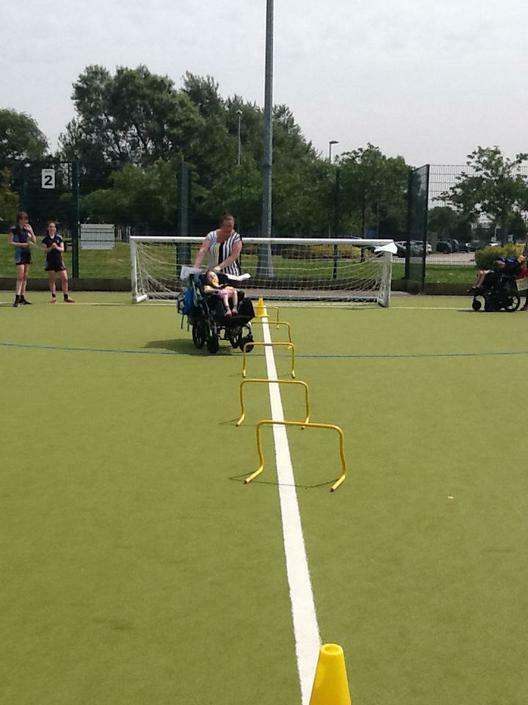 Sports Day Preparation! 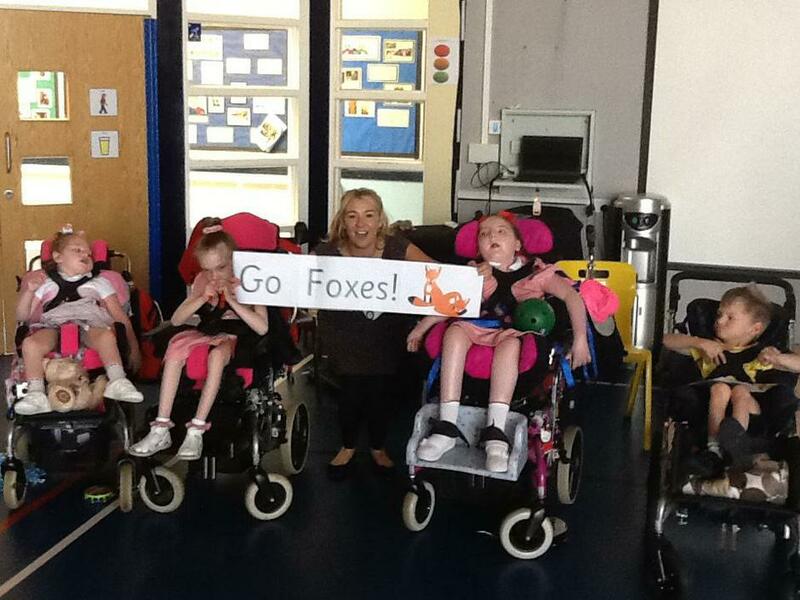 Team Foxes! 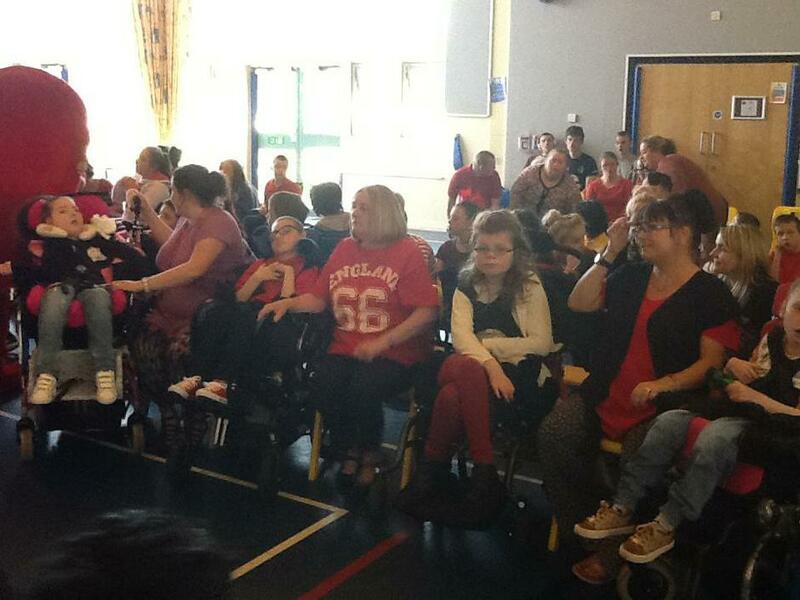 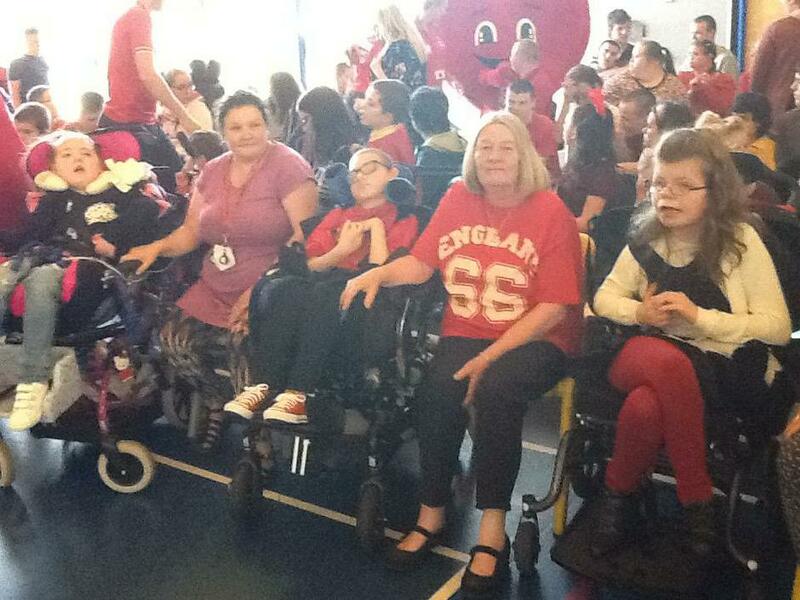 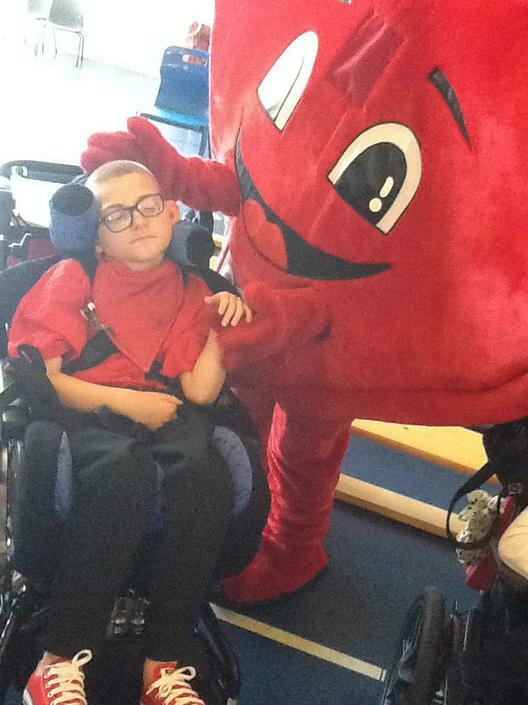 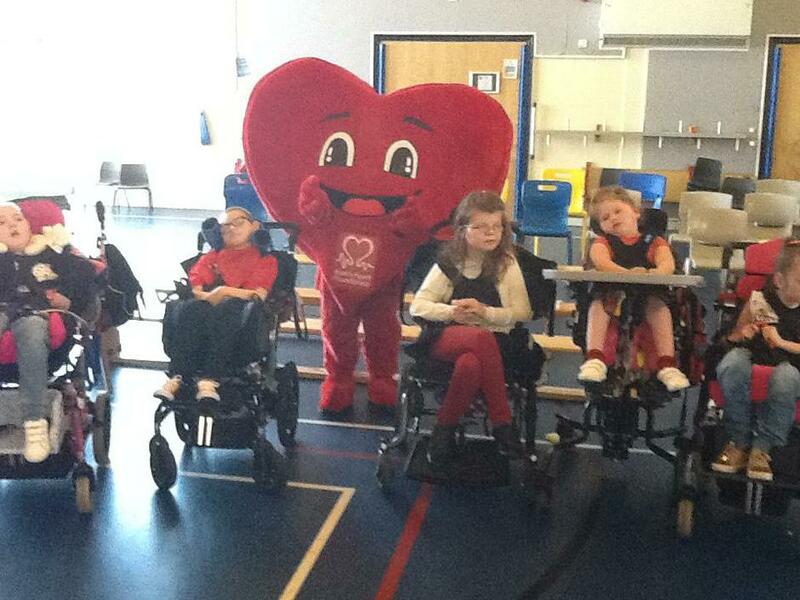 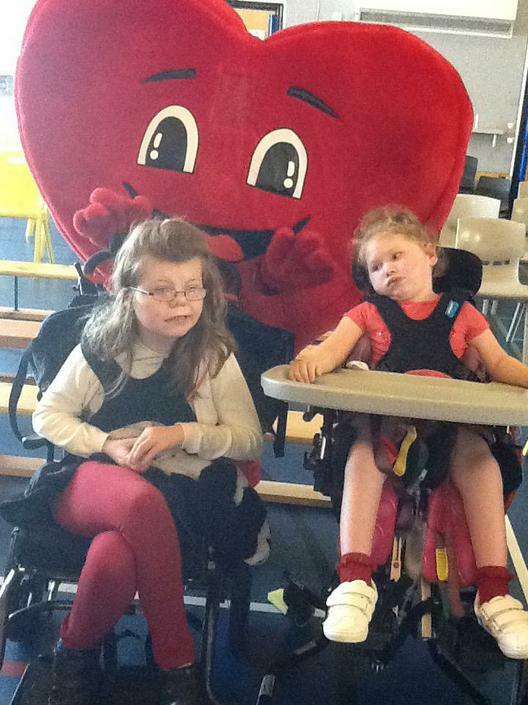 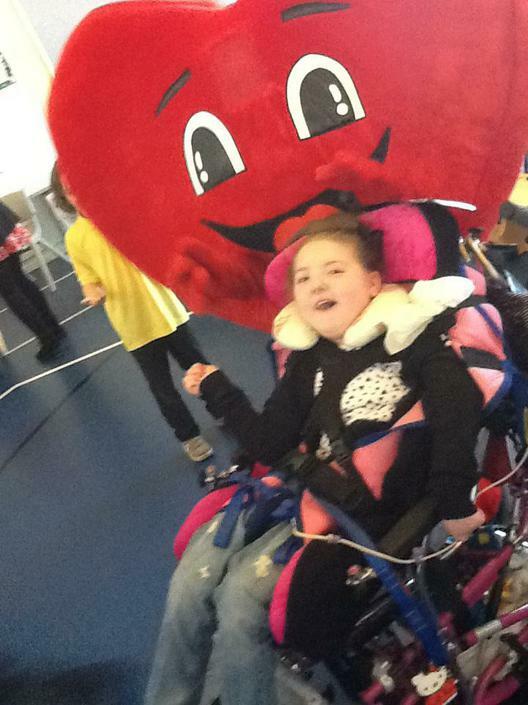 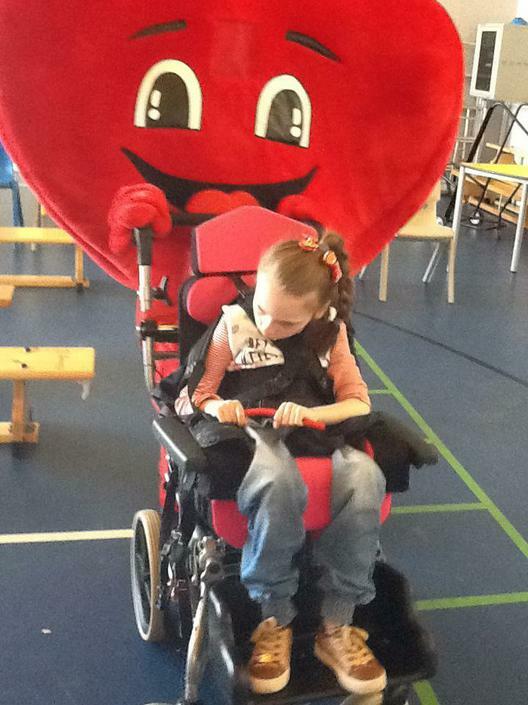 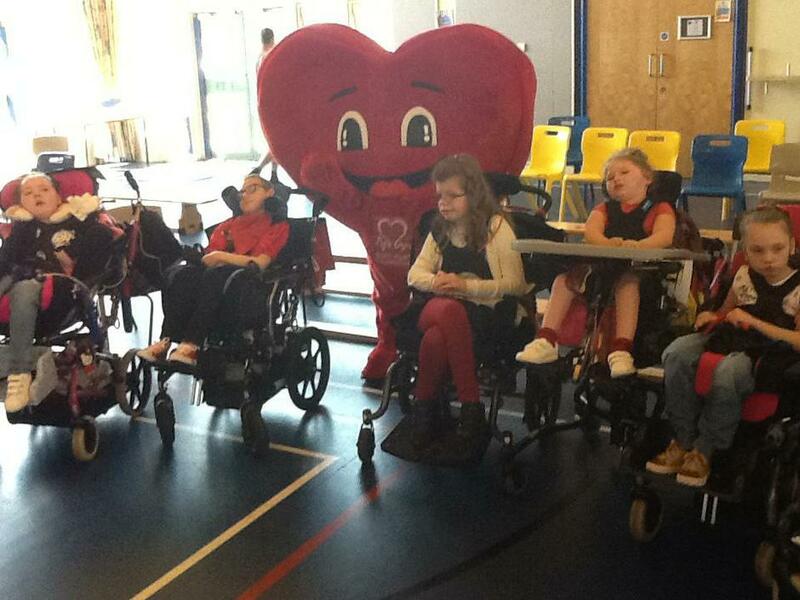 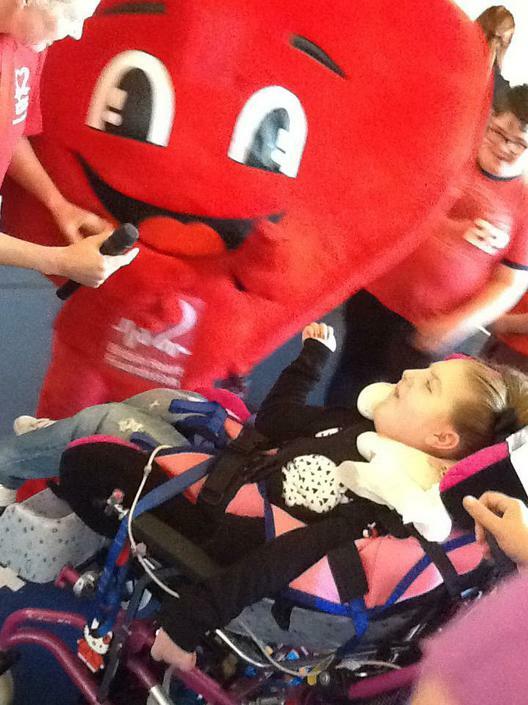 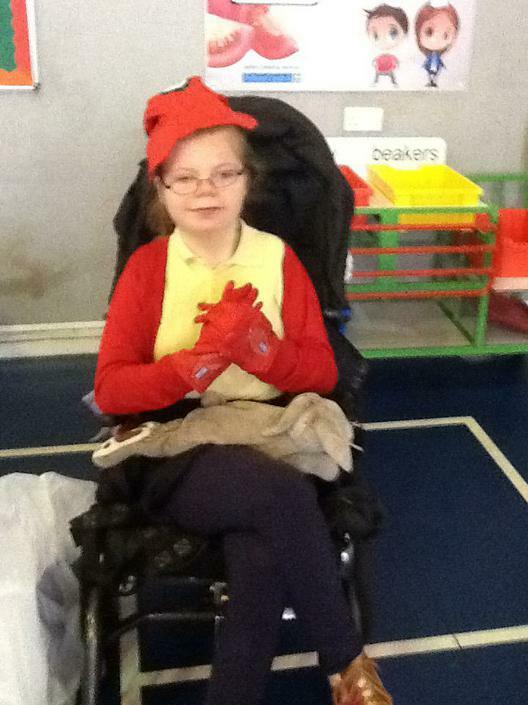 British Heart Foundation Wear Red Day! 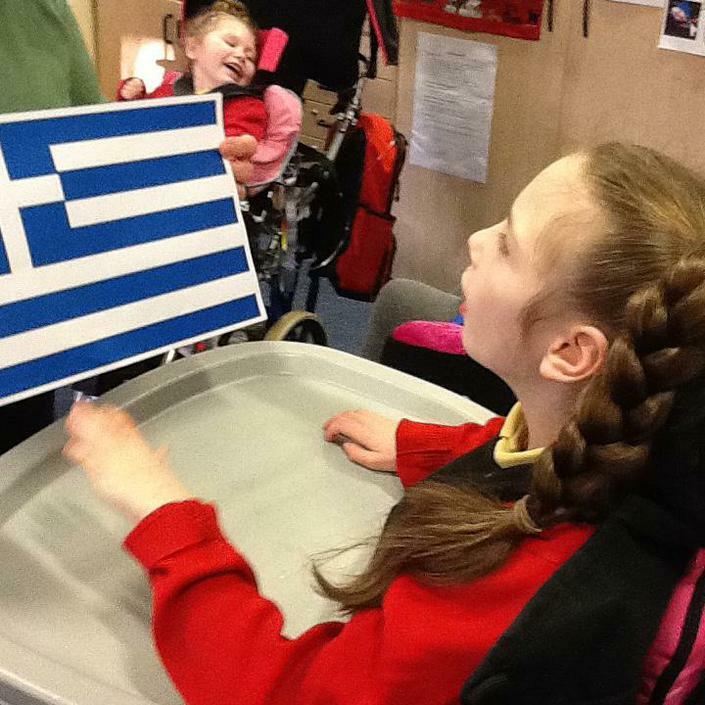 This term Foxes class have enjoyed exploring objects, props, food and sounds related to the topic 'Greece'. 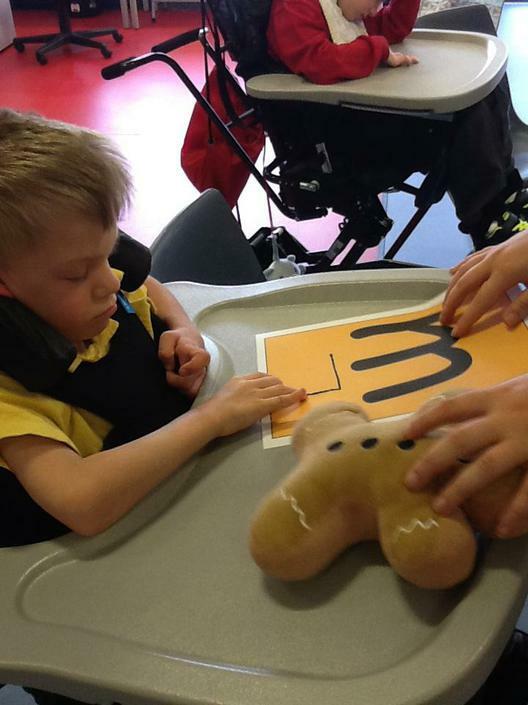 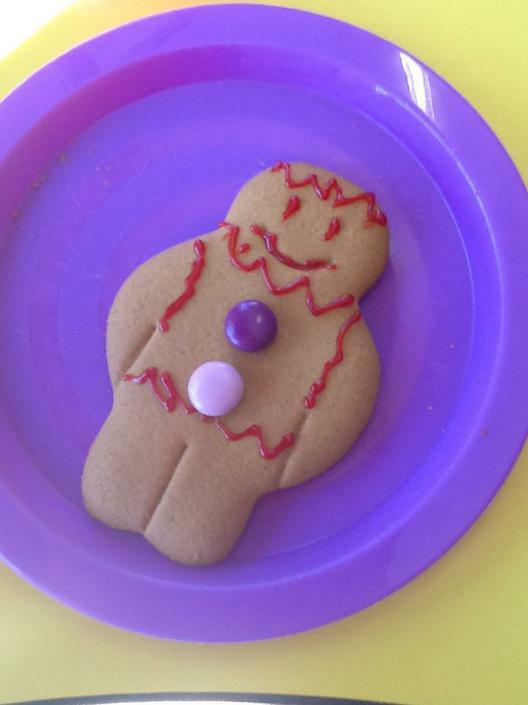 Our Literacy sensory story 'The Gingerbread Man' encourages students to explore and engage through the concept of baking and investigative play. 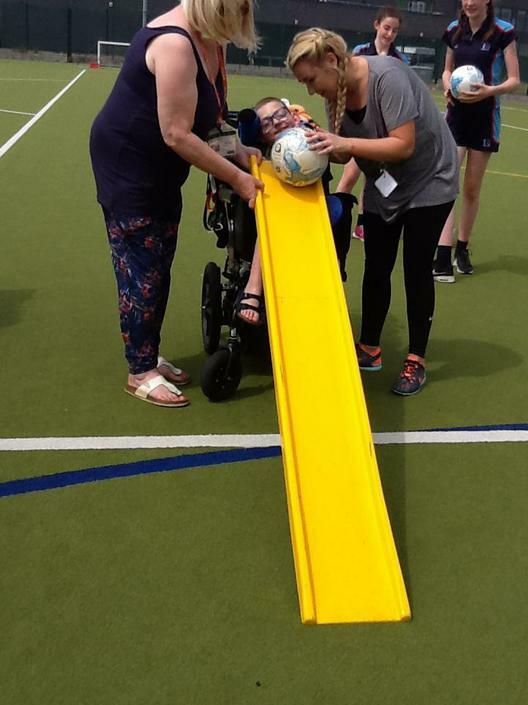 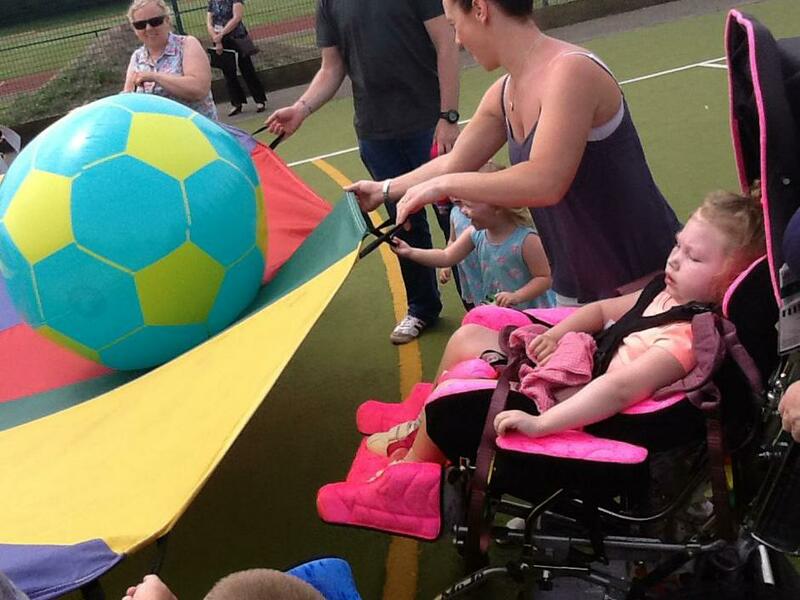 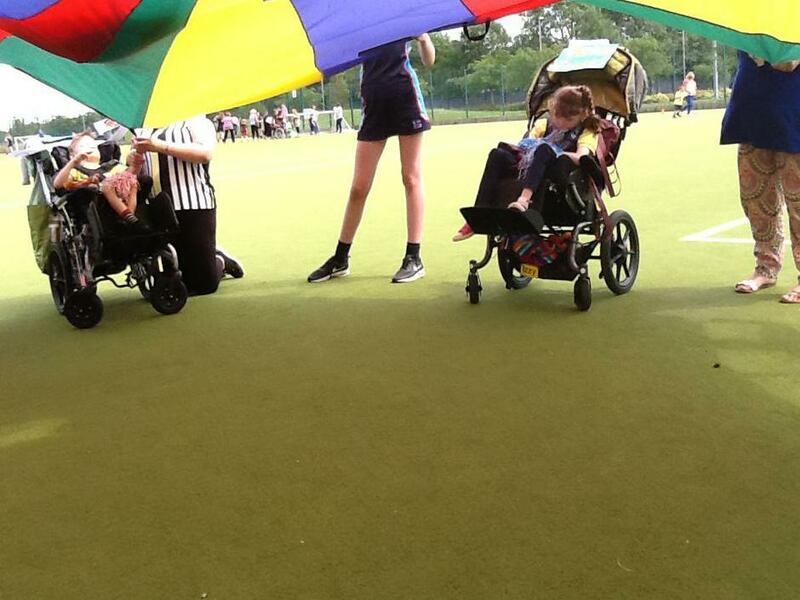 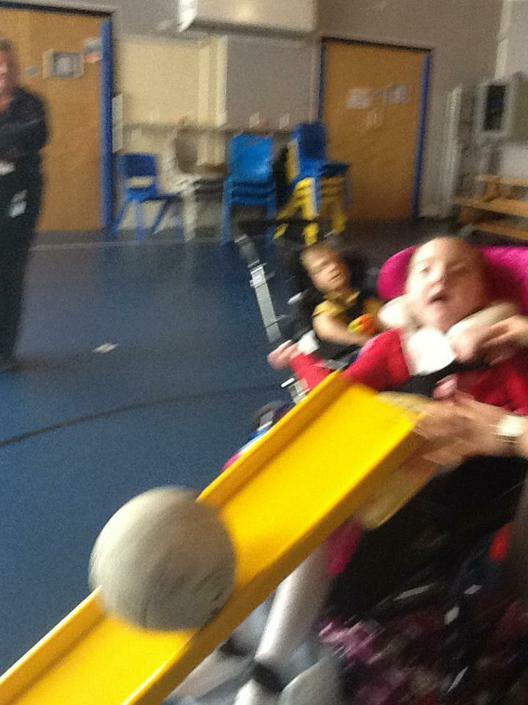 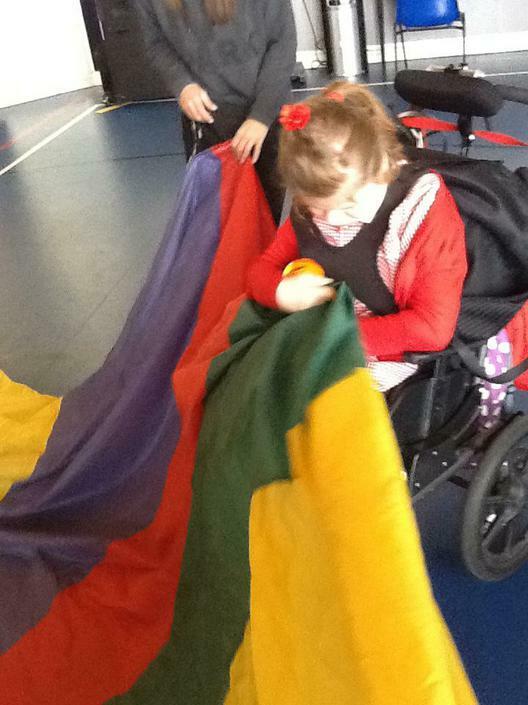 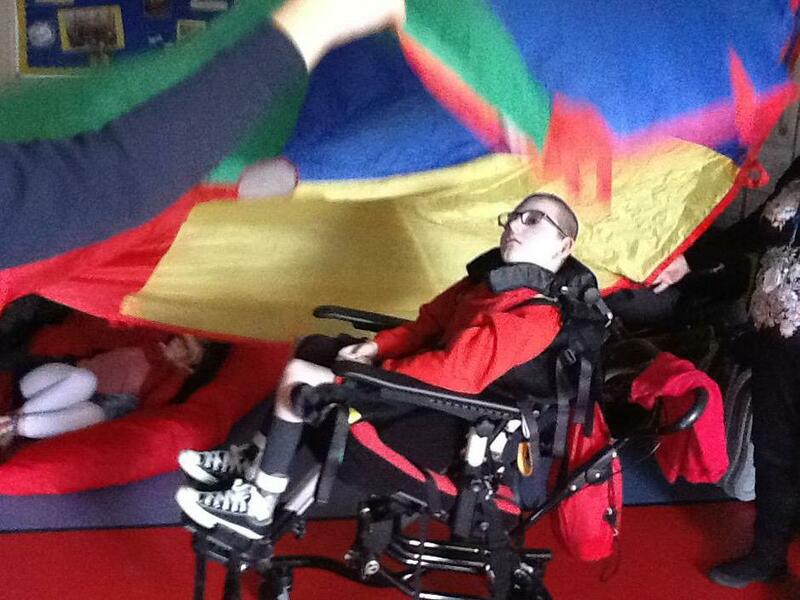 During the Science Topic 'Forces and Movement' students enjoyed parachute games using sensory balls to help support their understanding of Body Awareness and Orientation. 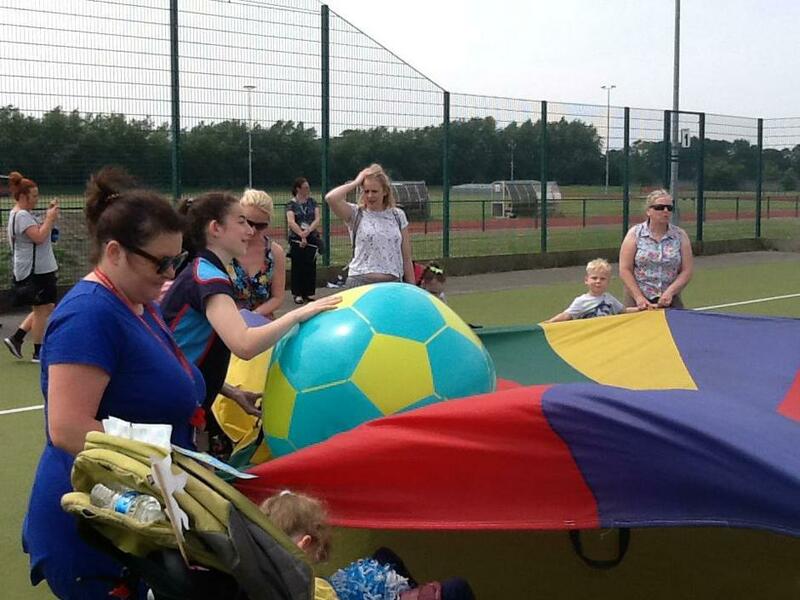 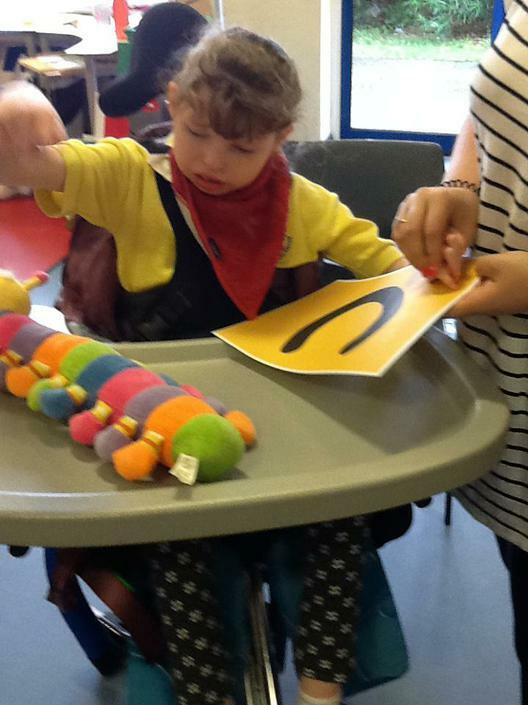 Take a look at all our lovely photographs of us learning and having fun!!! 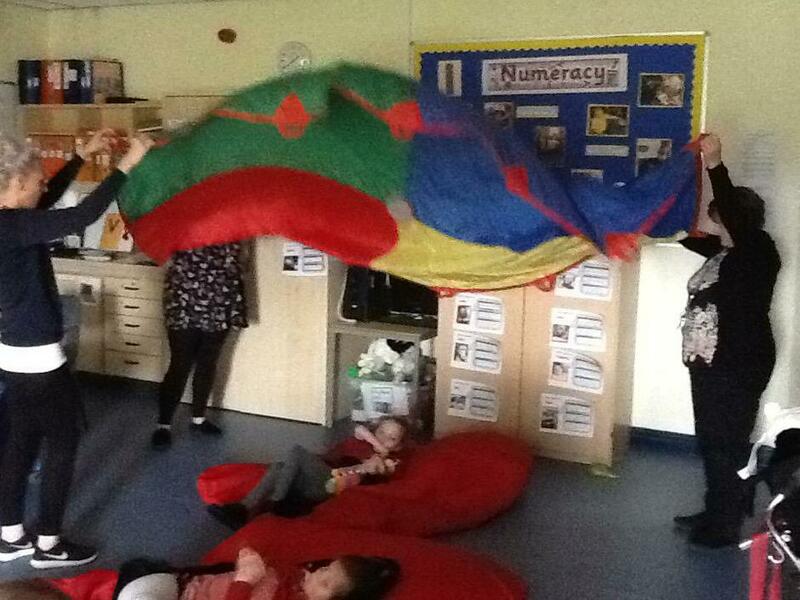 Foxes class have explored and experienced sounds, smells and food relating to the topic 'Brazil'. 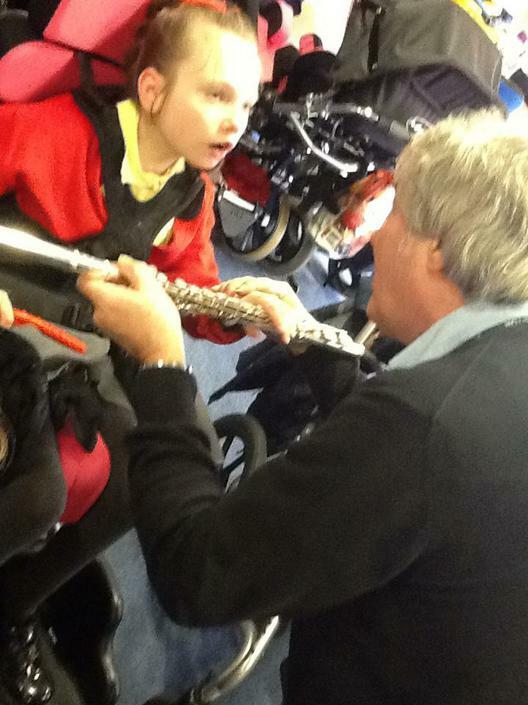 Mr Redwood the Music Teachers has introduced us to lots of new musical instruments and sounds during our weekly music sessions in class! 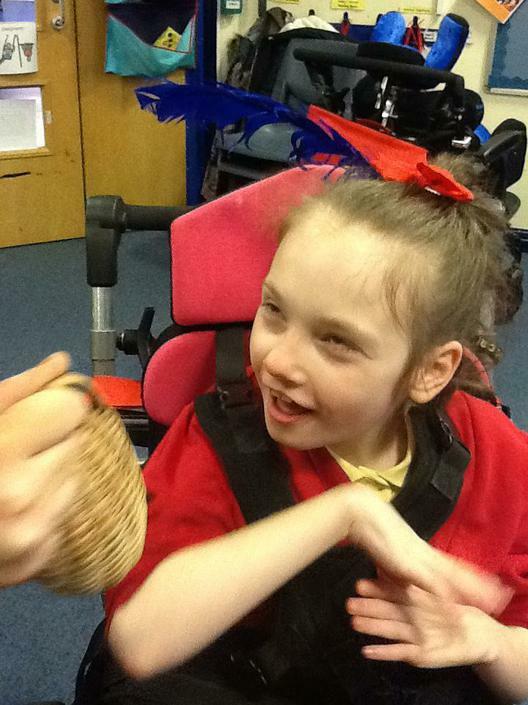 We love the sounds of the Brazilian Carnival. 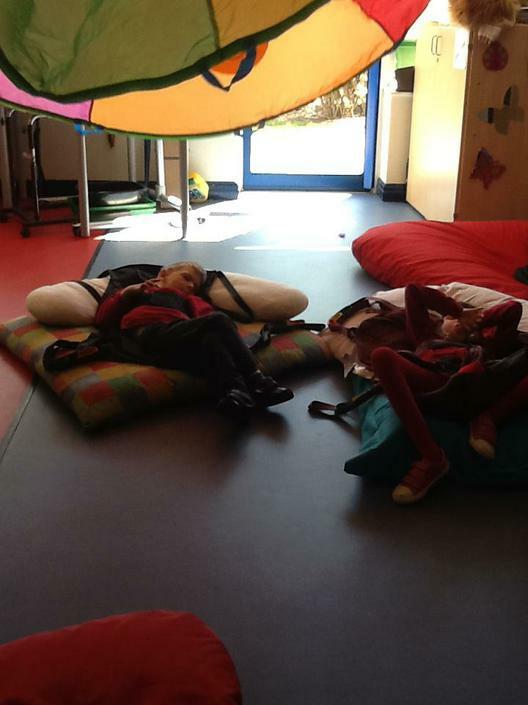 Our story this term is 'The Very Lazy Ladybird' and we are also exploring shapes and visual light stimuli during science Topics. 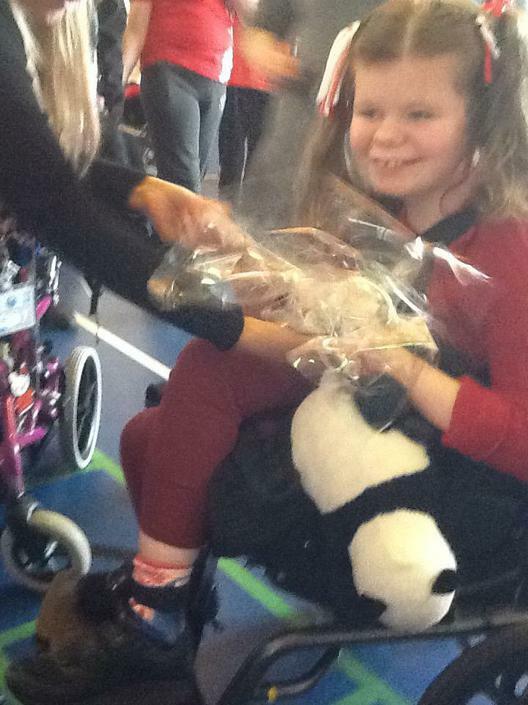 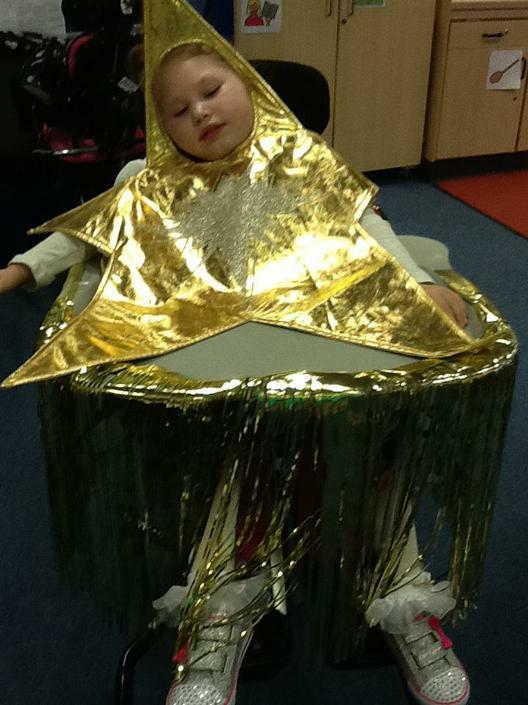 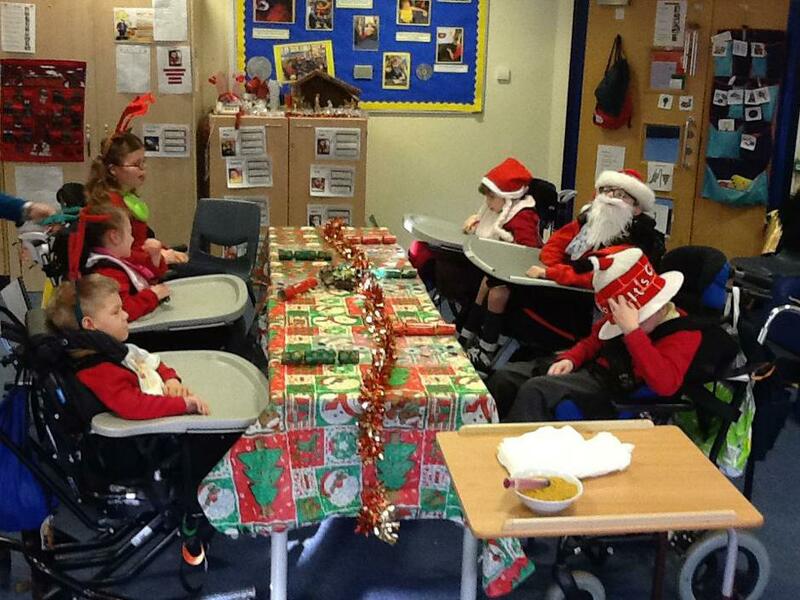 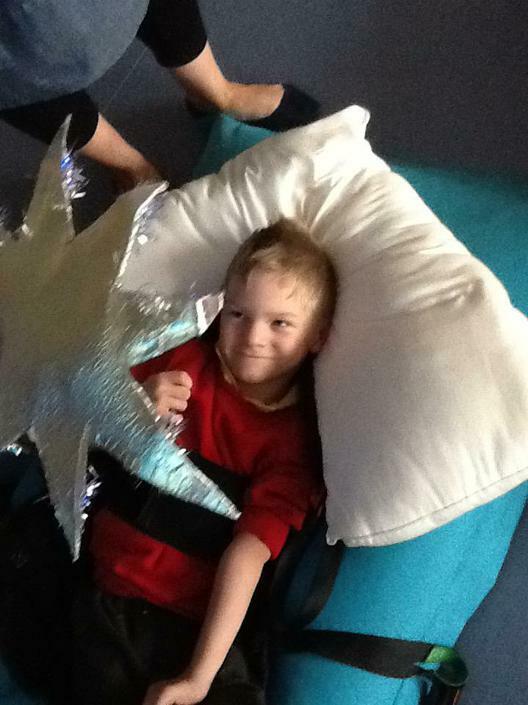 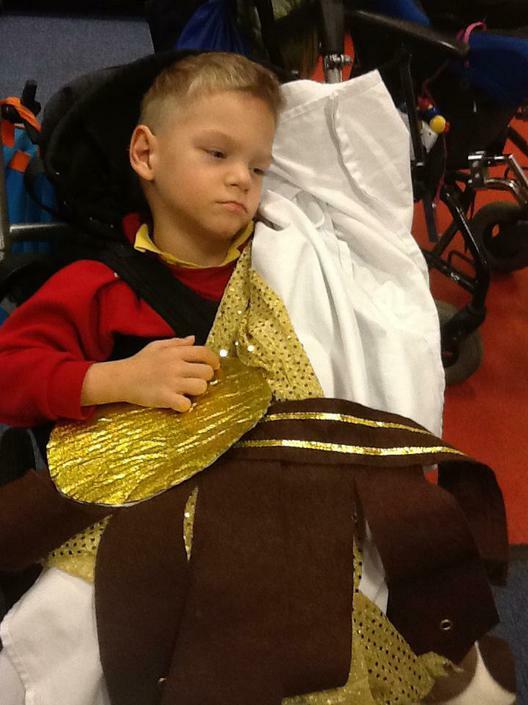 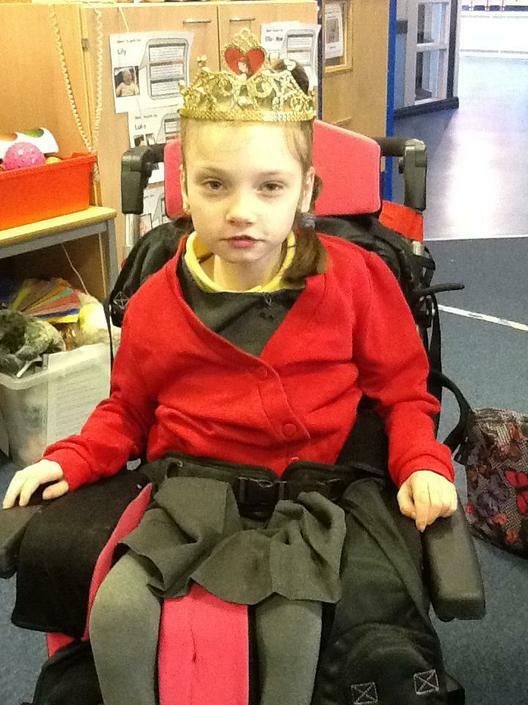 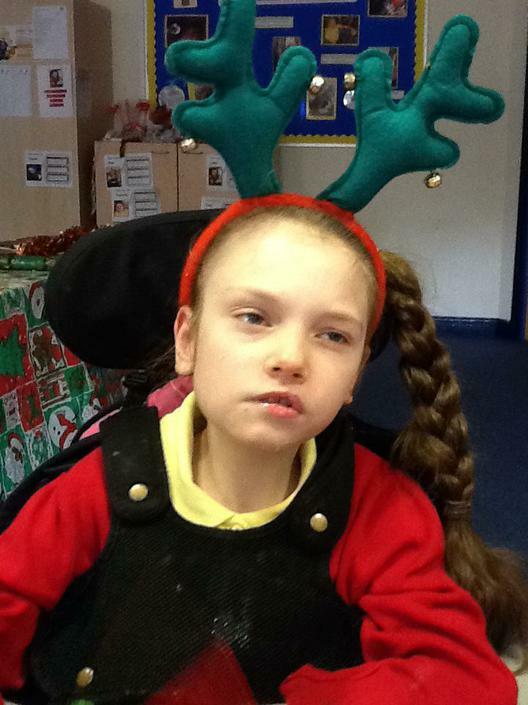 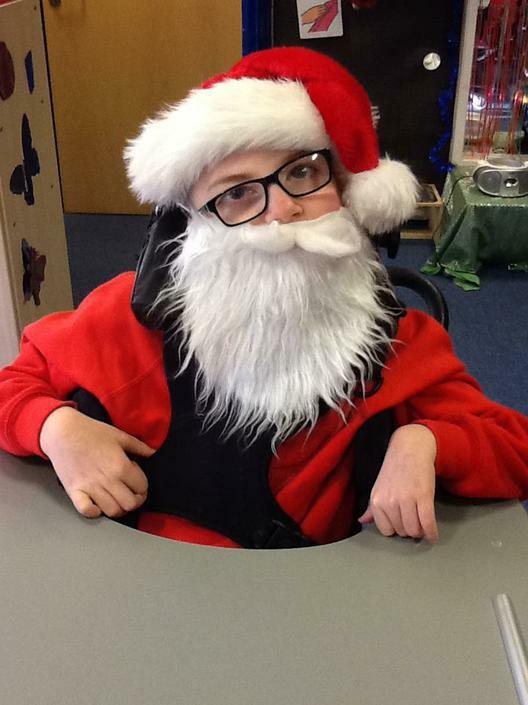 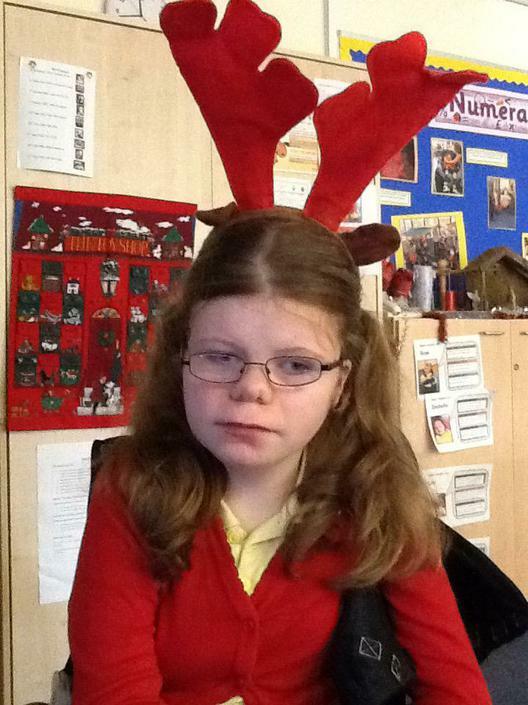 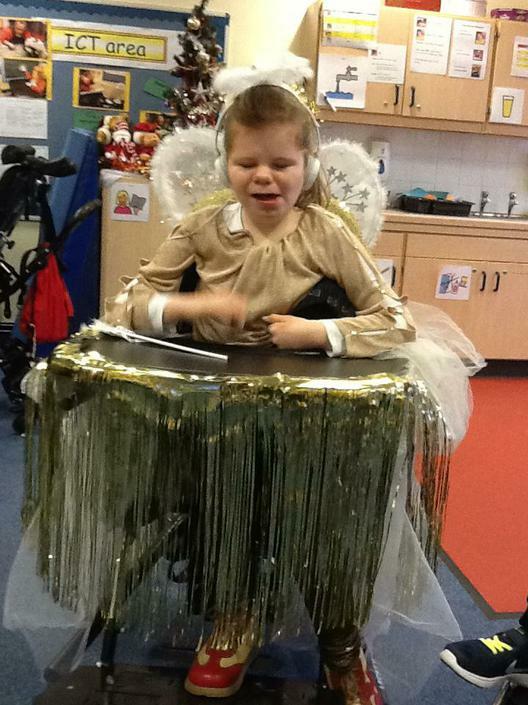 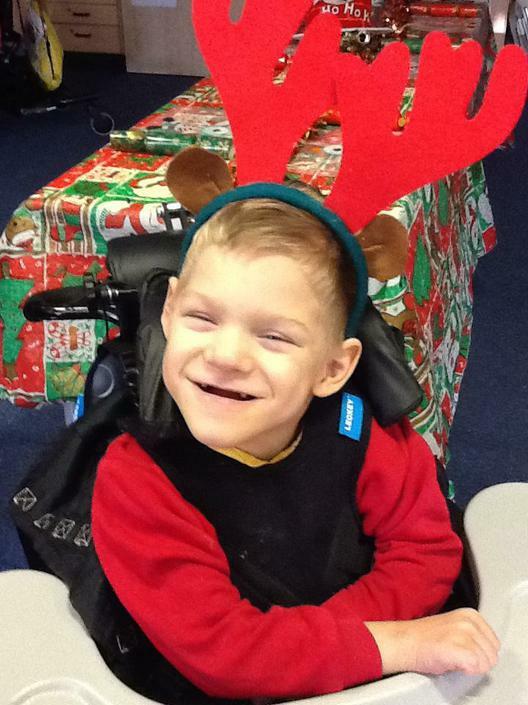 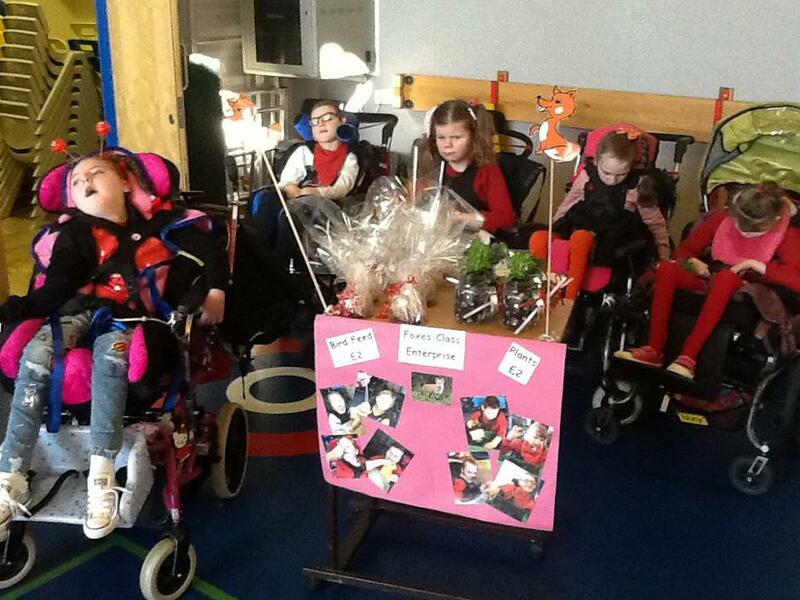 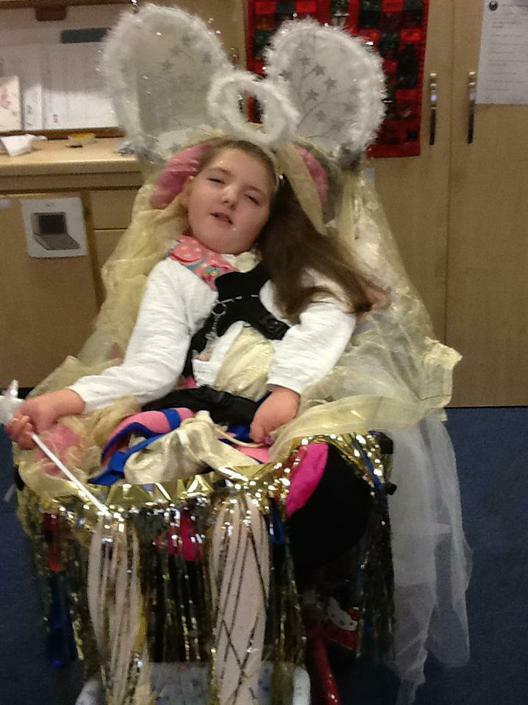 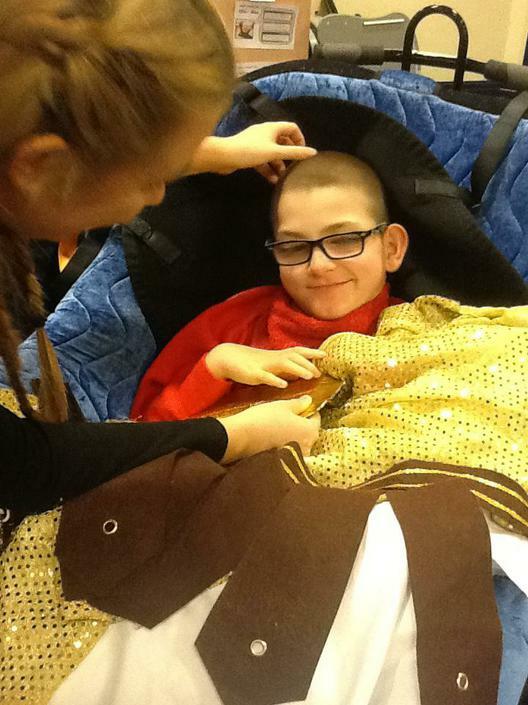 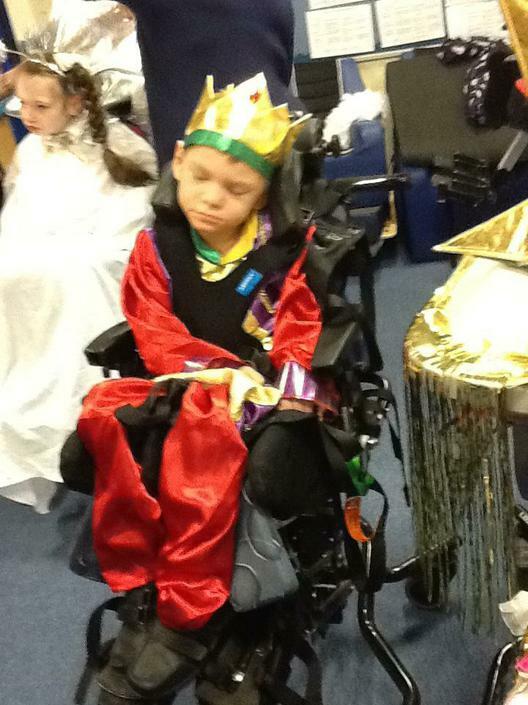 Foxes Class took part in lots of exciting Christmas activities at school. 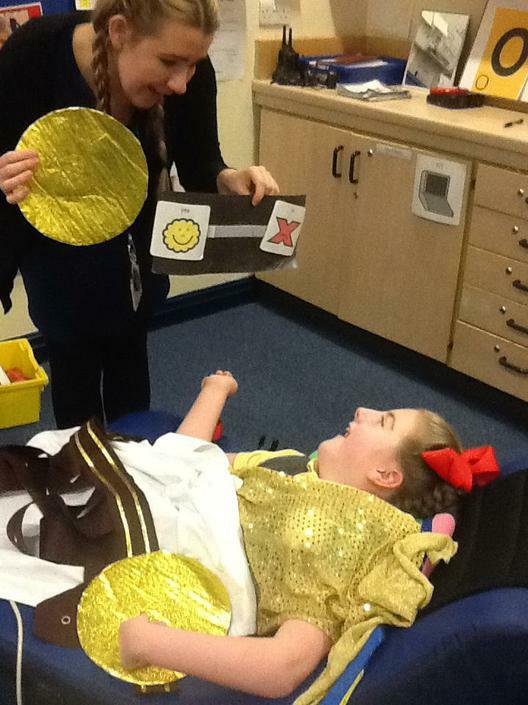 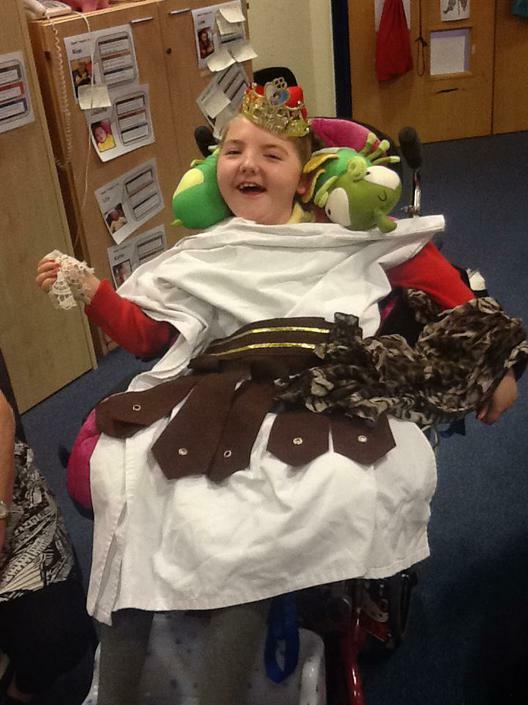 We all had a special role in this years Christmas Nativity- can you guess who we are? 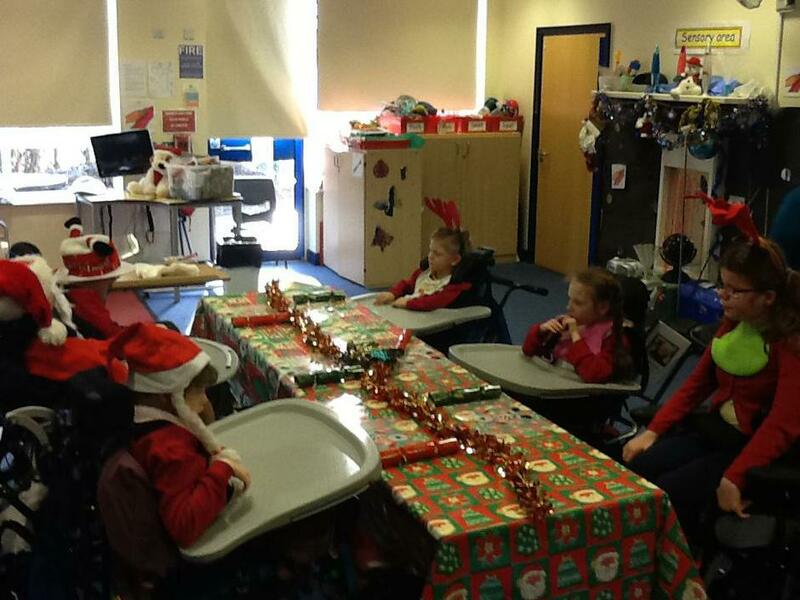 We also had breakfast with Santa and Christmas dinner Yum Yum!!! 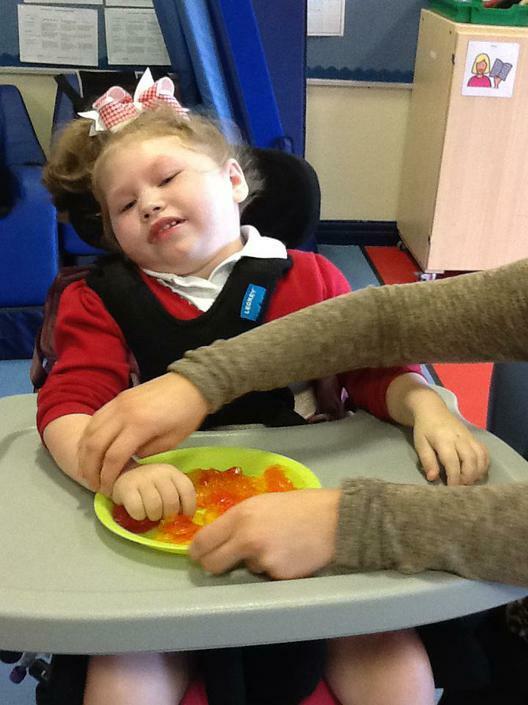 Take a look at all of our lovely photographs of us learning and having fun. 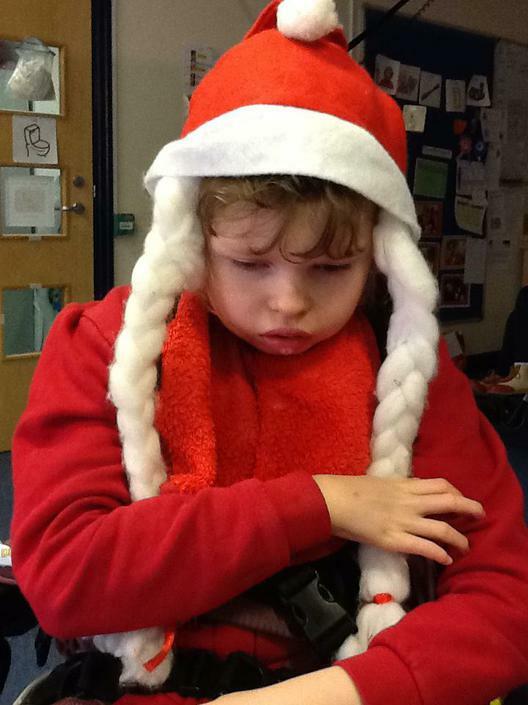 Merry Christmas and a Happy New Year from Foxes Class. 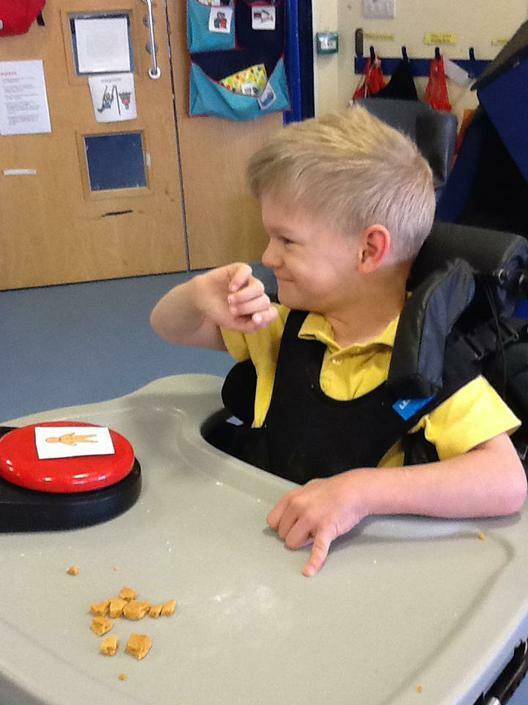 Foxes class have explored and experienced sounds, smells and food relating to the sensory story ' African Safari', numeracy, science, R.E, MFL and 'Roman' topic. 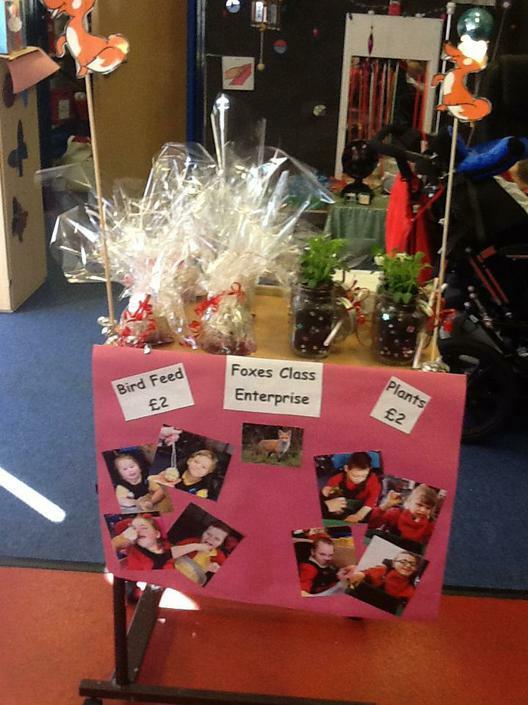 Foxes class follow a multi sensory curriculum and use our senses to engage and experience learning and the world around us. 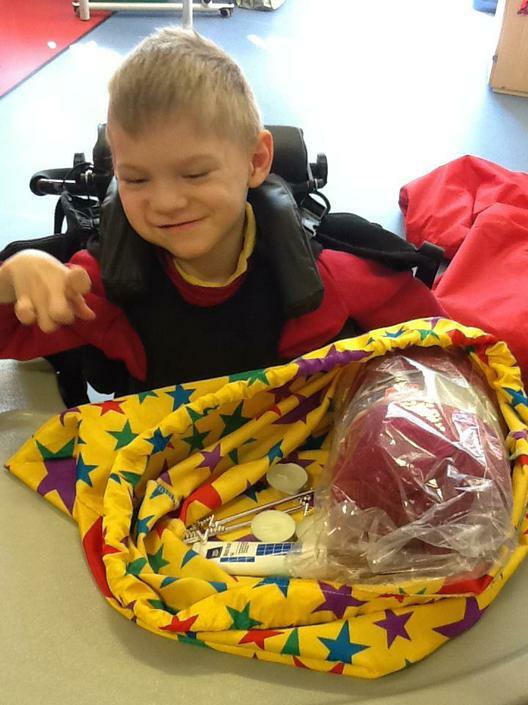 Daily signifiers are used to give us a better understanding of daily routines including daily; smell, sound and sensory colour bag. 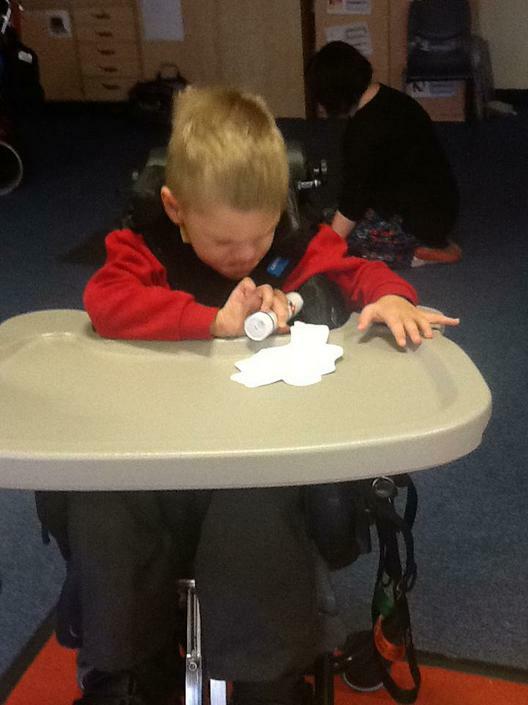 We also use Moon related to; phonics (read, write, Inc letters), topic related words and the names of people around us!. 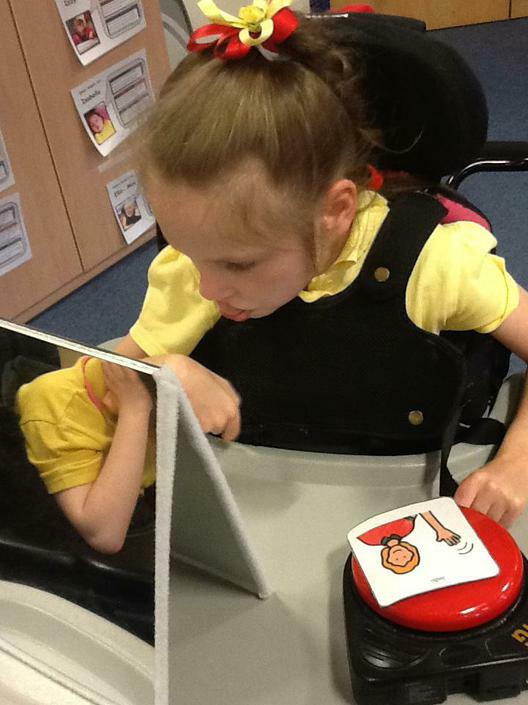 Foxes class also use communication aids, link switches and specialist ICT equipment to access learning and respond to the world around us. 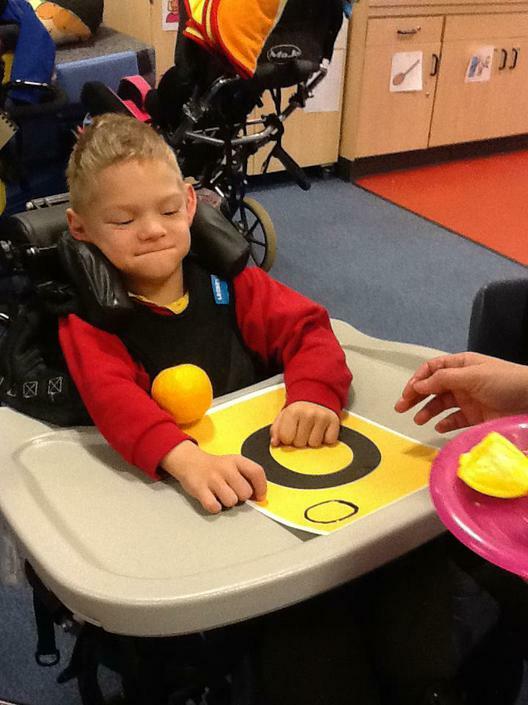 We love learning and having fun!